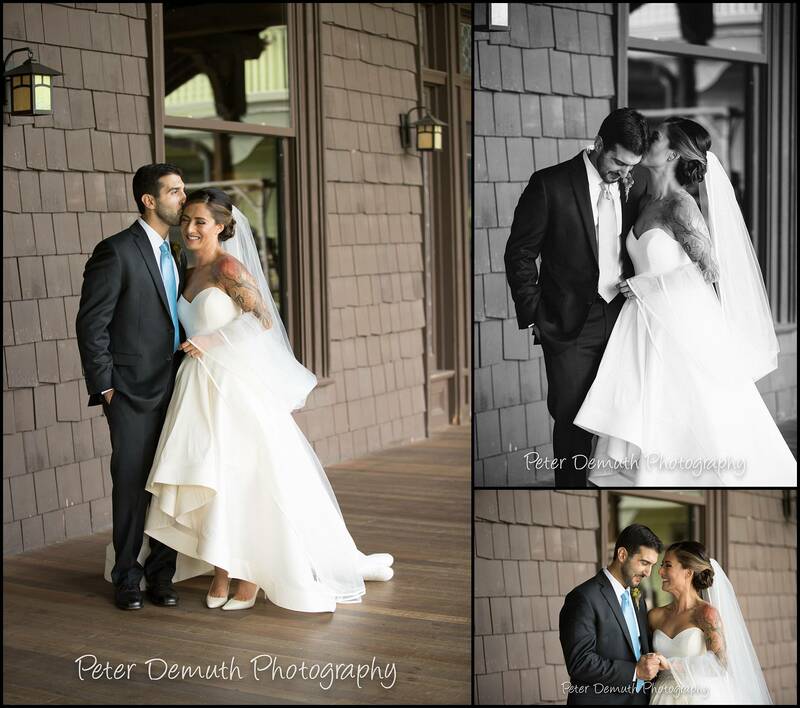 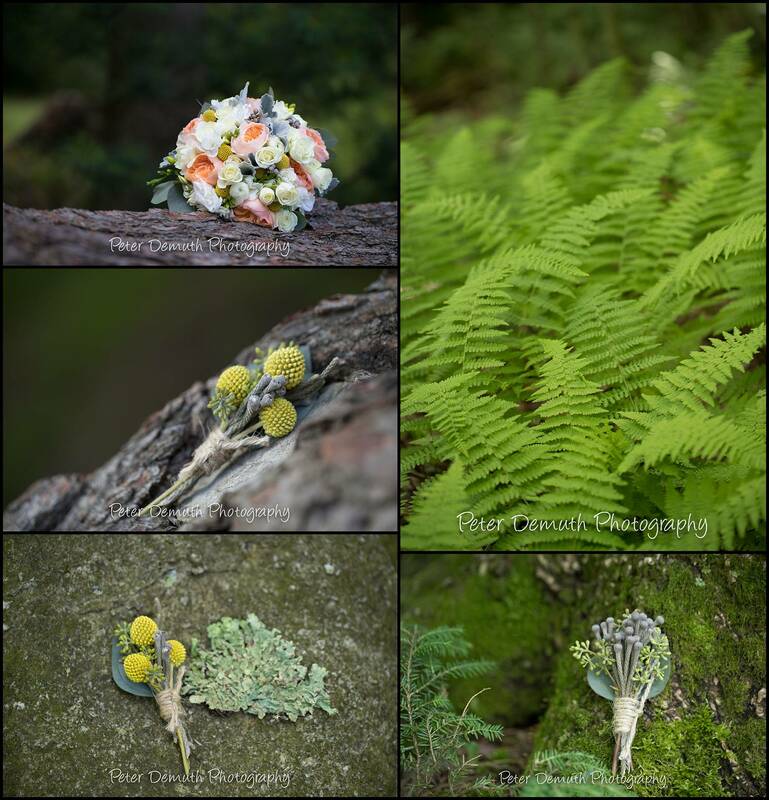 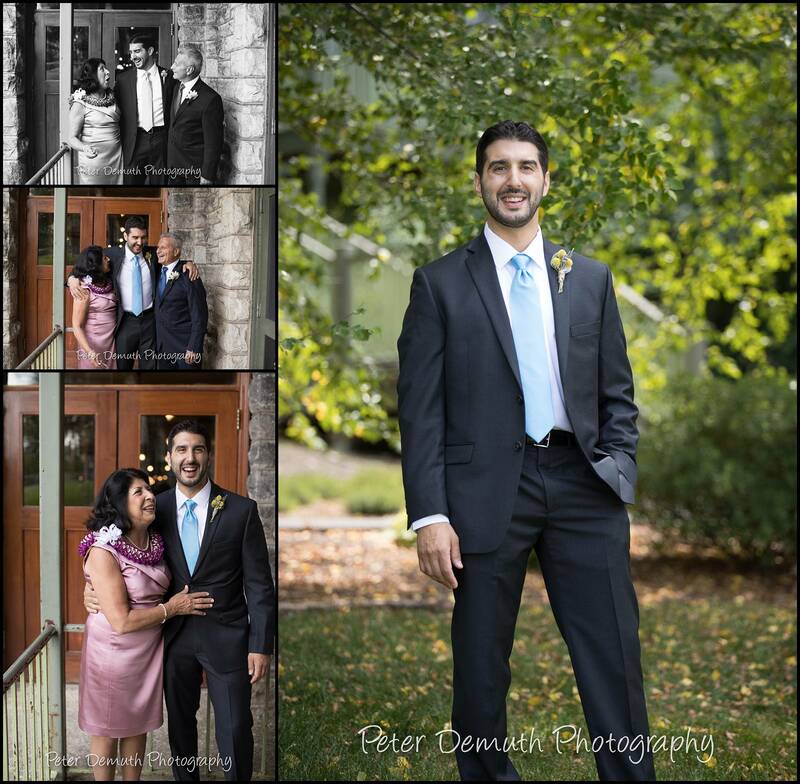 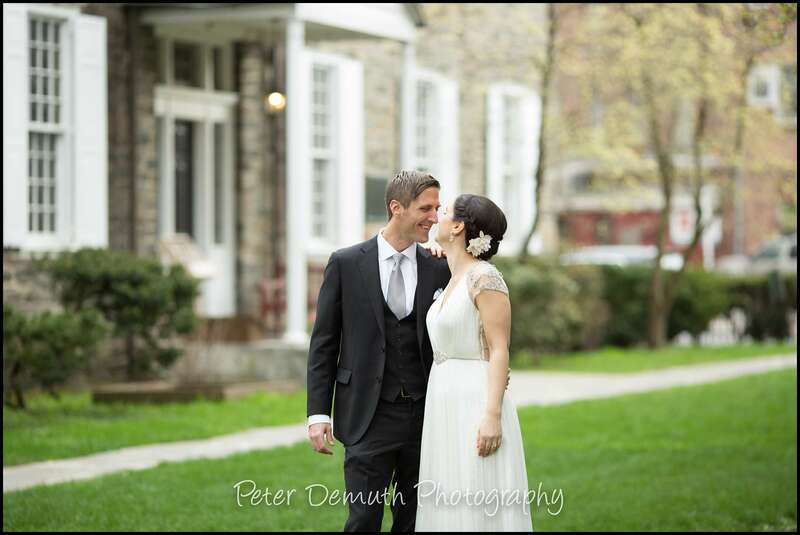 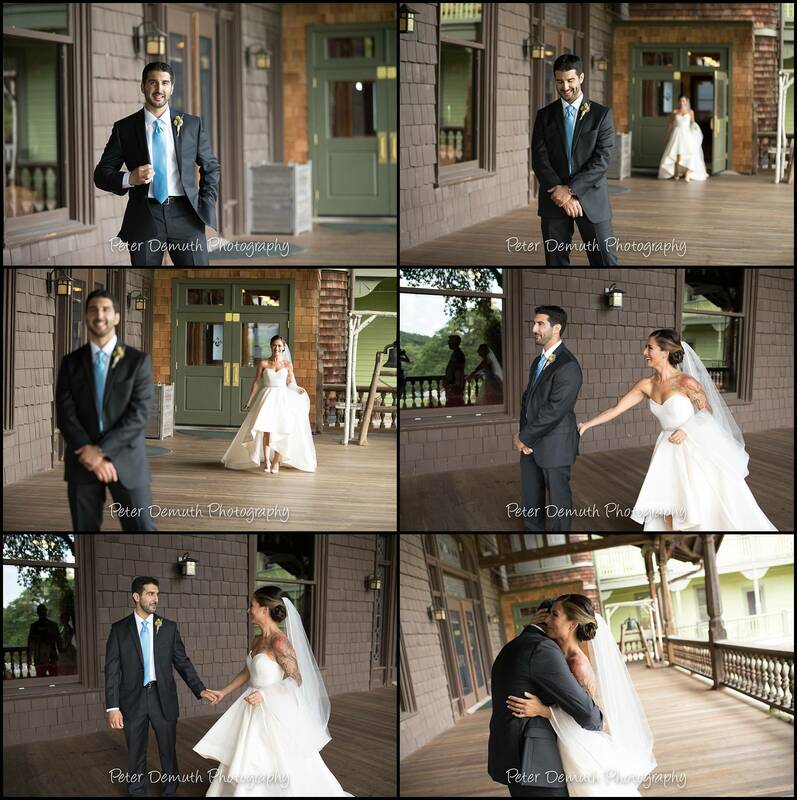 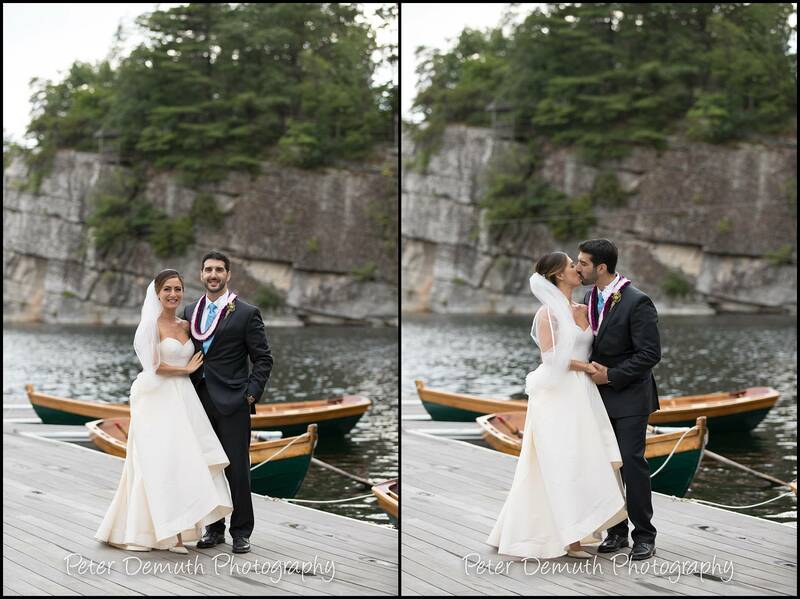 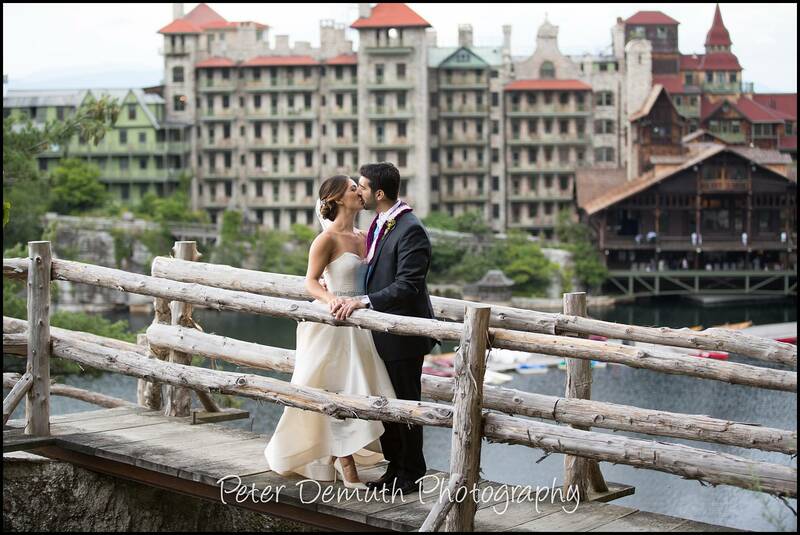 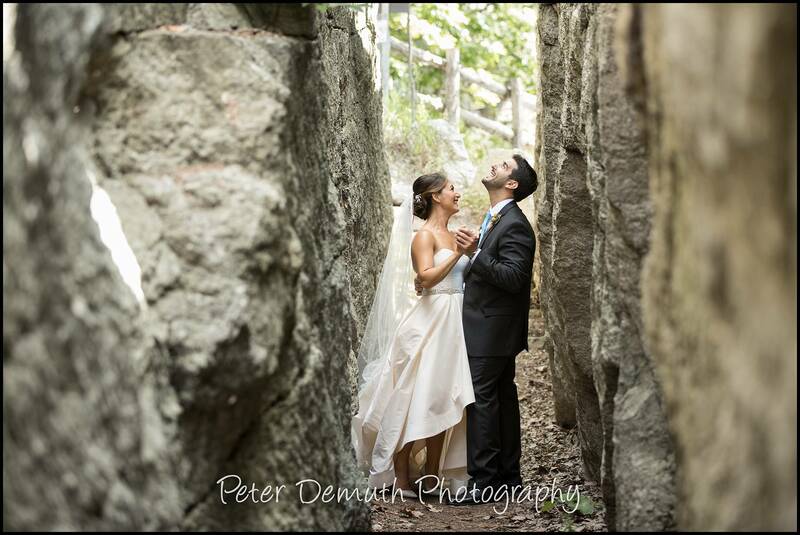 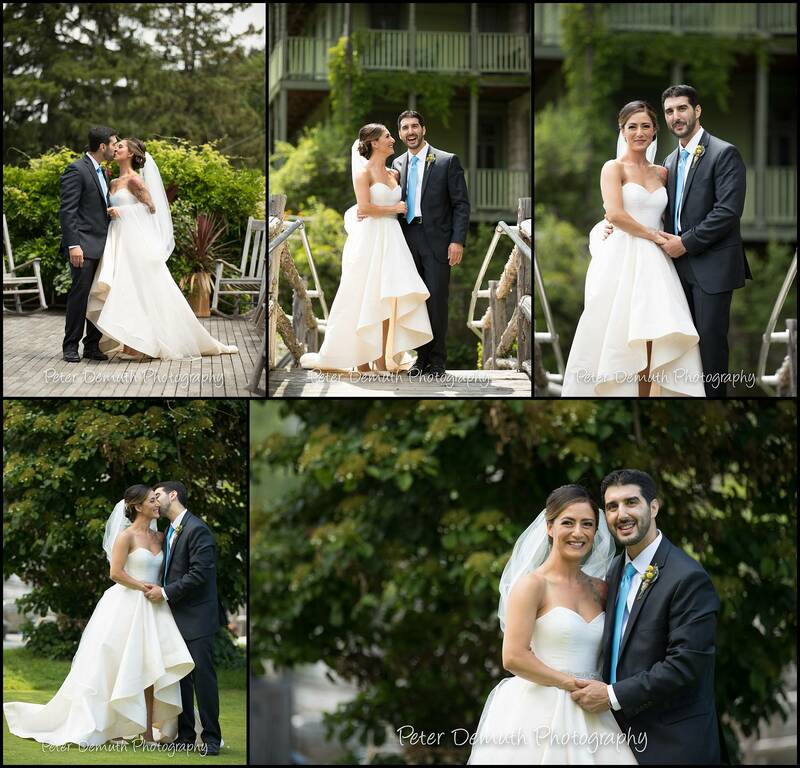 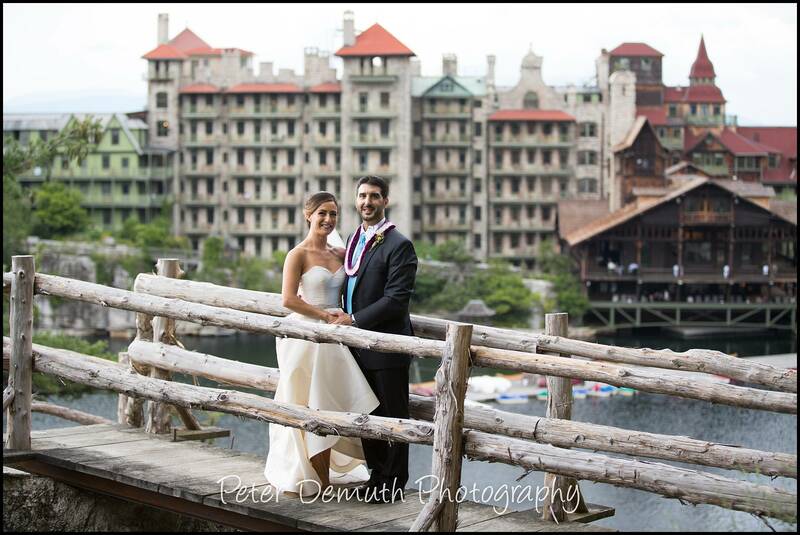 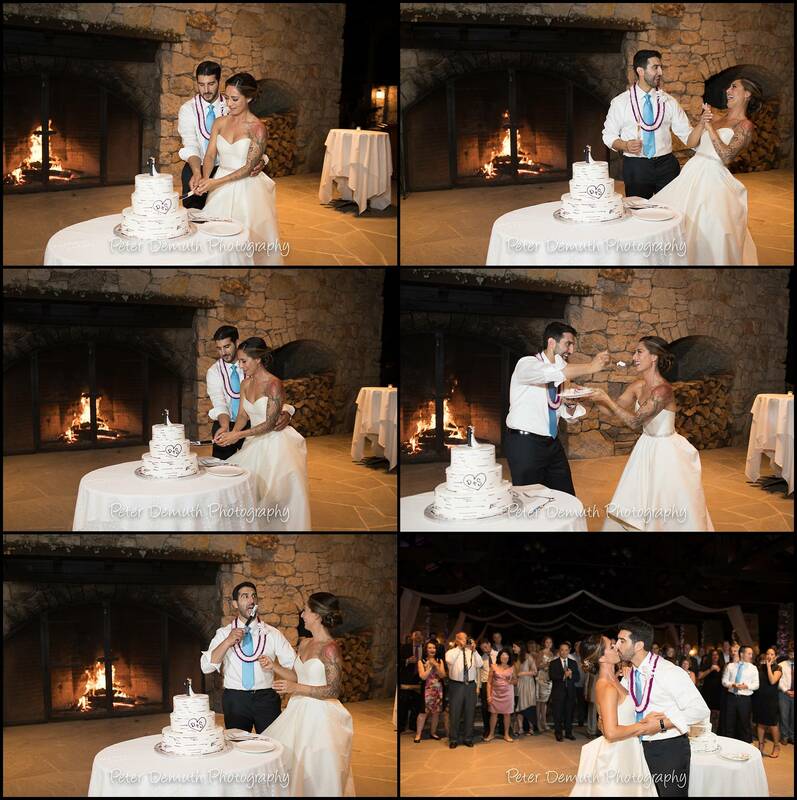 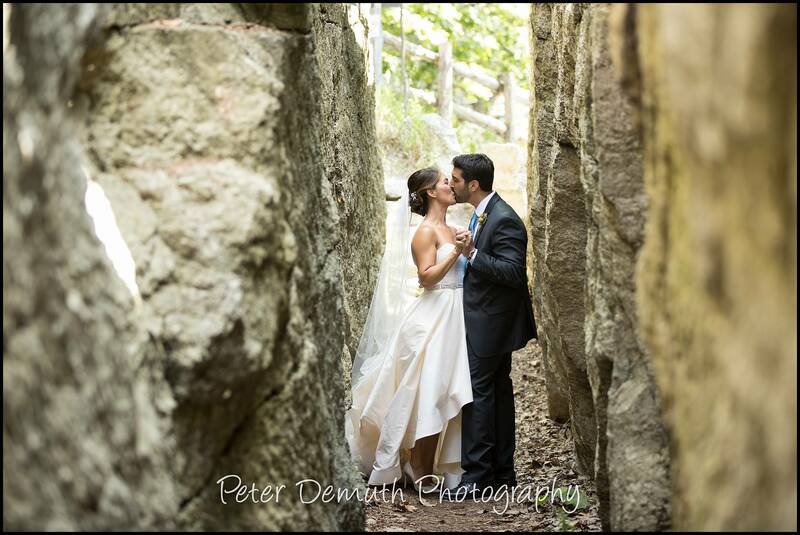 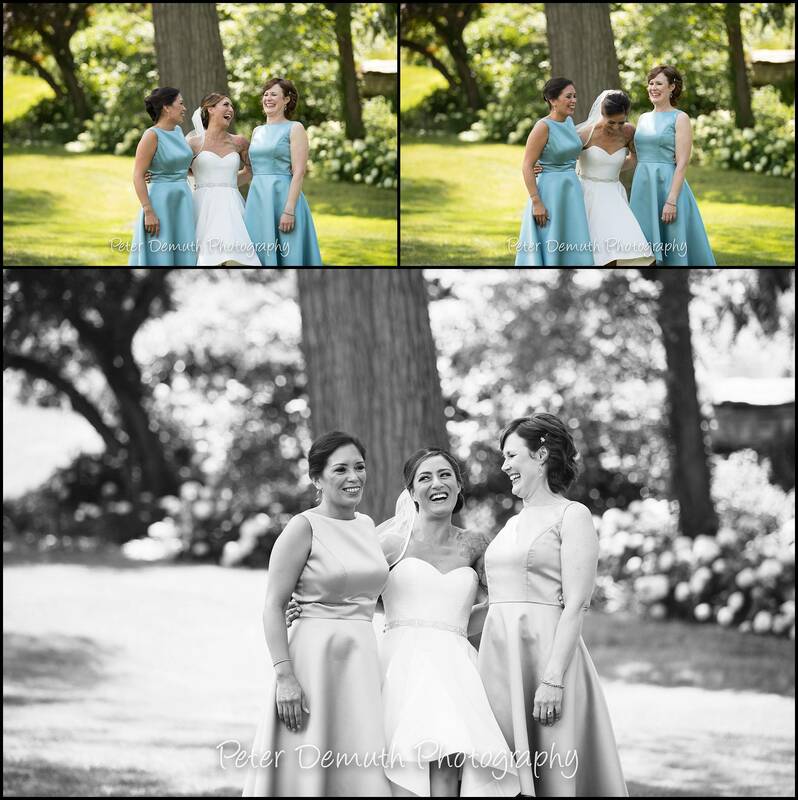 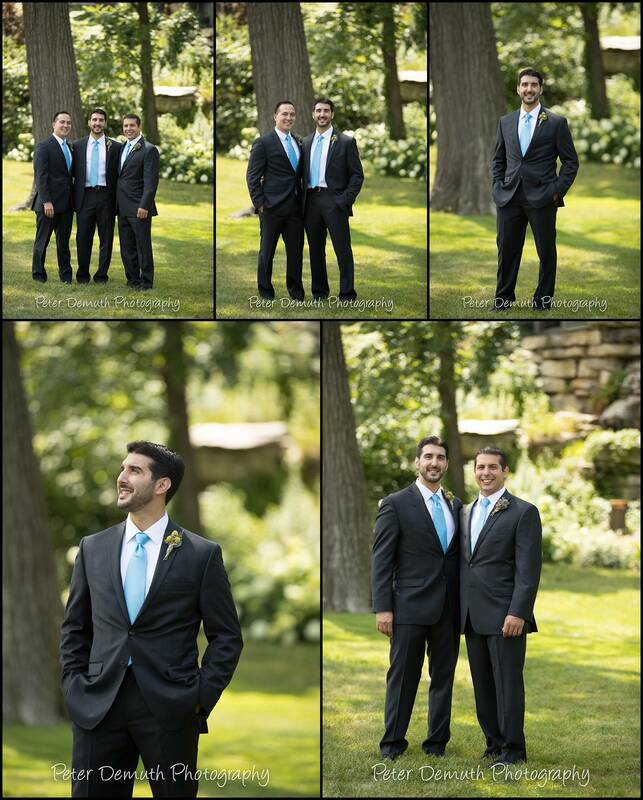 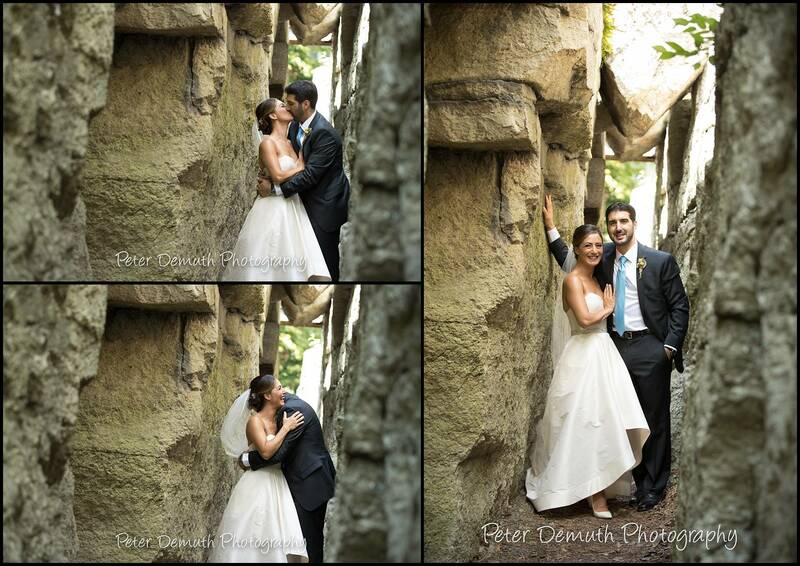 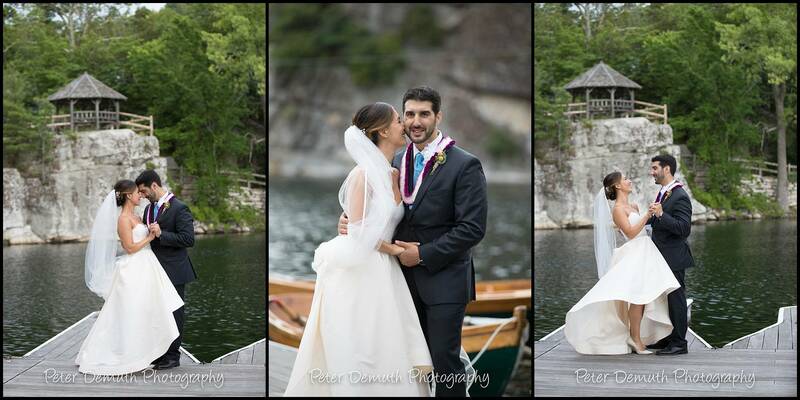 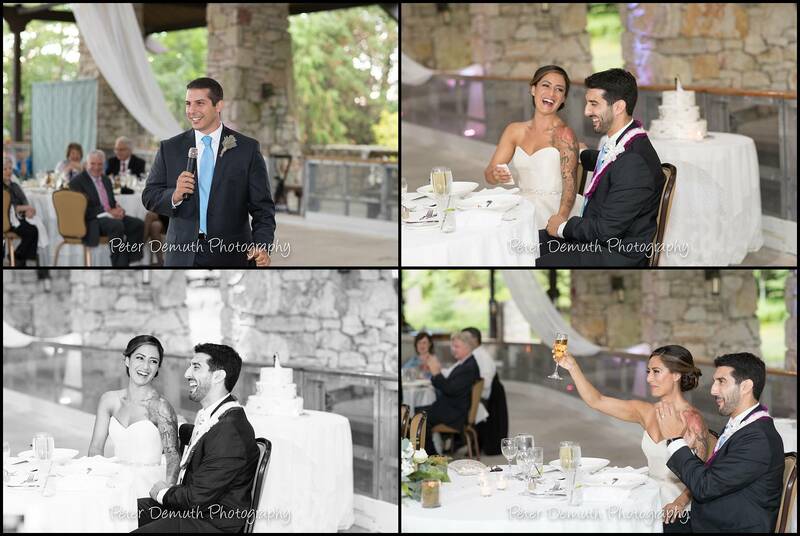 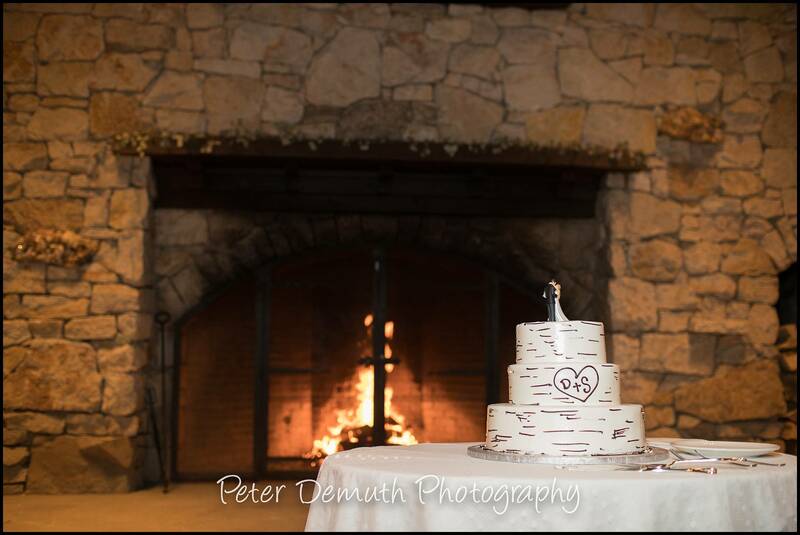 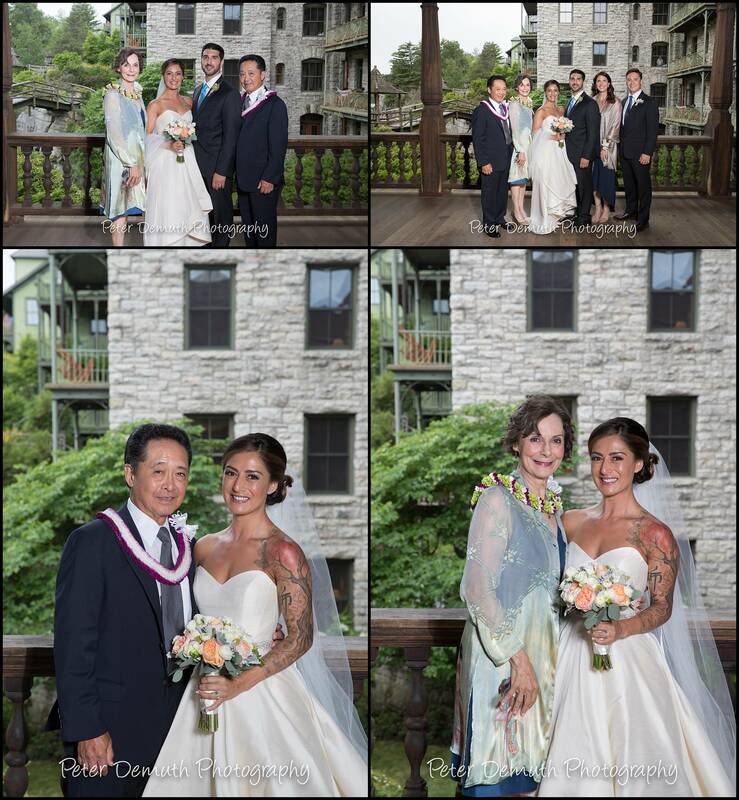 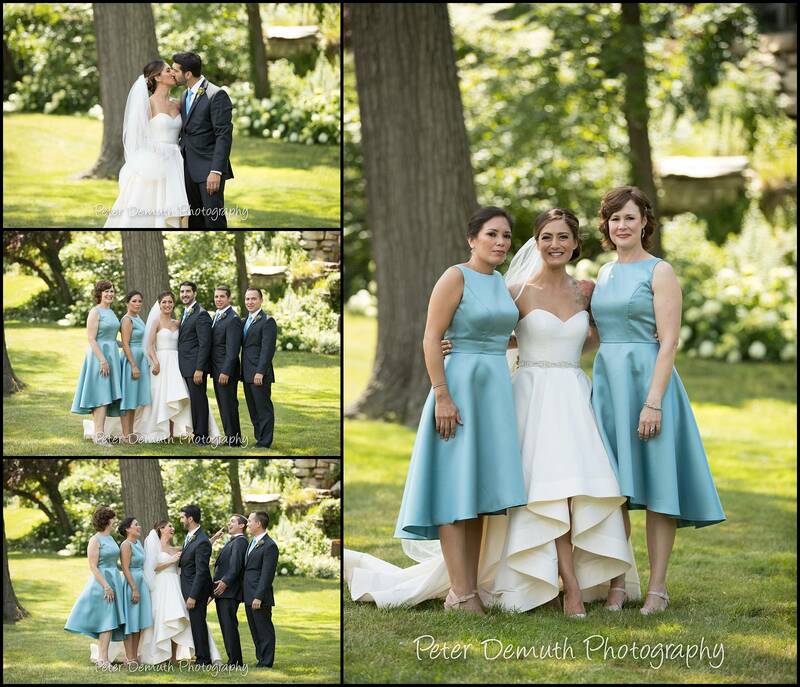 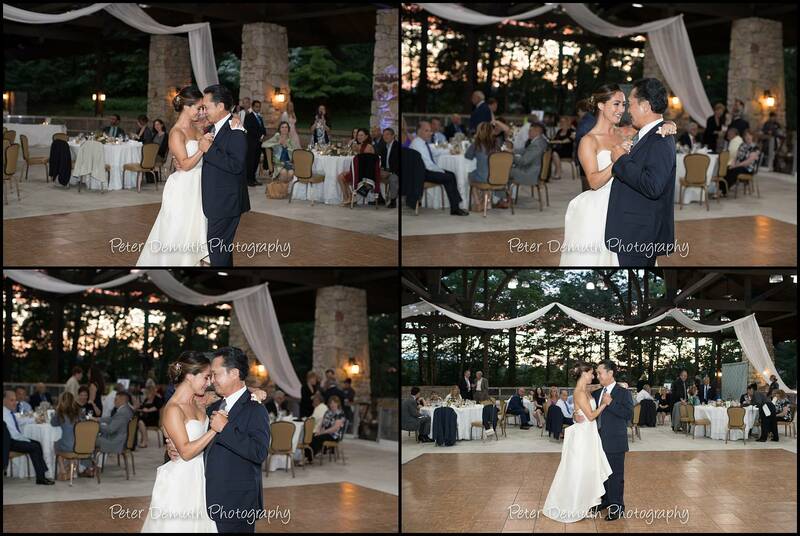 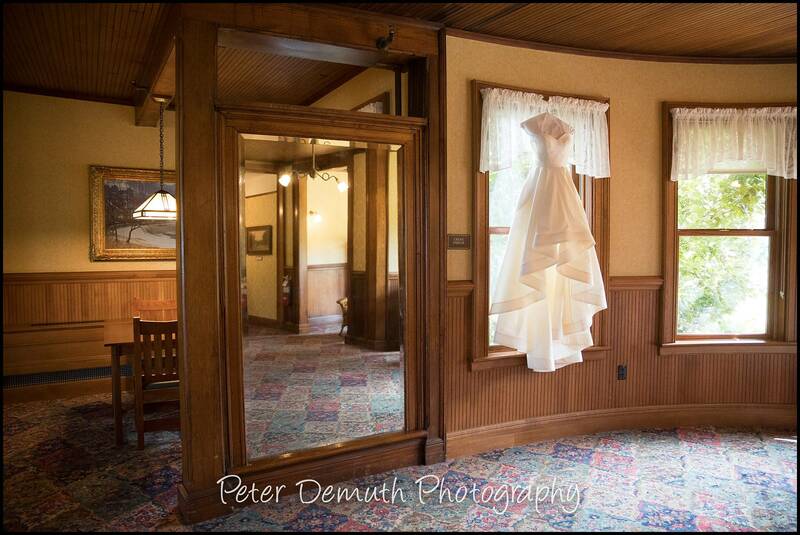 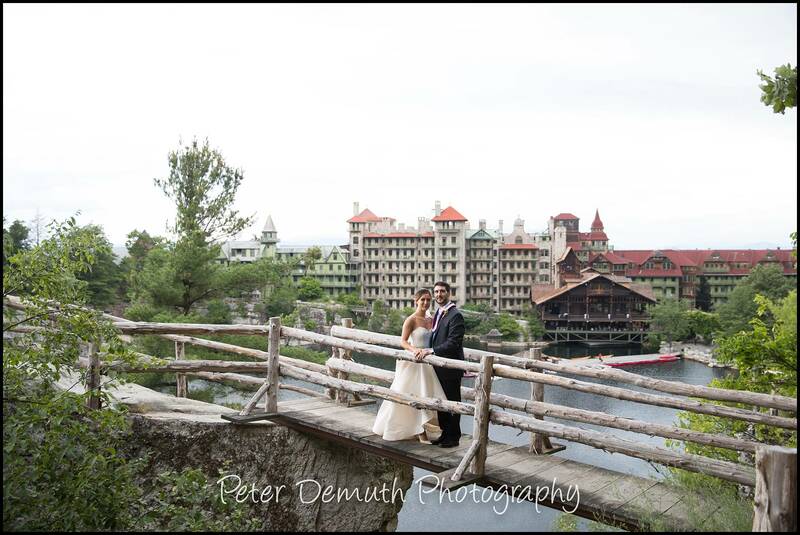 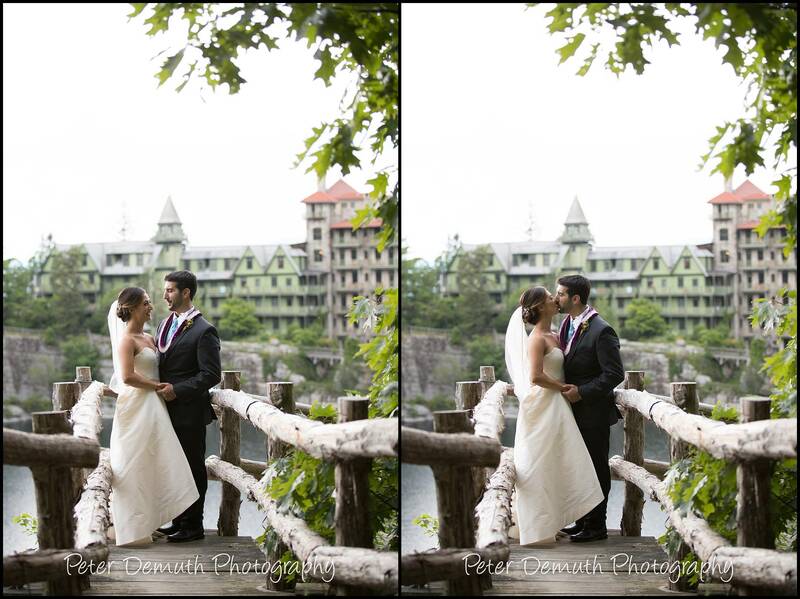 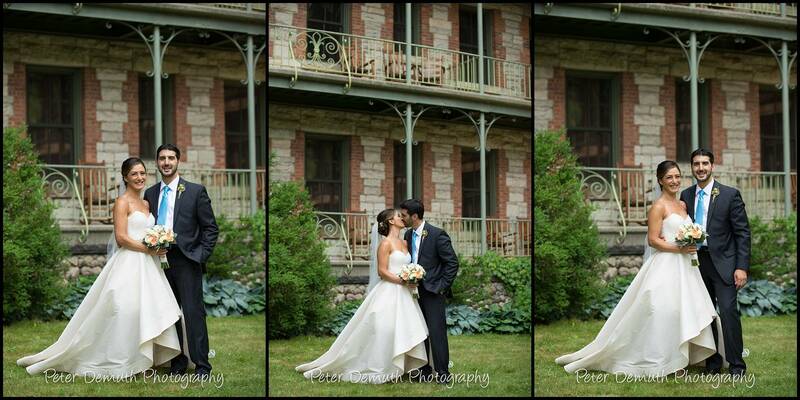 A Mohonk wedding certainly has lots of nature and many outdoor photo opportunities. 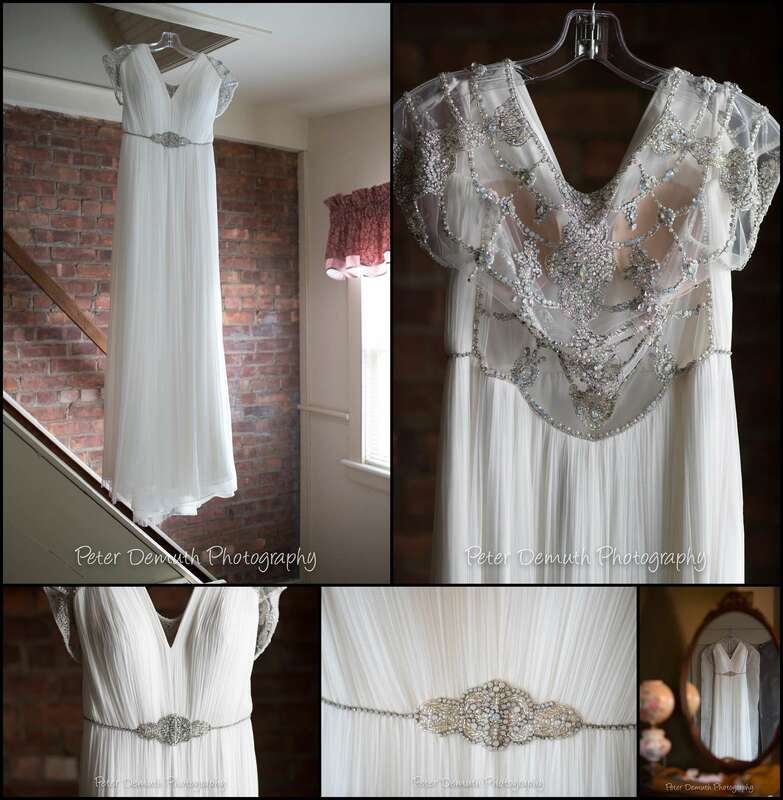 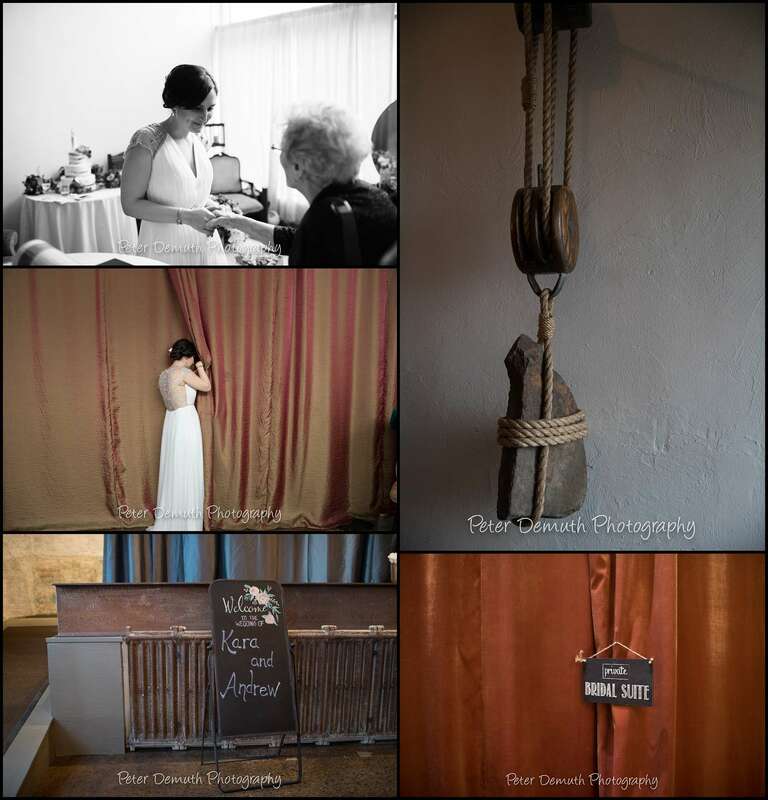 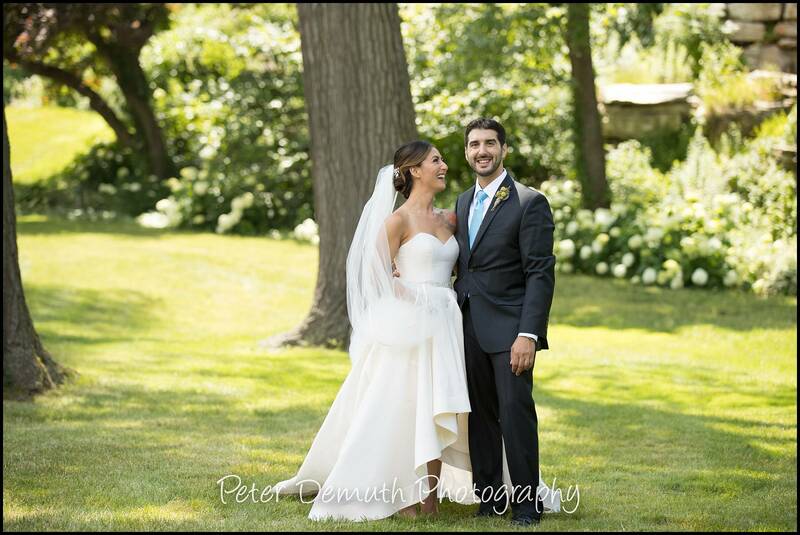 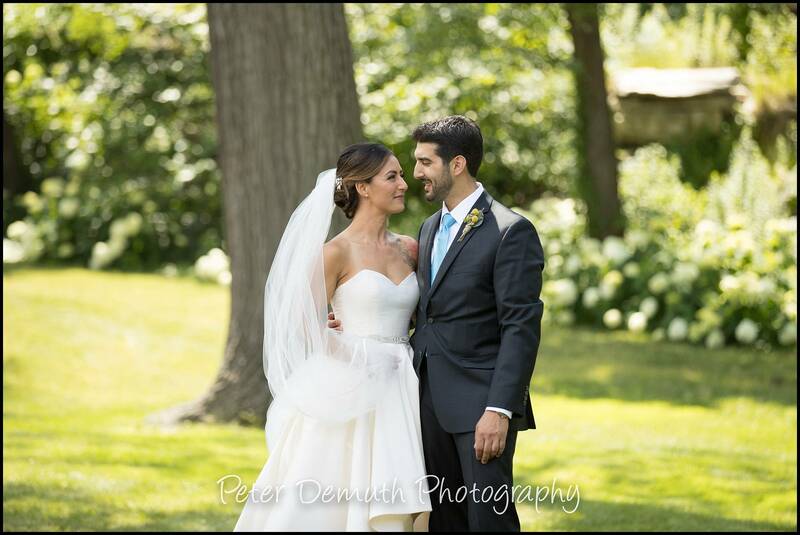 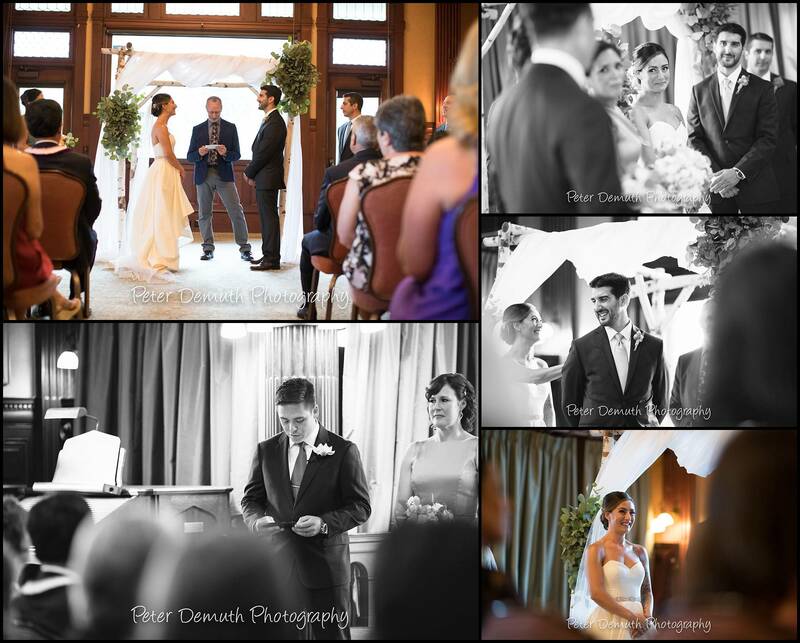 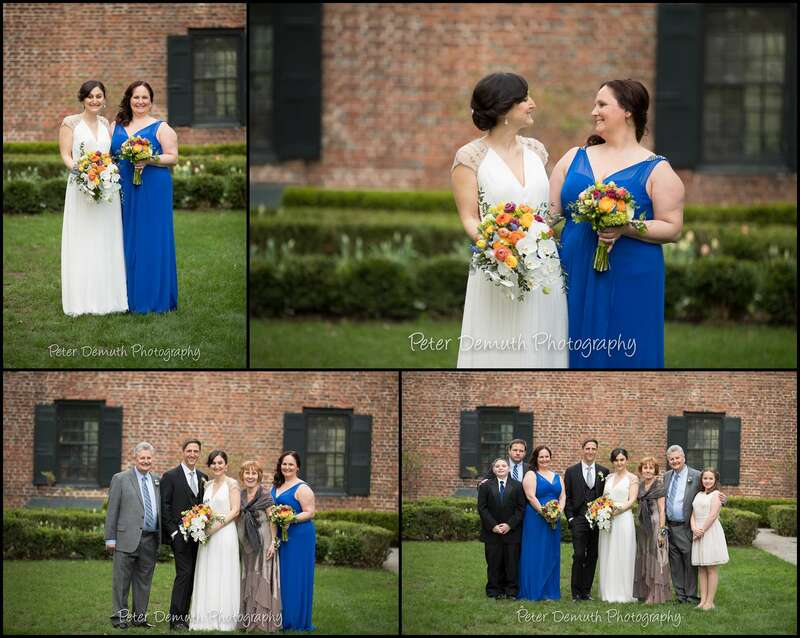 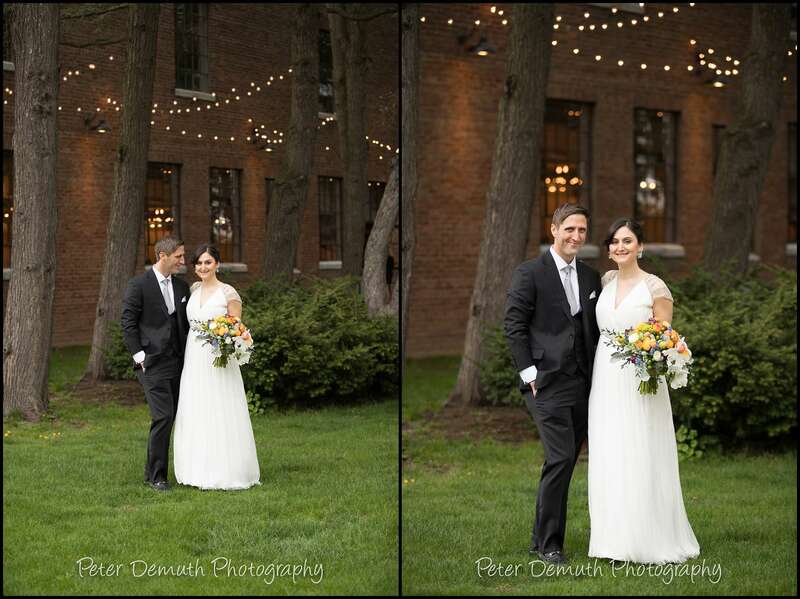 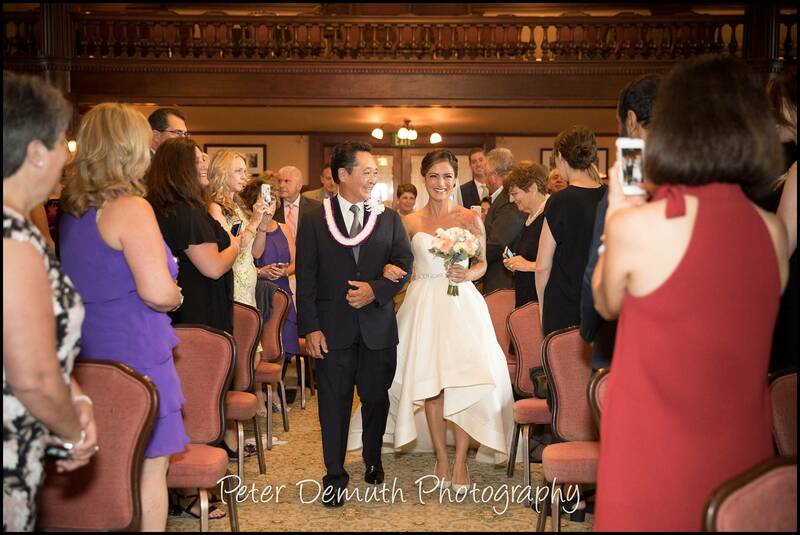 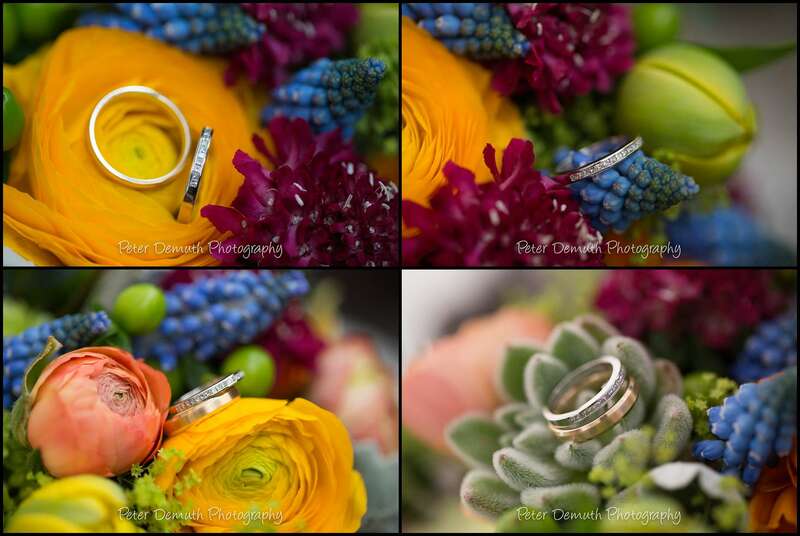 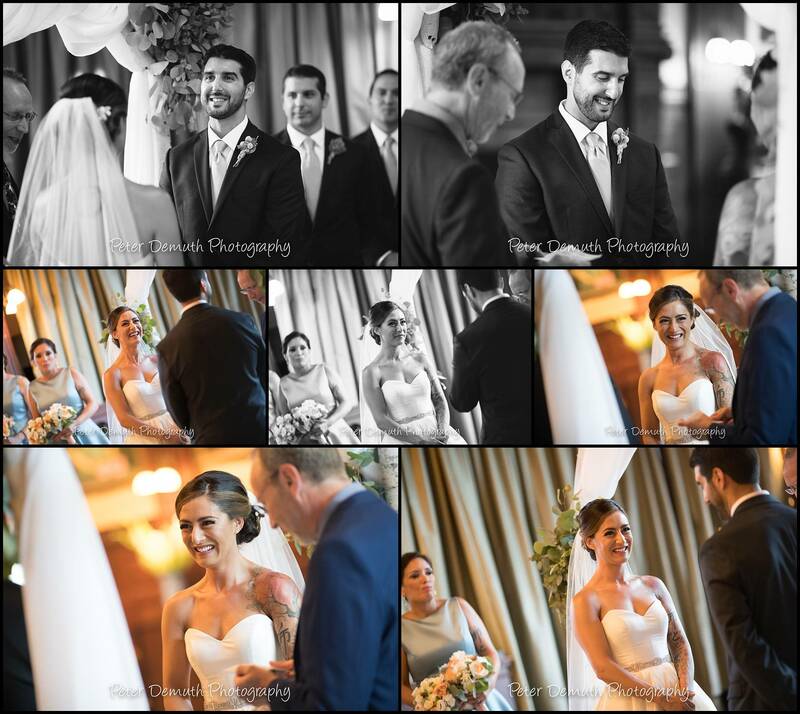 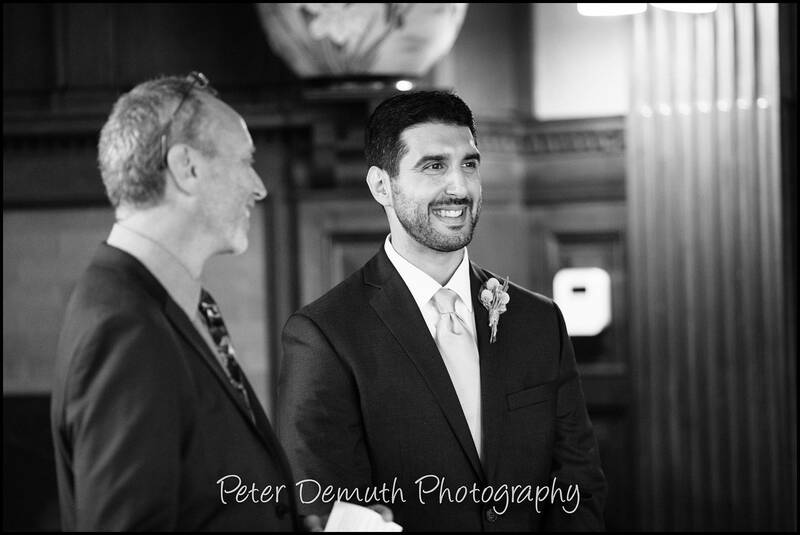 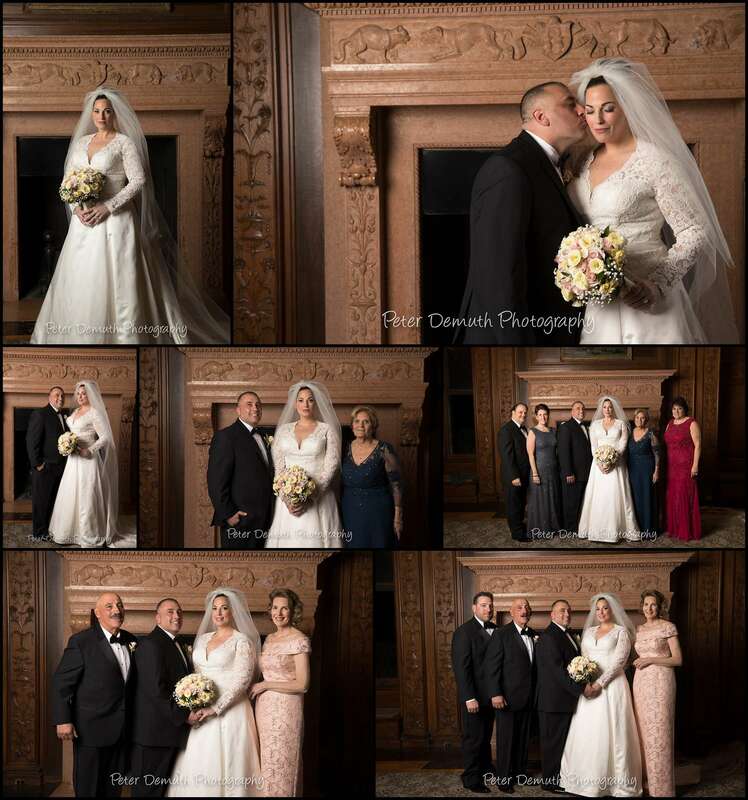 Incorporating natural details is one of the key elements of my photographic style, so I was thrilled when Stephanie and Dan hired me to document their July wedding there. 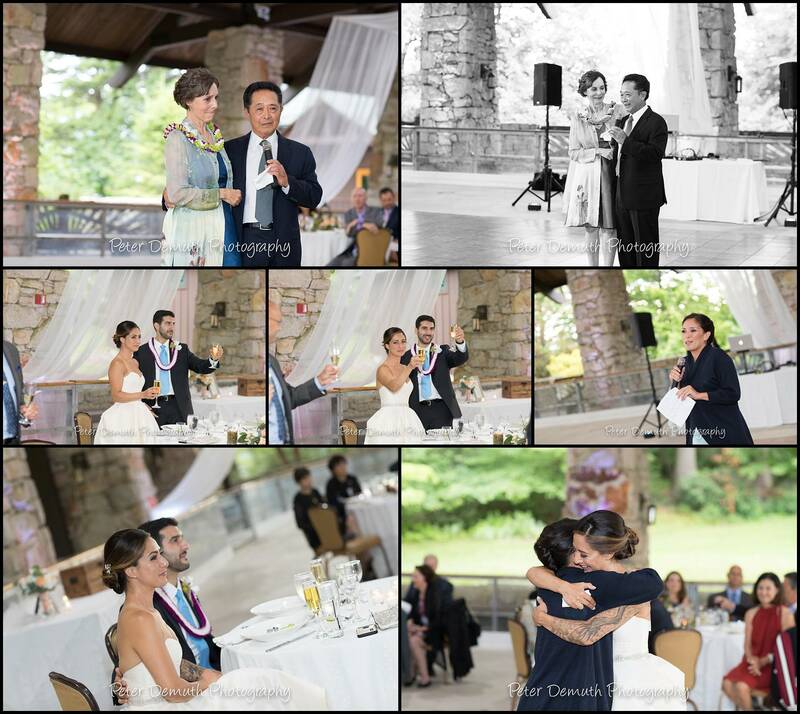 Stephanie and Dan’s families and friends were some of the most welcoming people I’ve ever met. 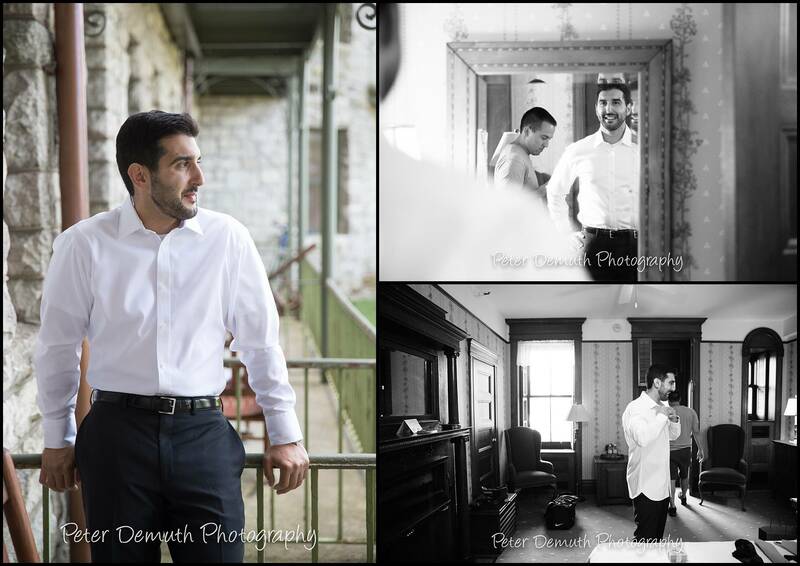 With all the laughter and smiles, it was really fun to photograph them all interacting throughout the day. 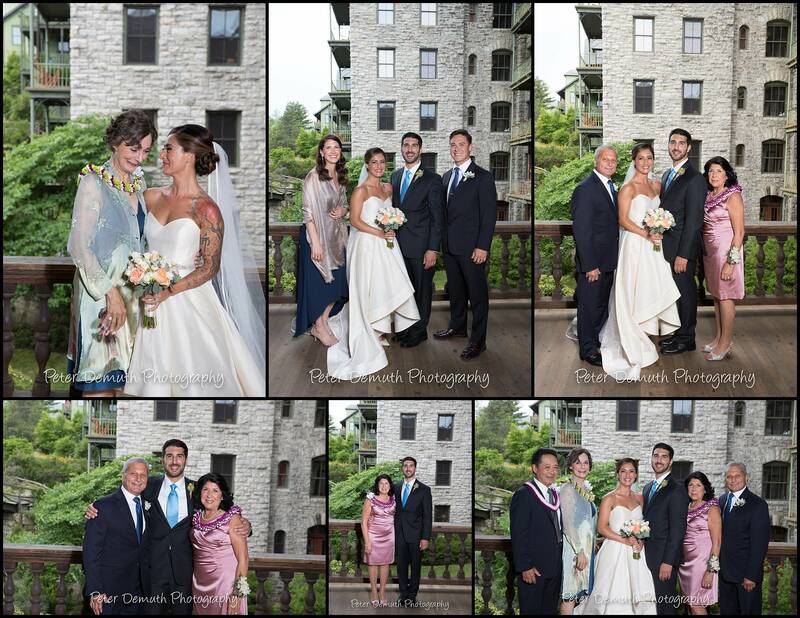 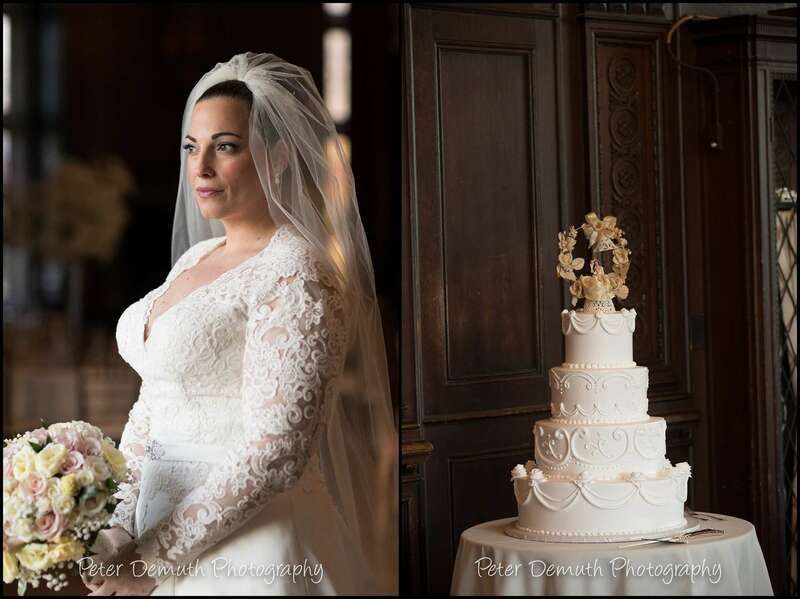 Not only was working with Stephanie and Dan a treat, but the vendors below are amongst the most talented, creative, and fun to work with in the Hudson Valley. 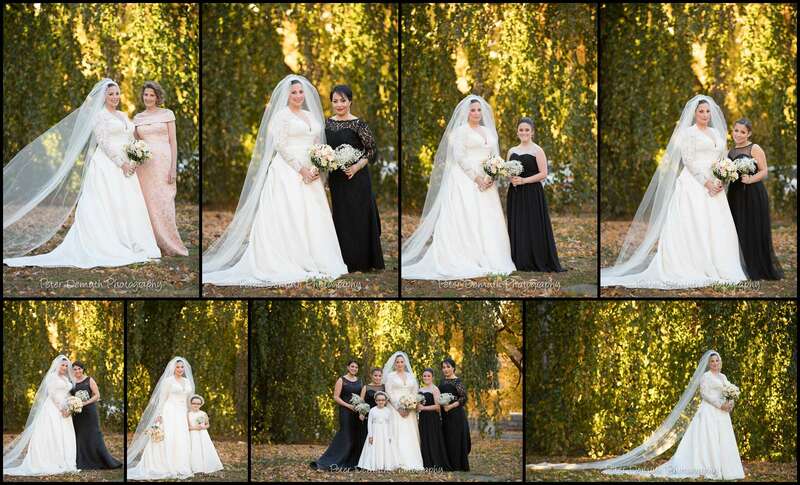 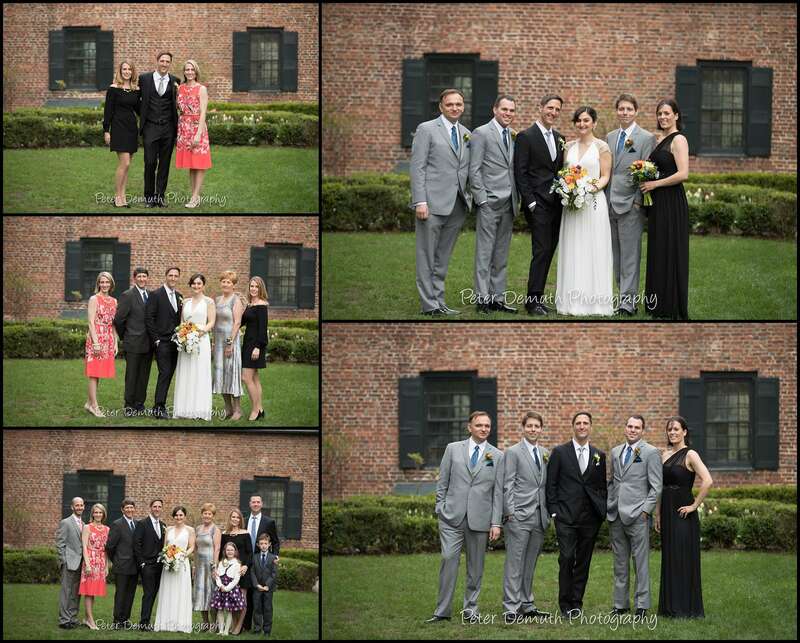 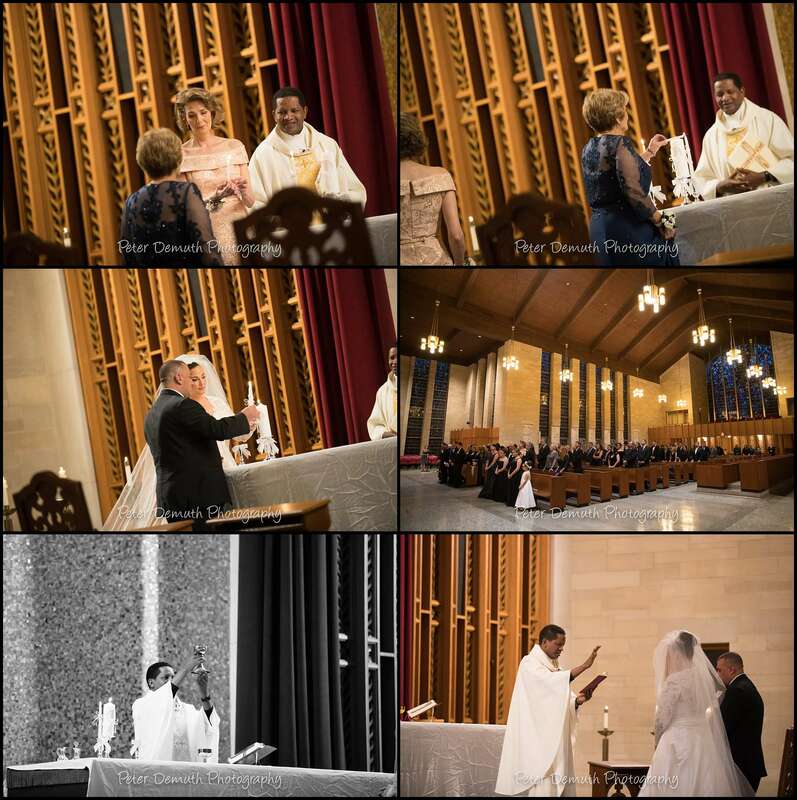 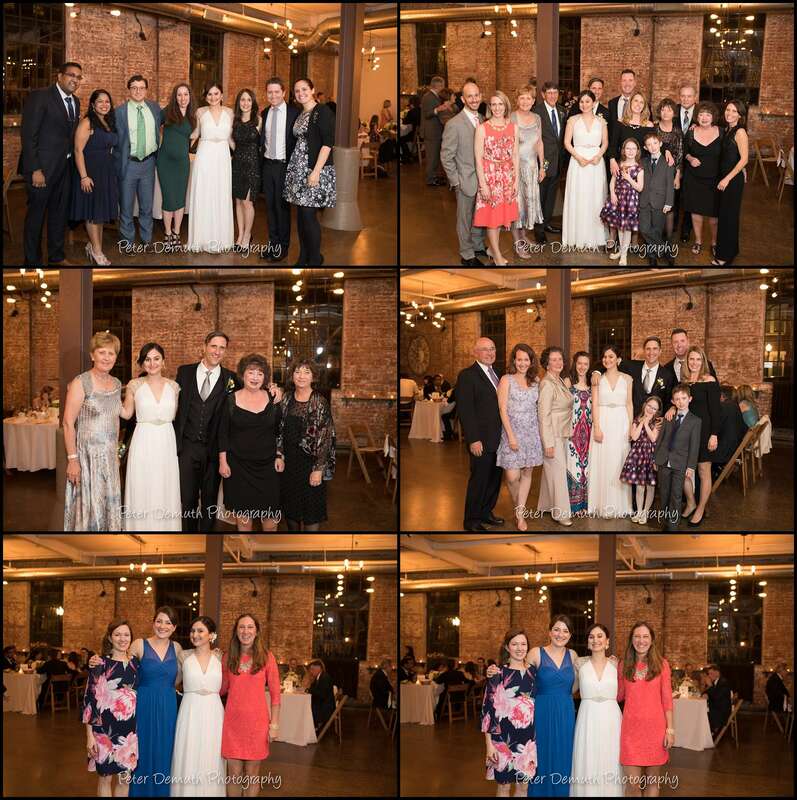 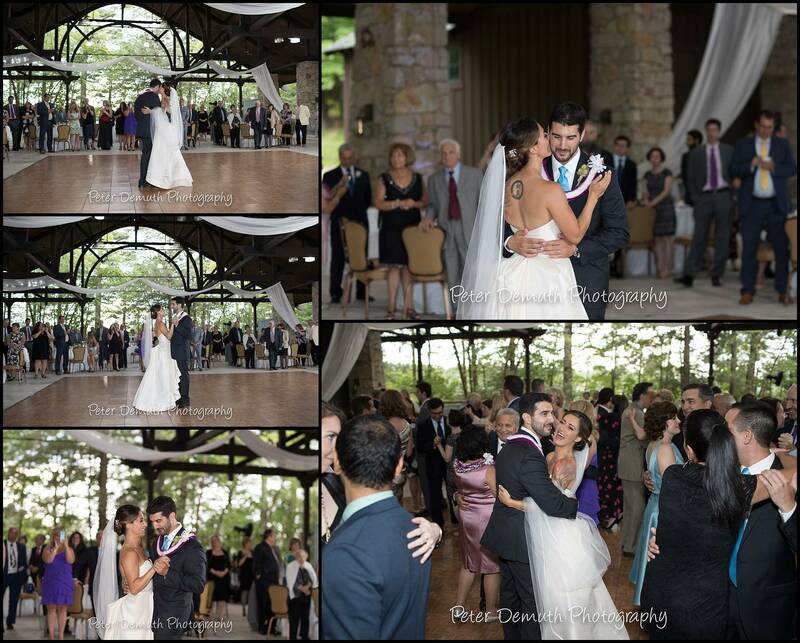 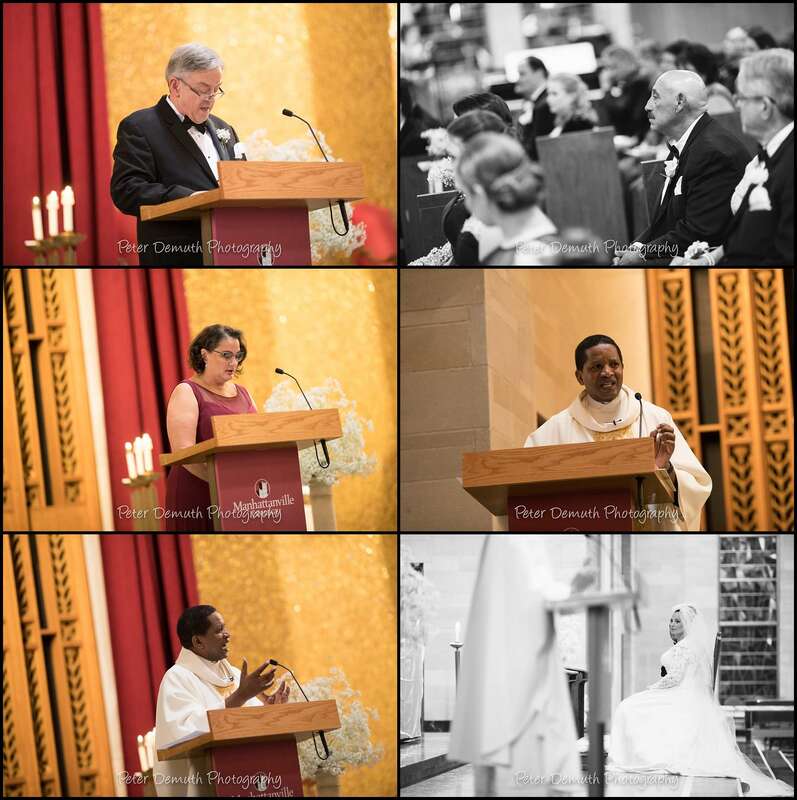 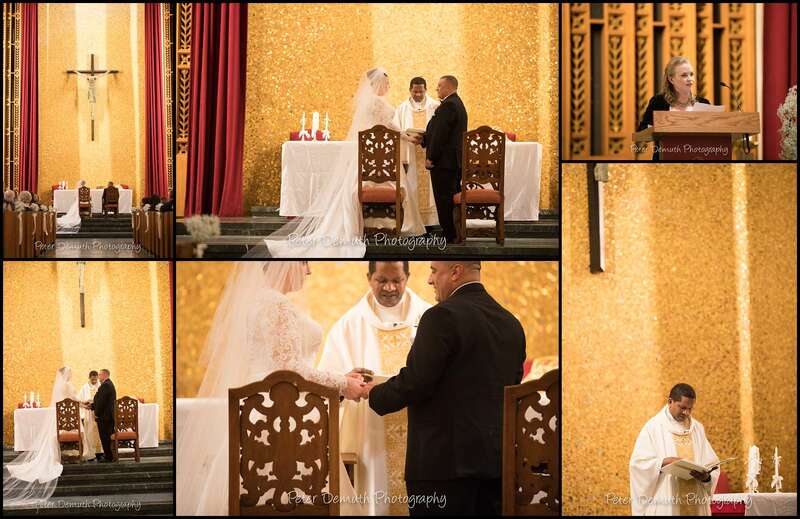 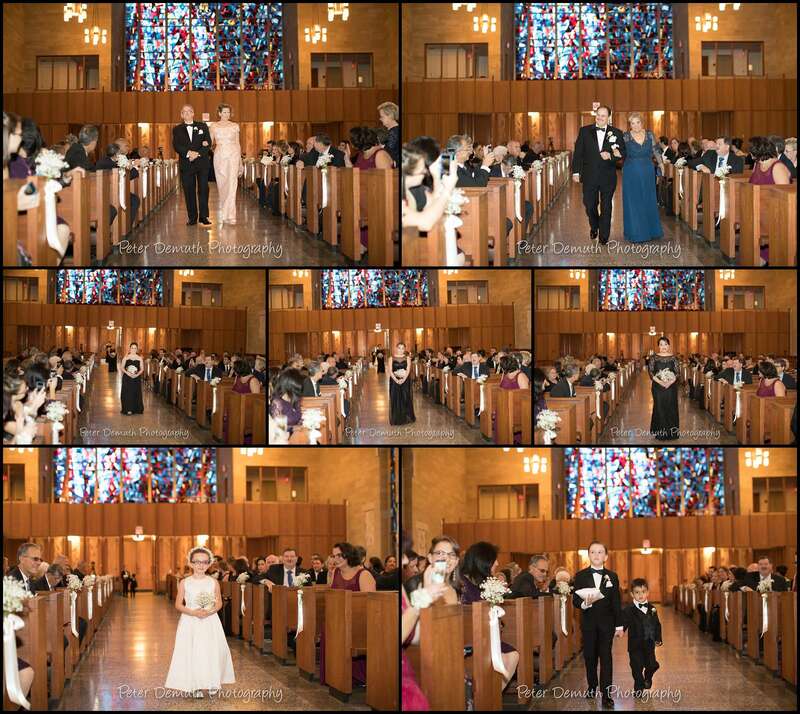 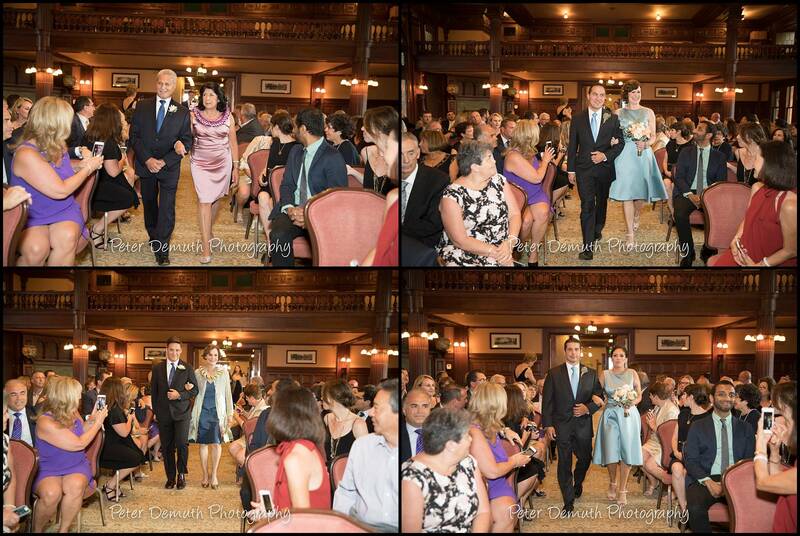 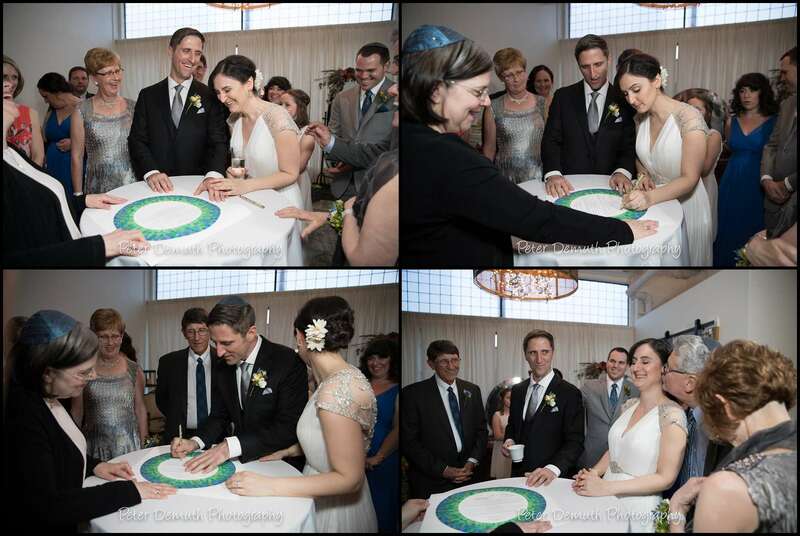 Having them all converge on a single wedding was a real treat! 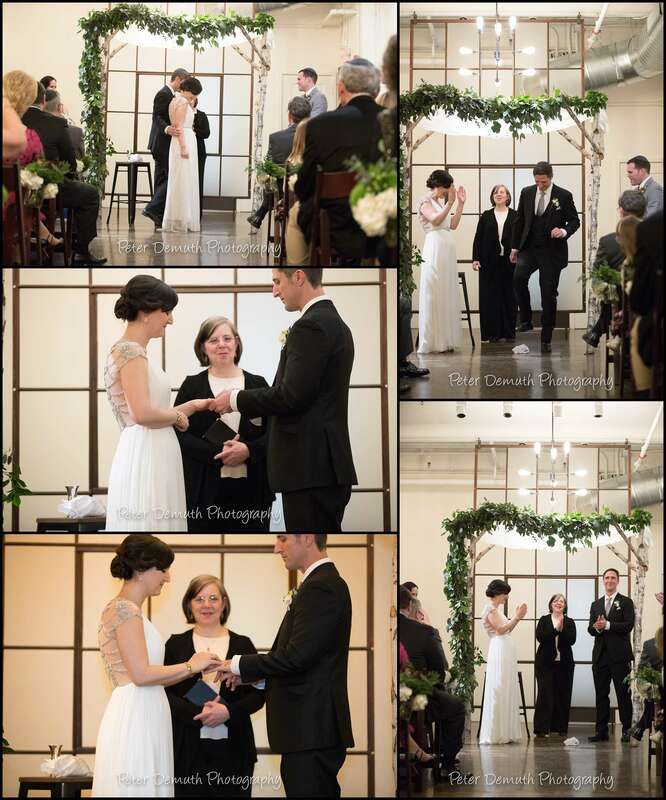 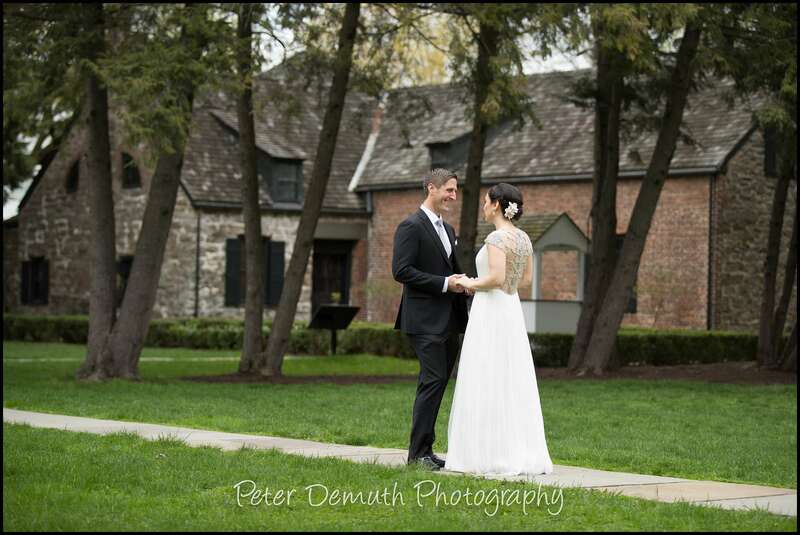 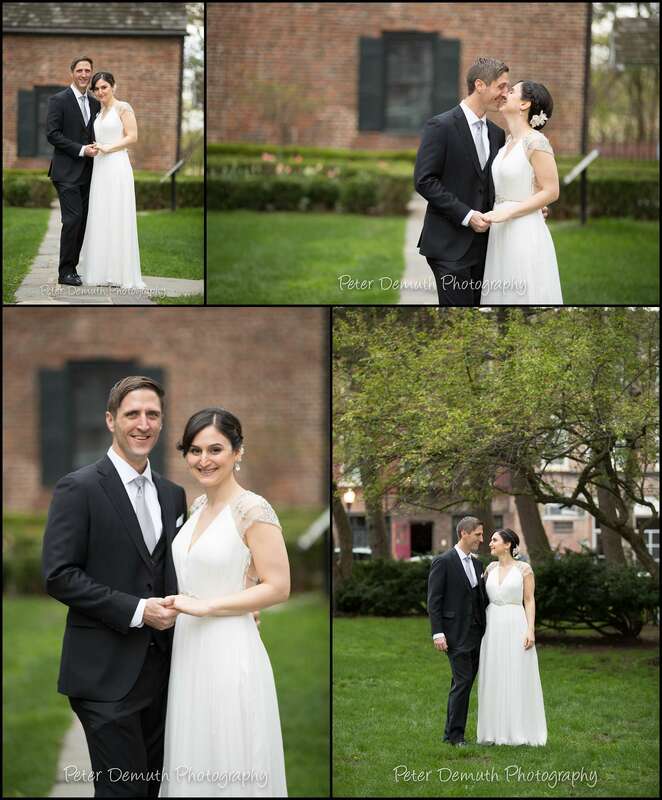 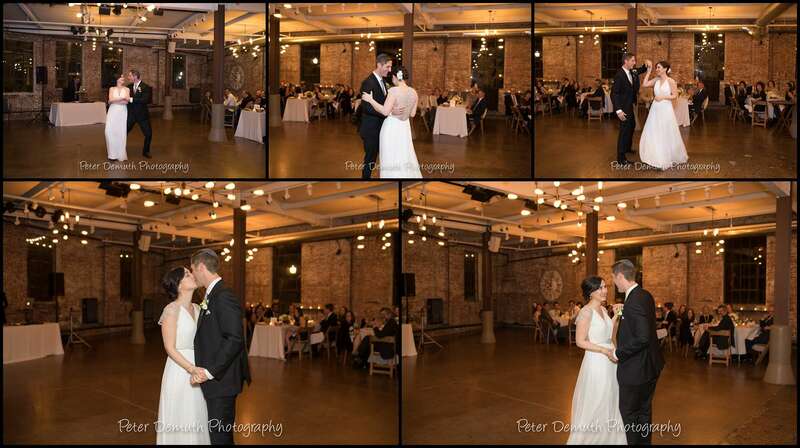 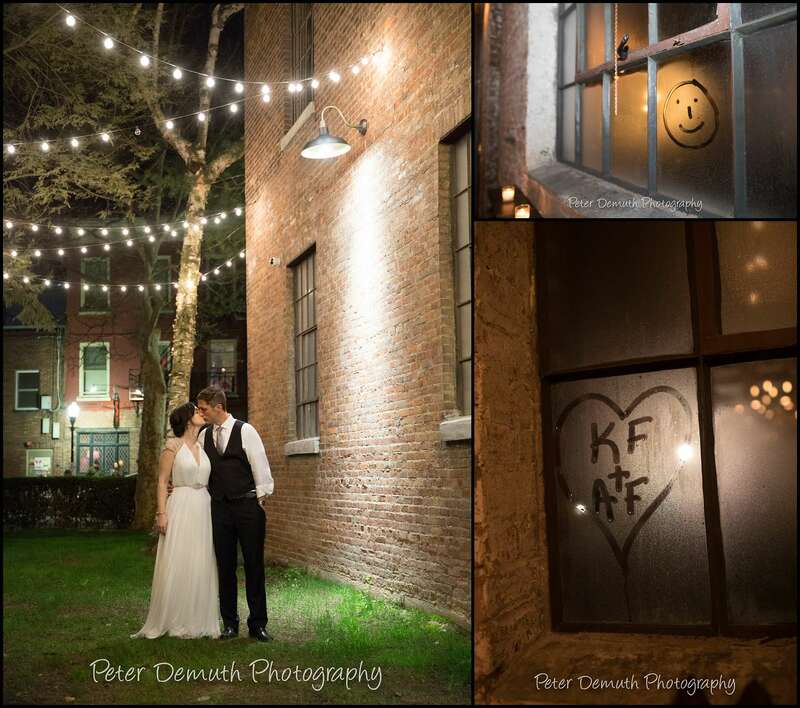 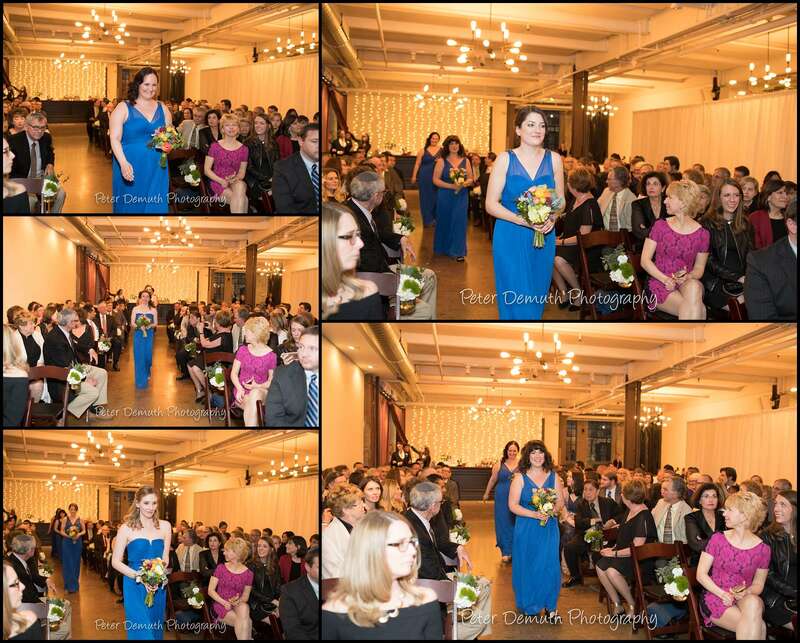 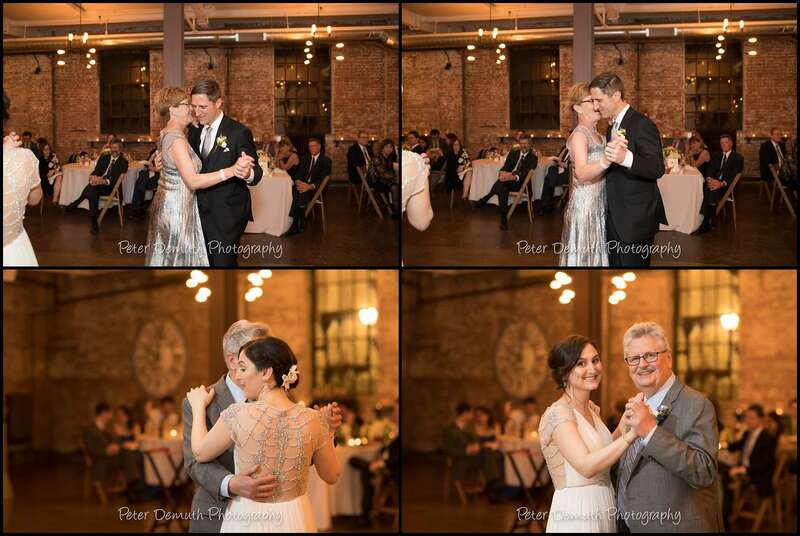 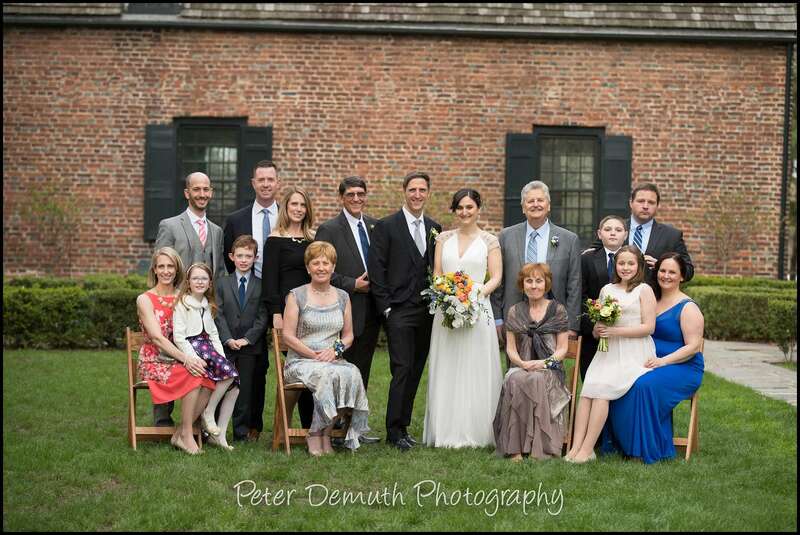 Kara & Andrew’s Senate Garage wedding in Uptown Kingston, NY took place on a beautiful early spring day. 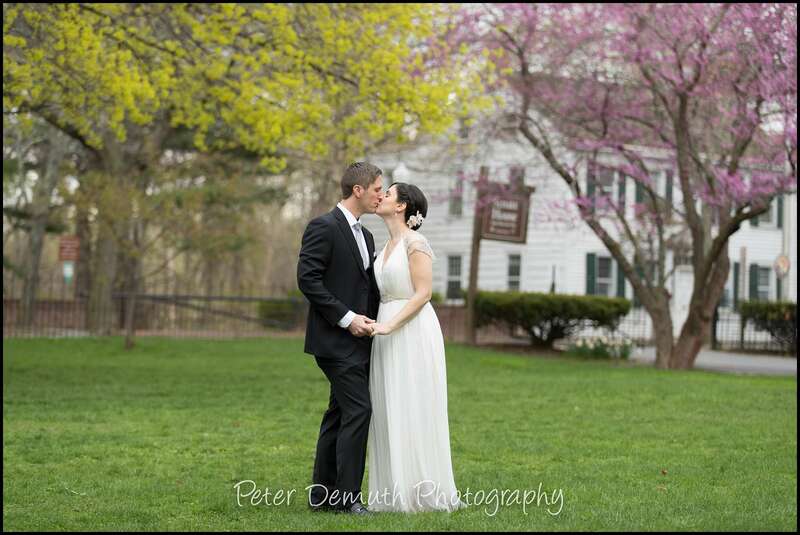 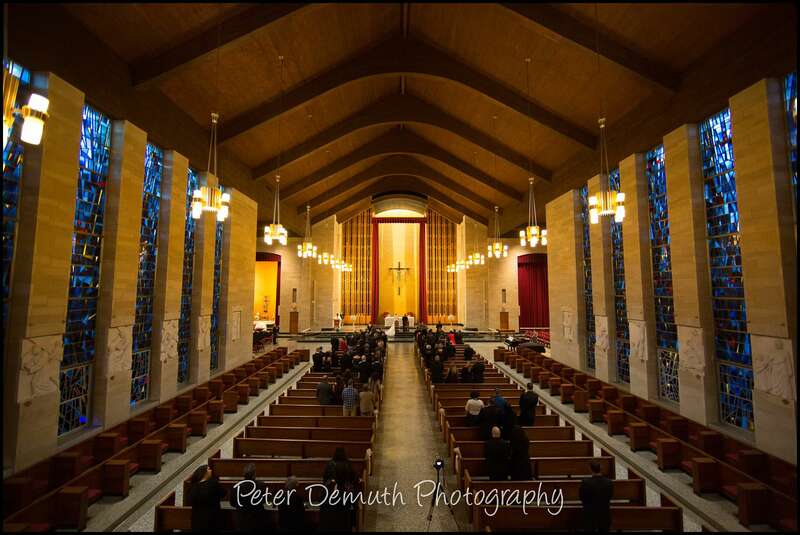 It’s not everyday (or ever before for that matter) that I’ve had the pleasure of photographing a wedding that is walking distance from my house. 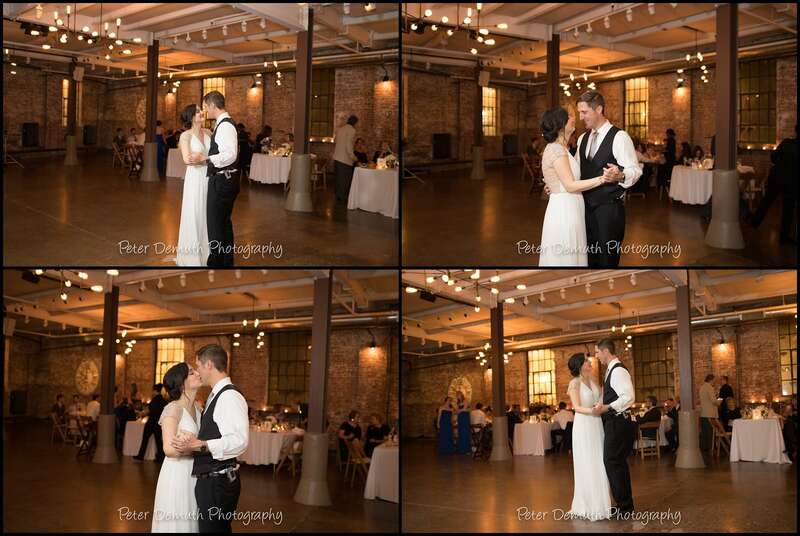 While I didn’t actually walk to the wedding because I bring a bunch of equipment, I was elated to work in this (very local) dramatic industrial venue with a really great couple. 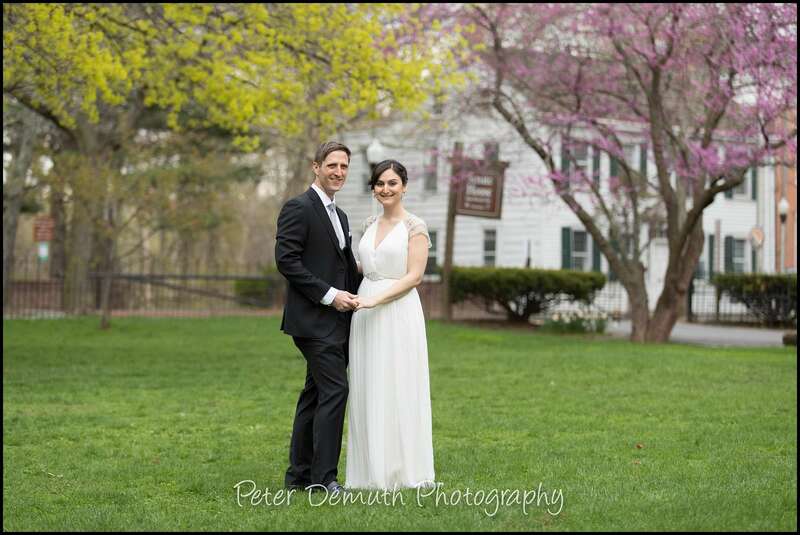 Schwartz’s Inn, a unique local inn with a very small (and misleading!) 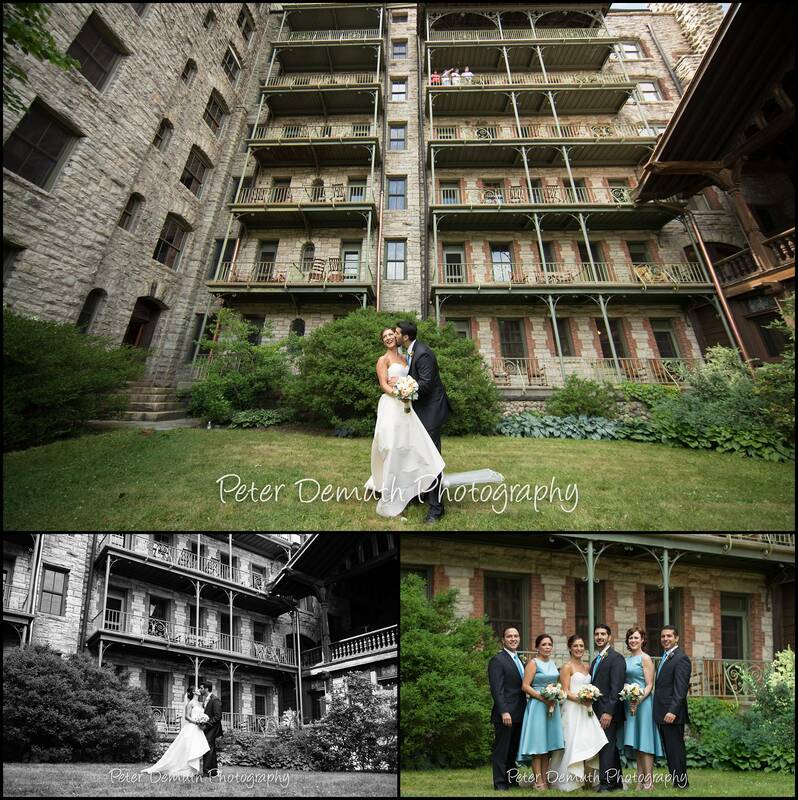 facade was the site of Kara’s wedding prep. 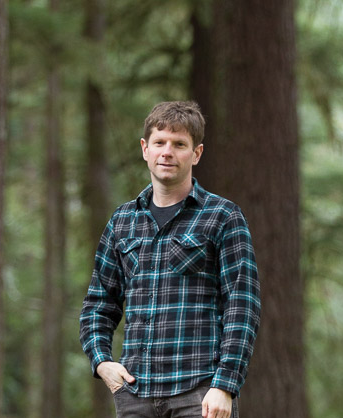 After spending some time there, I caught up with Andrew down the street. 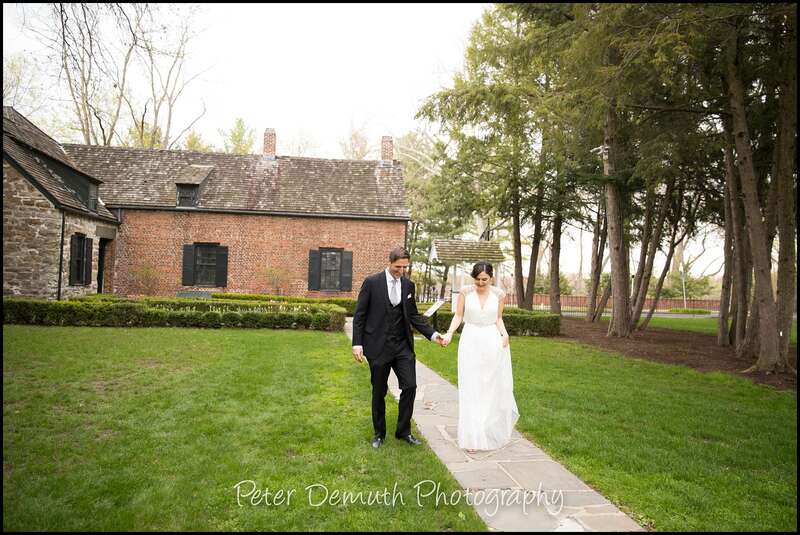 The early spring weather cooperated for a first look on the grounds of Kingston’s historic Senate House. 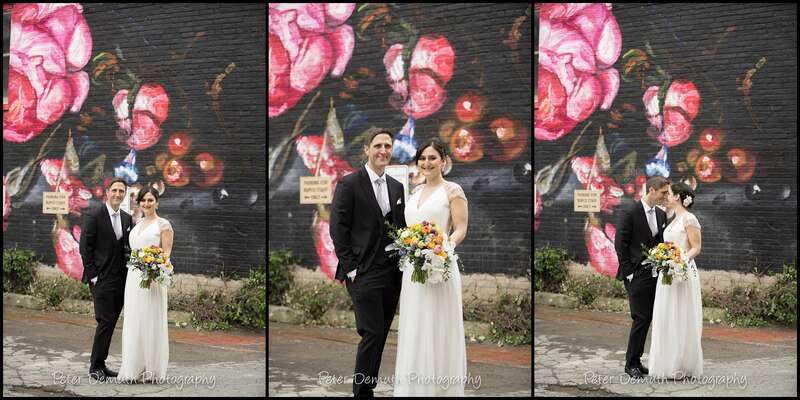 Kara & Andrew walked around Uptown with me for a bit, and we created some cool photos with a stunning O+ mural in the background. 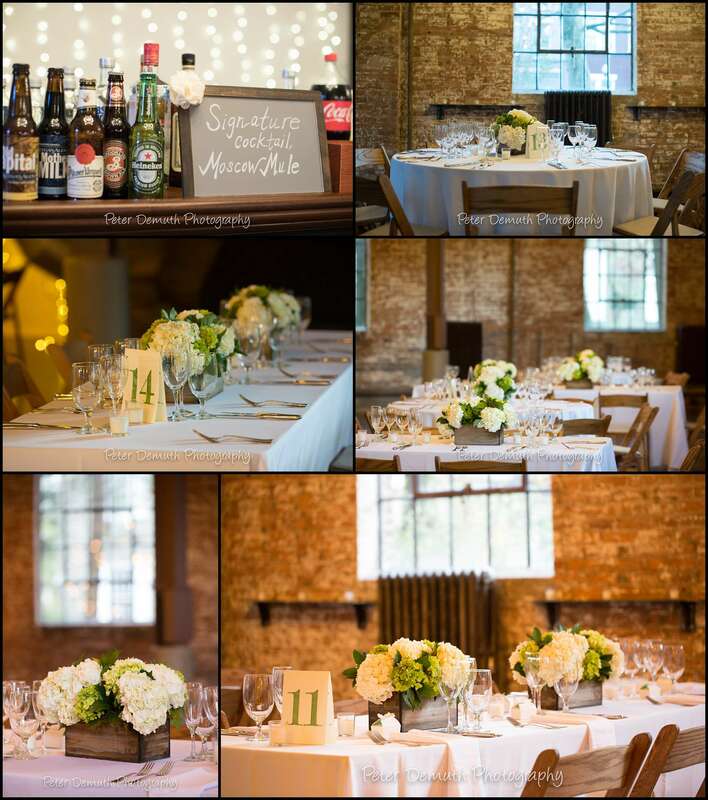 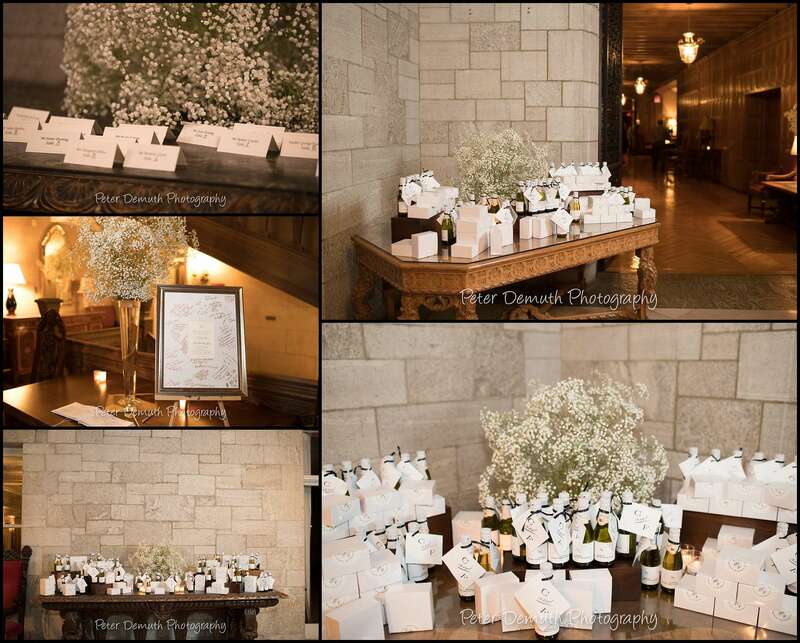 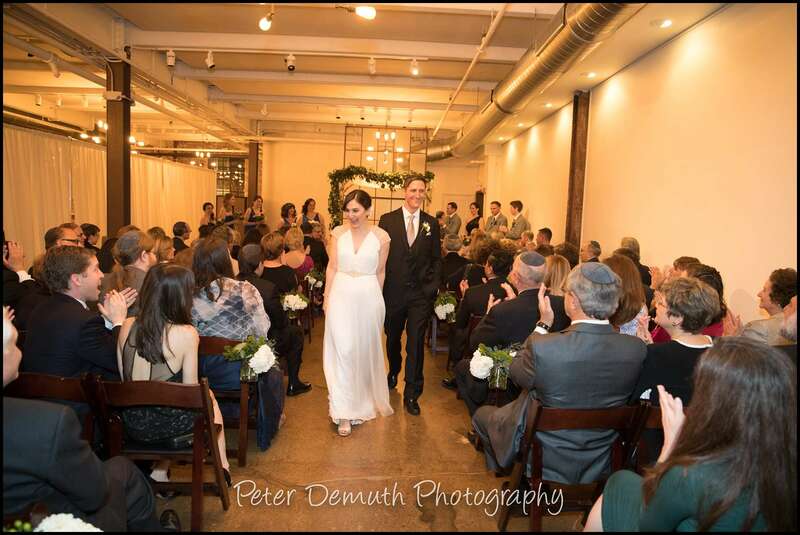 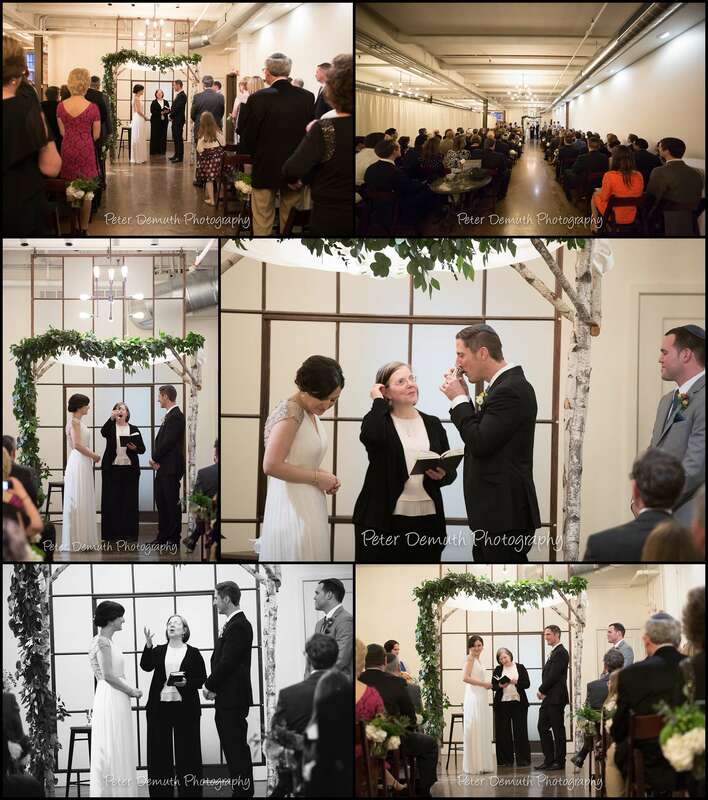 The Senate Garage in of all its versatility provided both an intimate indoor ceremony space and an elegant and beautiful reception space. 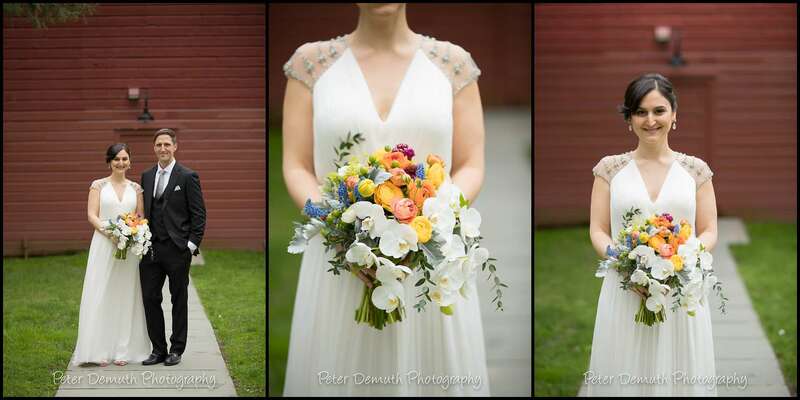 Speaking of beautiful, Kara’s colorful and gorgeous bouquet, created by The Green Cottage, is among the loveliest I’ve ever seen. 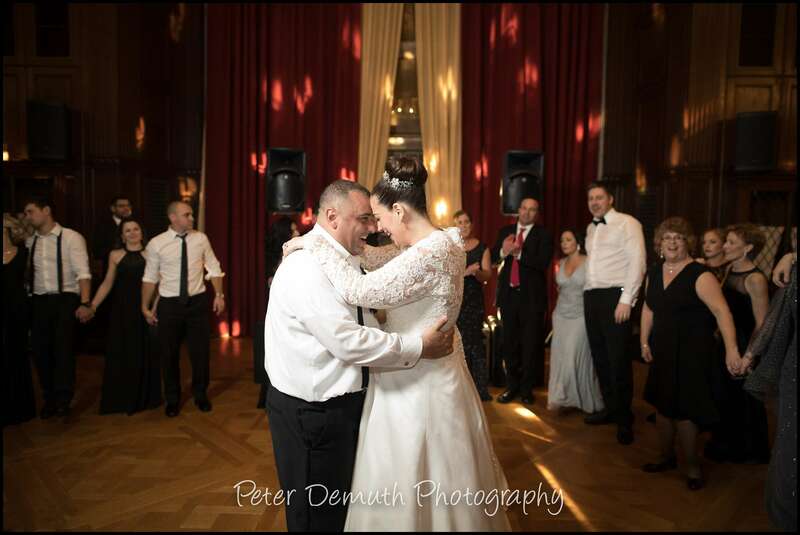 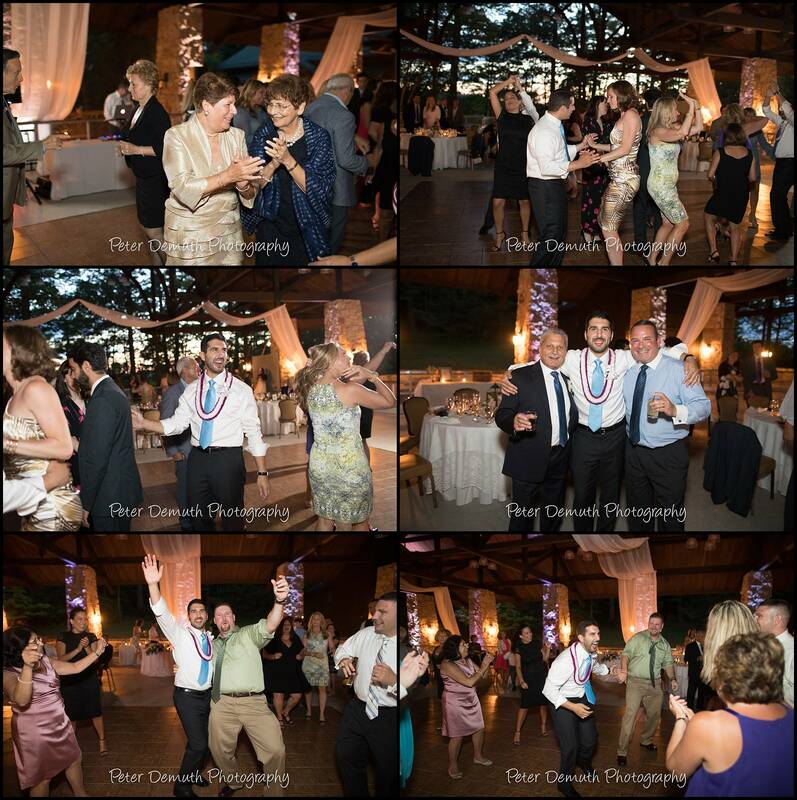 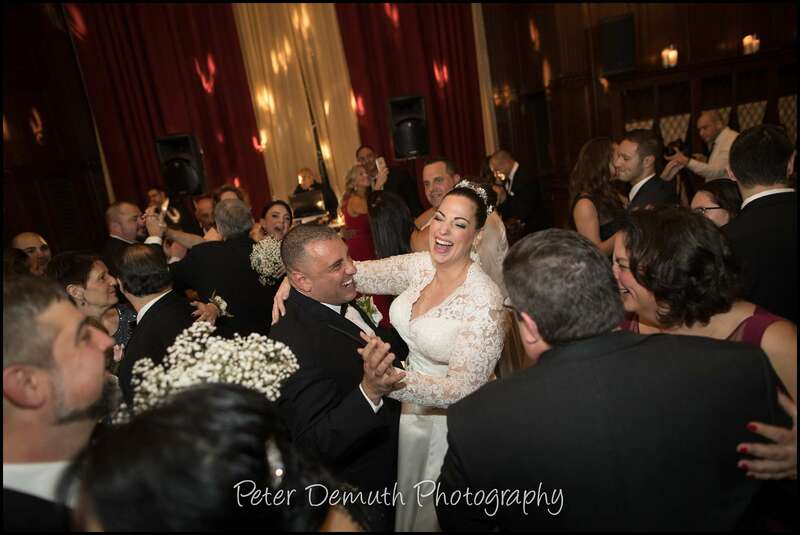 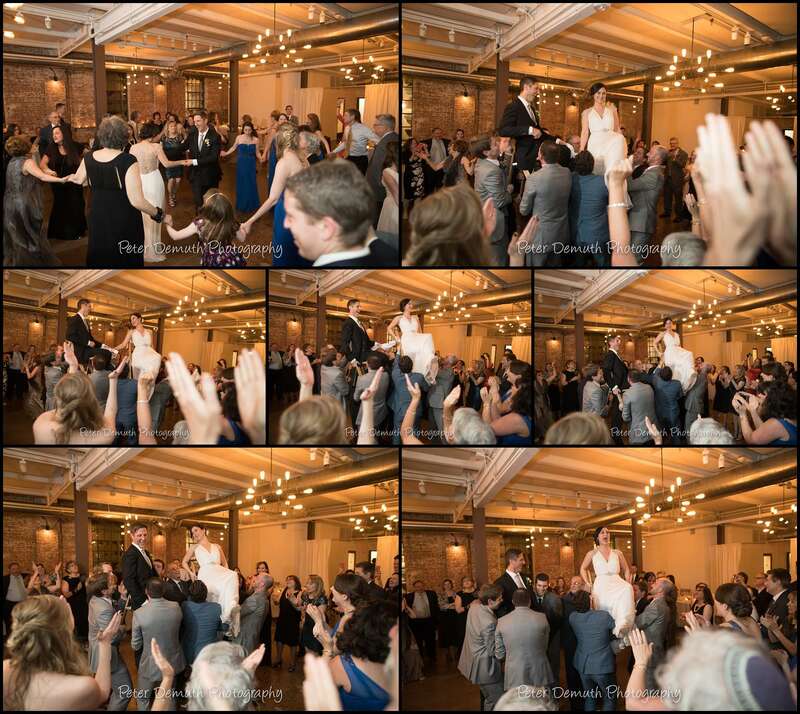 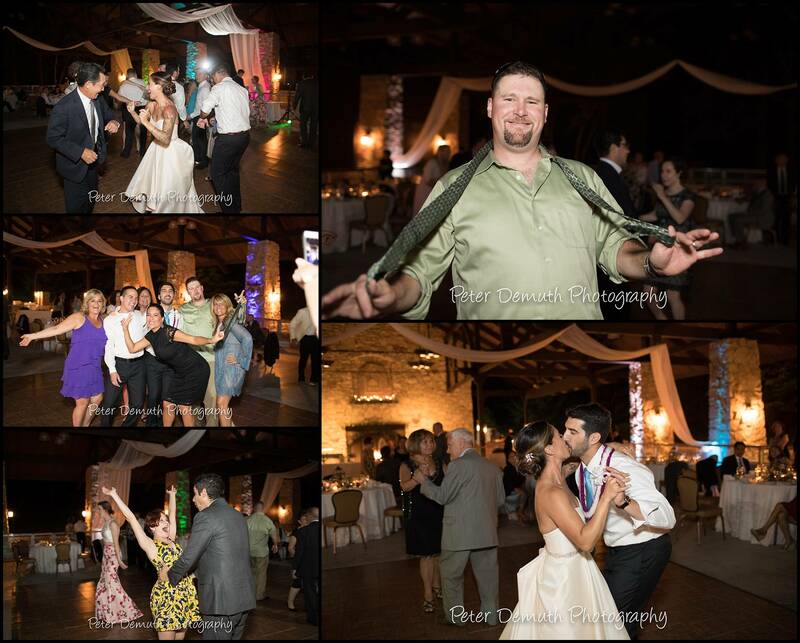 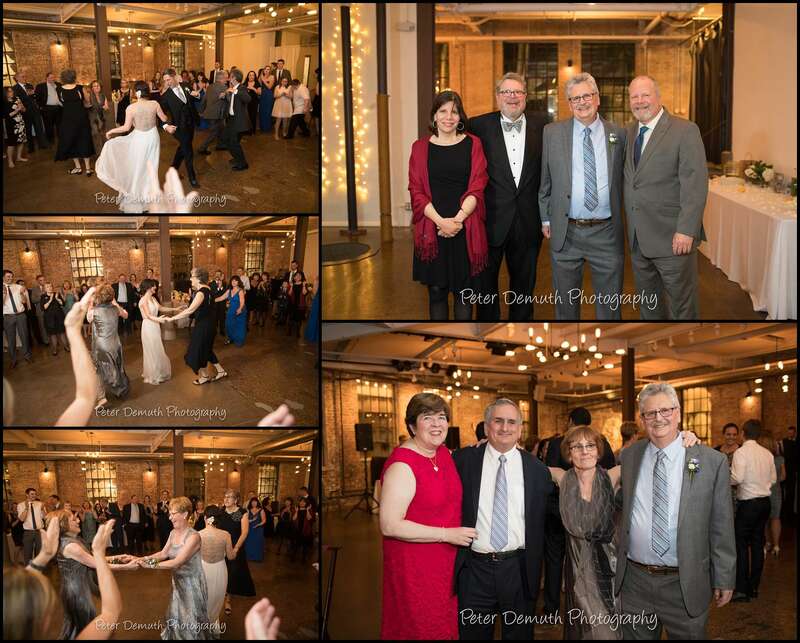 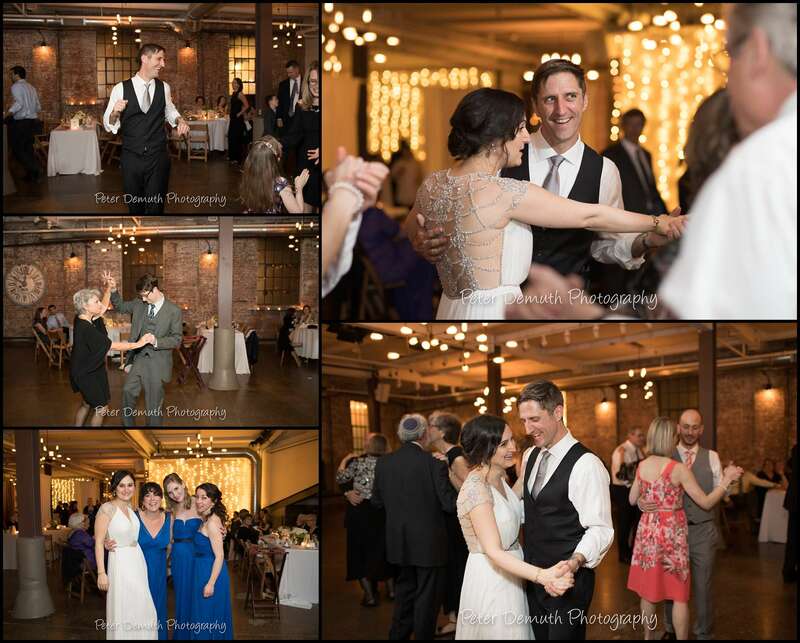 With DJ Dave Leonard of JTD Productions setting the scene with a variety of great music, Kara & Andrew celebrated the night away with their friends and family. 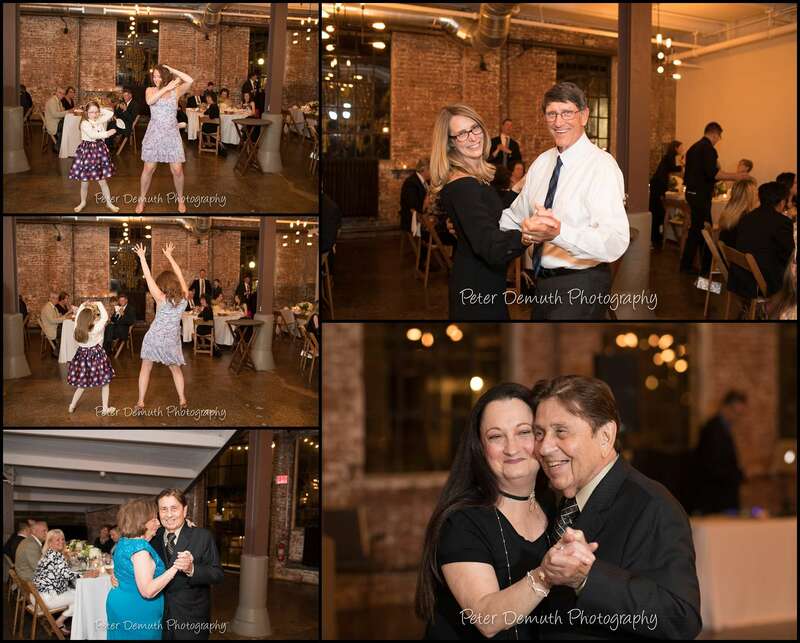 It was a fine night indeed! 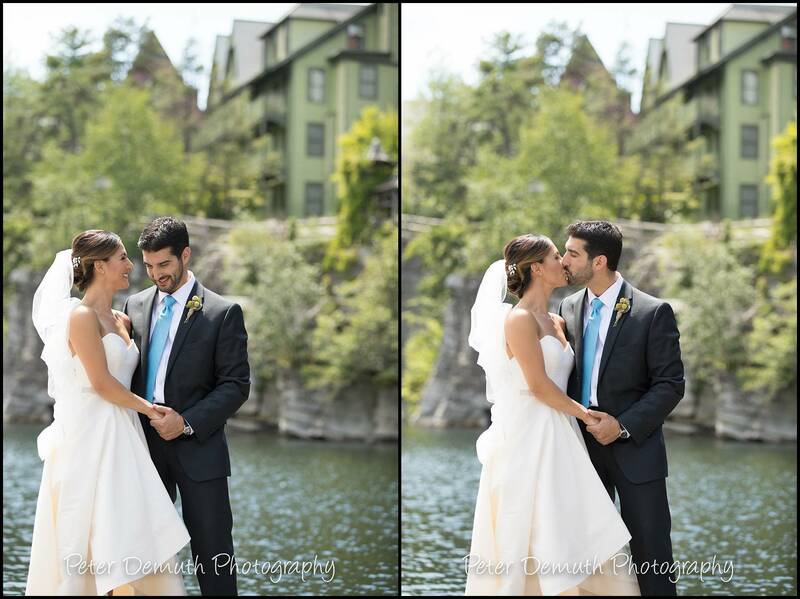 The Catskills are an amazing place to do just about anything – live, vacation, eat, swim, hike, ski, drink, get married…to name a few. 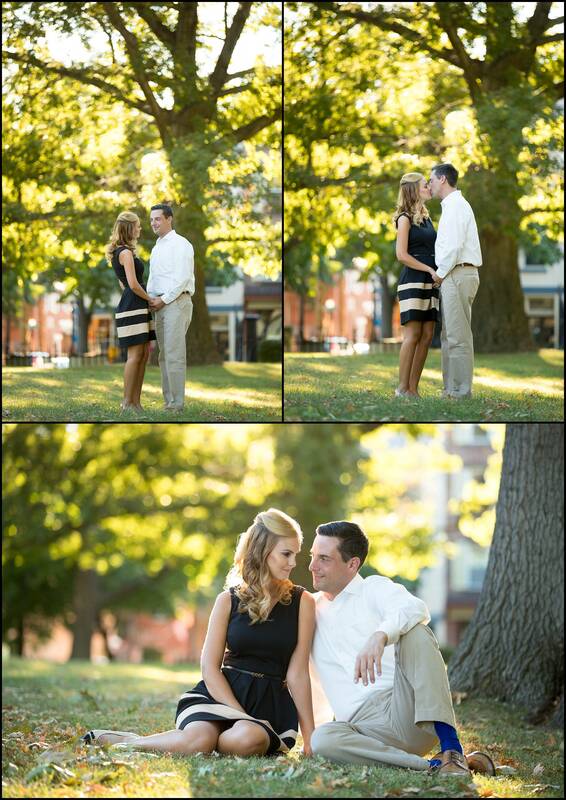 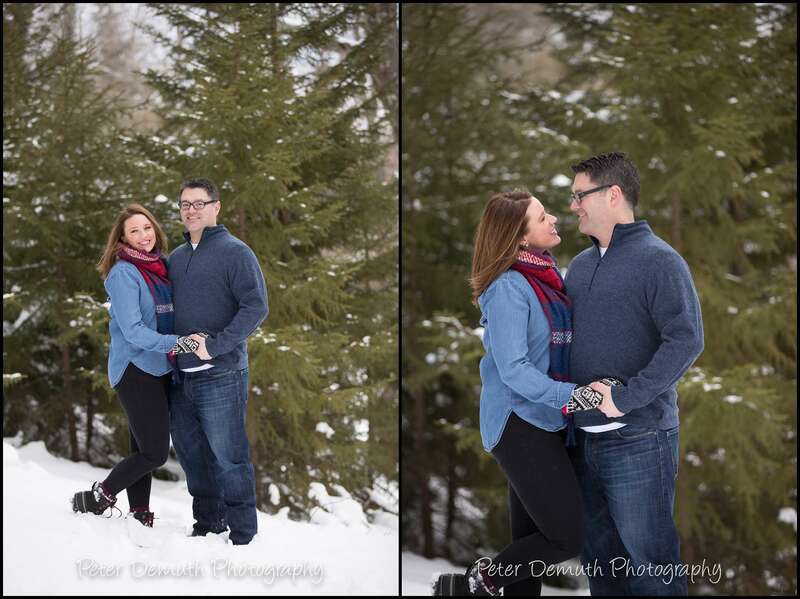 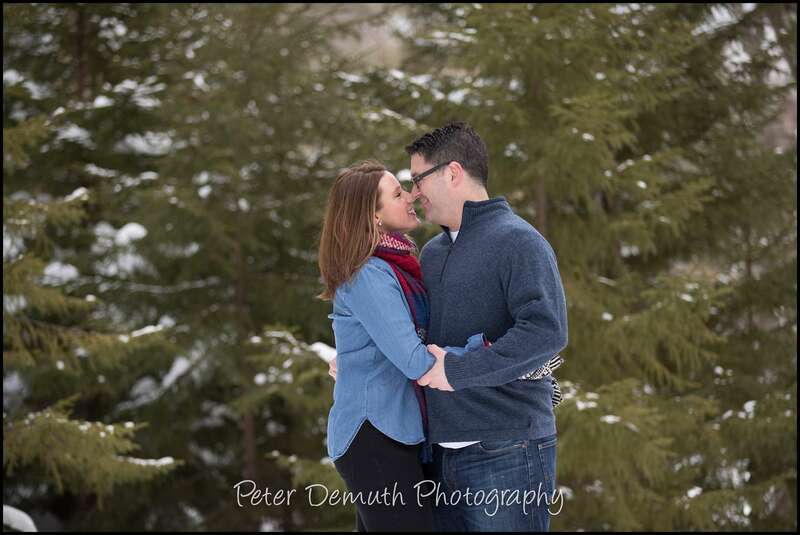 The Deer Mountain Inn was the perfect spot to meet up with Kristy and Sean for their winter engagement session. 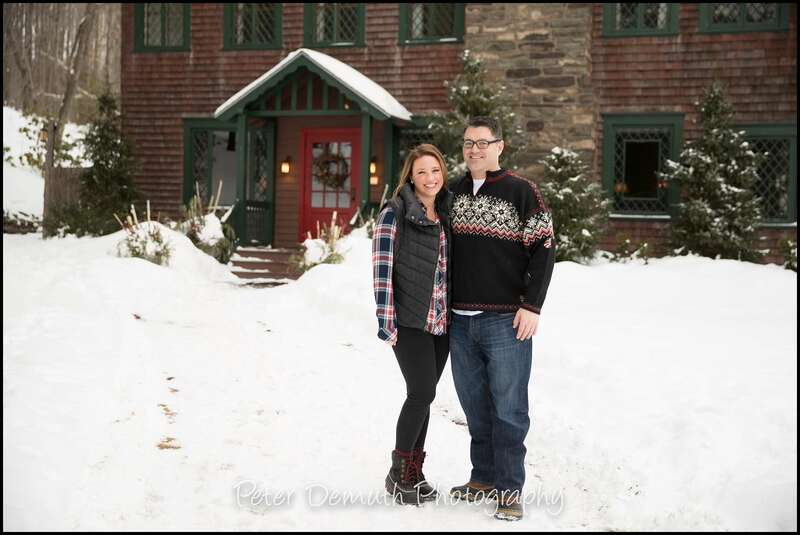 This beautiful and intimate inn located in Tannersville, NY has all the charm of a cozy historic lodge both inside and out. 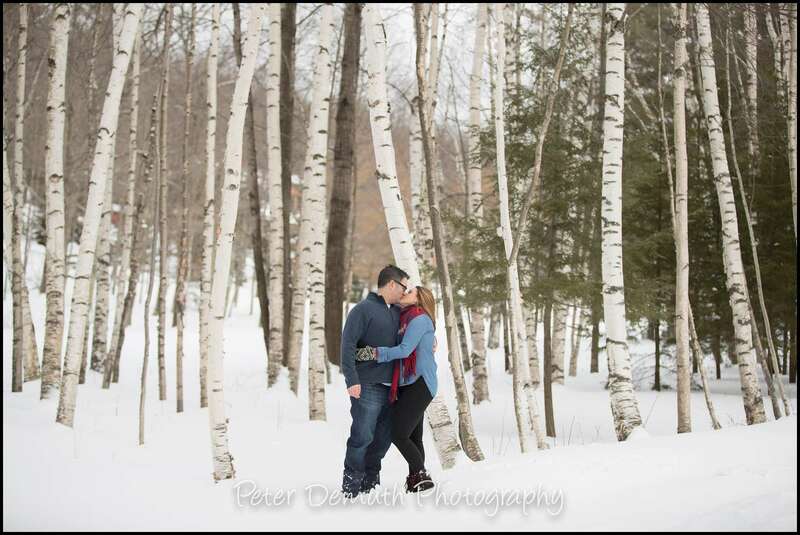 Despite the cold temperature, we trekked the property, getting photos in the snow and gorgeous forest setting. 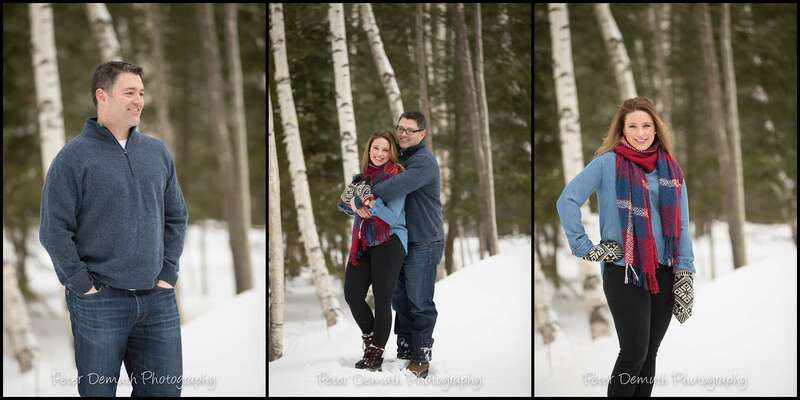 Kristy and Sean came prepared with boots and blankets and we were able to spend some great time together making photos. 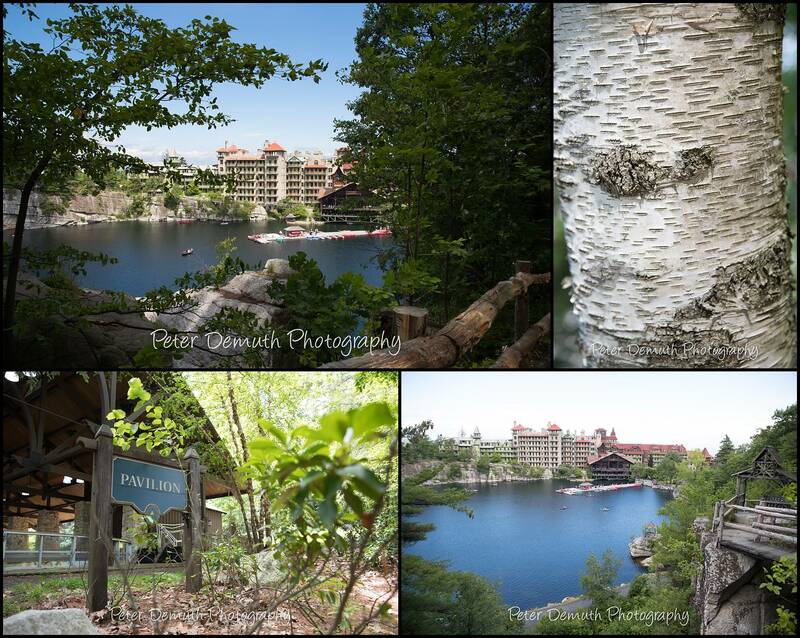 Both outdoor enthusiasts and skiers, it was a fitting place to get together. 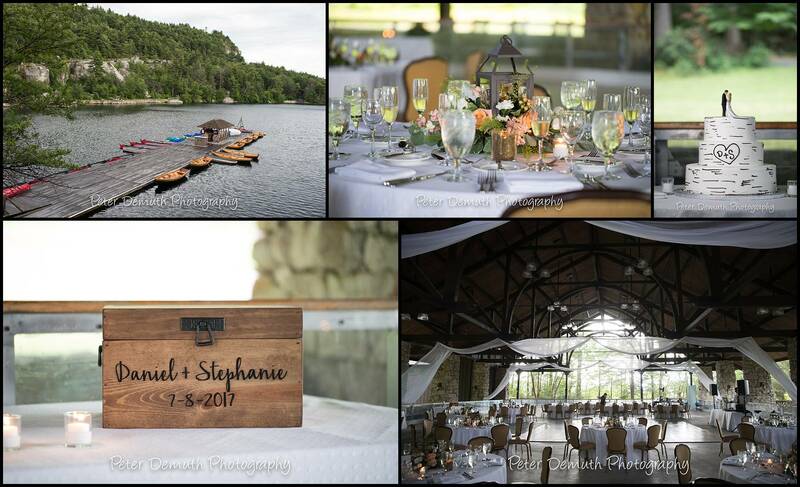 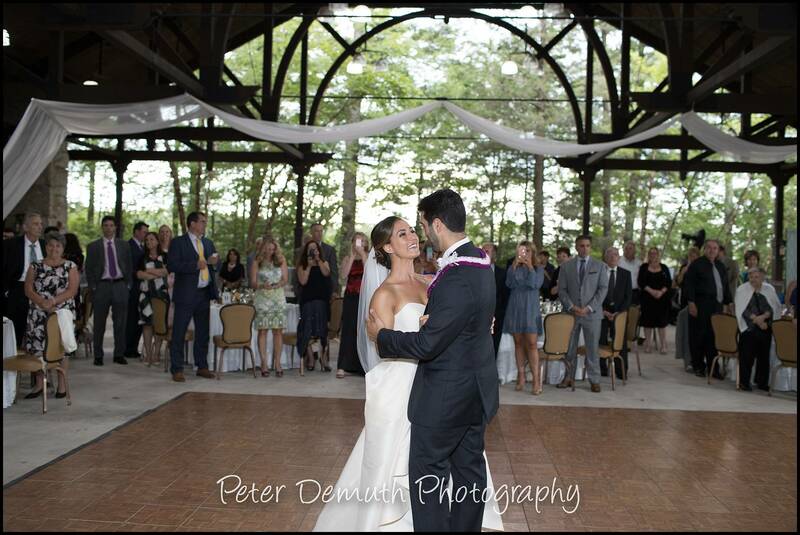 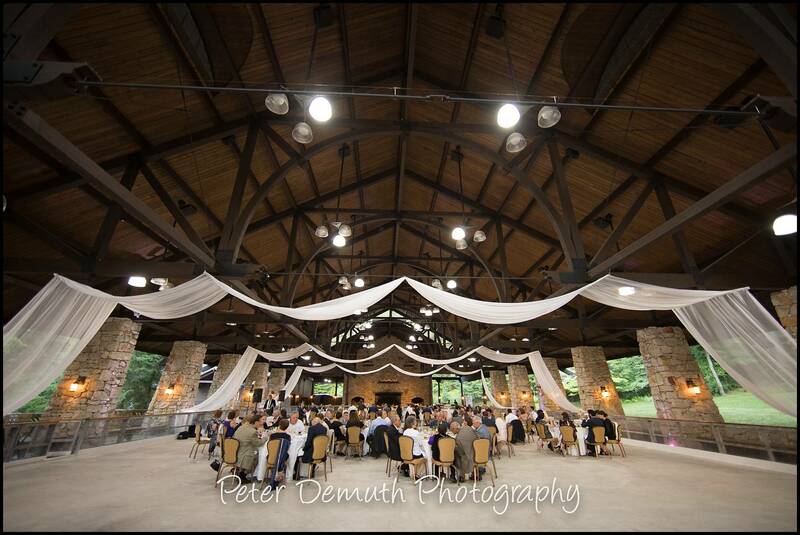 Even more fitting is their summer wedding location just down the road at Hunter Mountain! 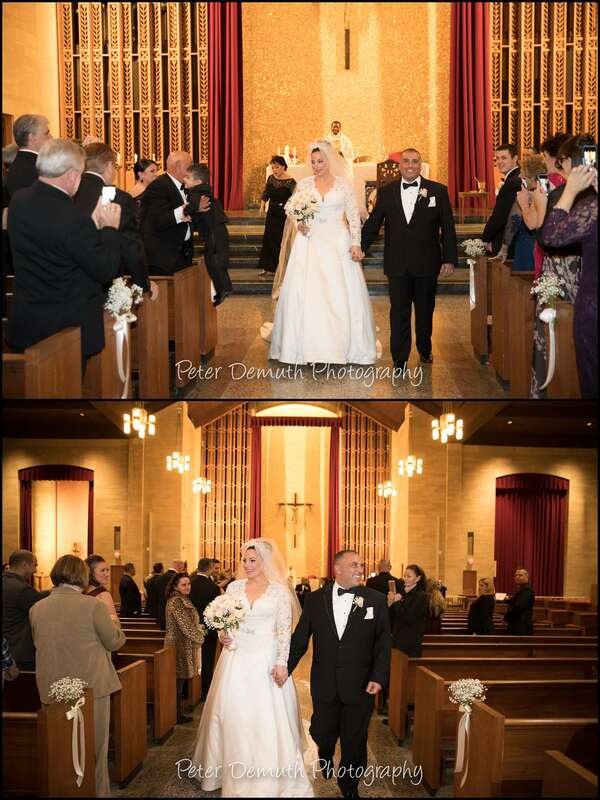 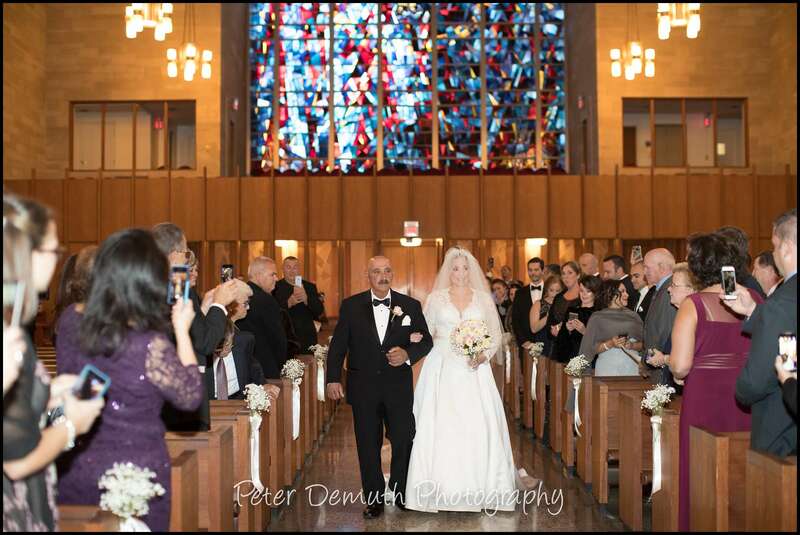 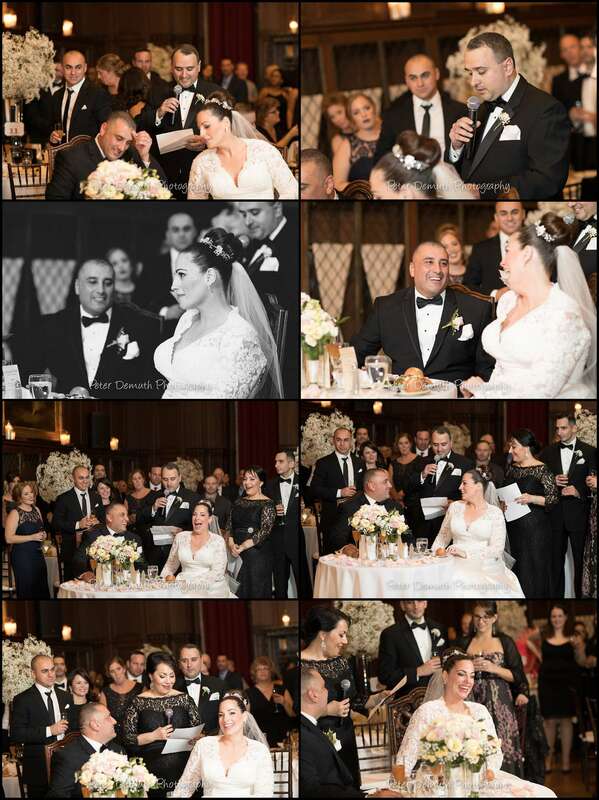 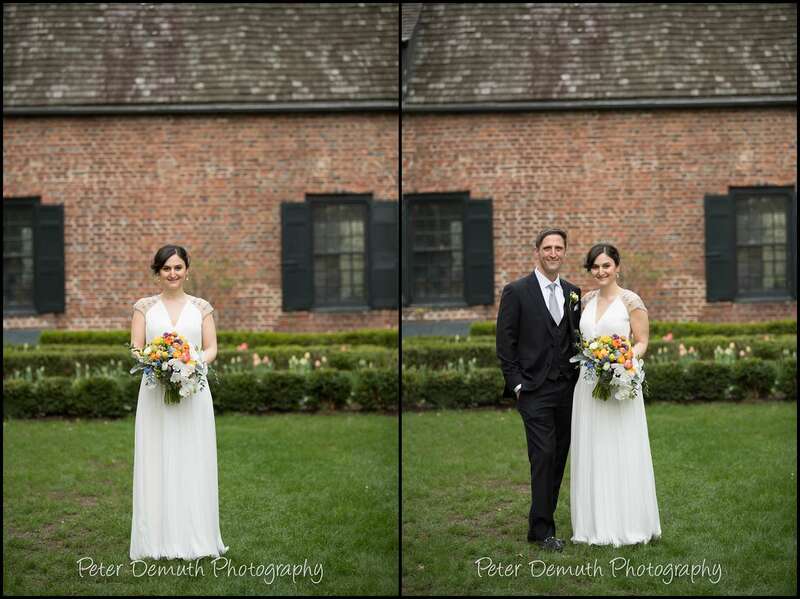 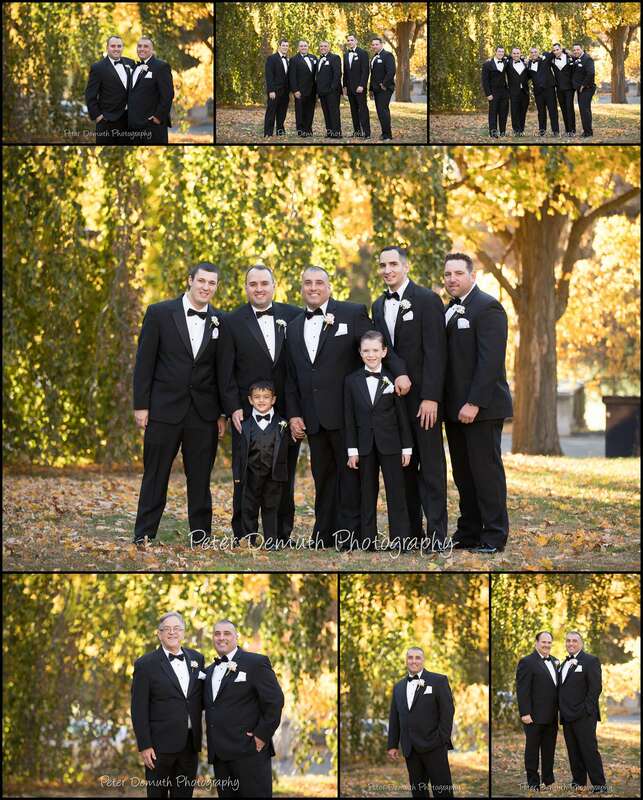 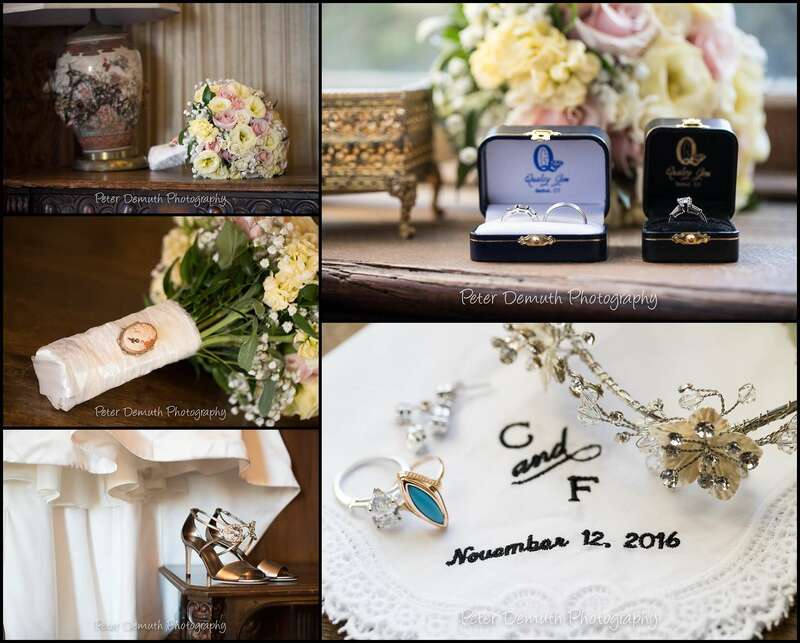 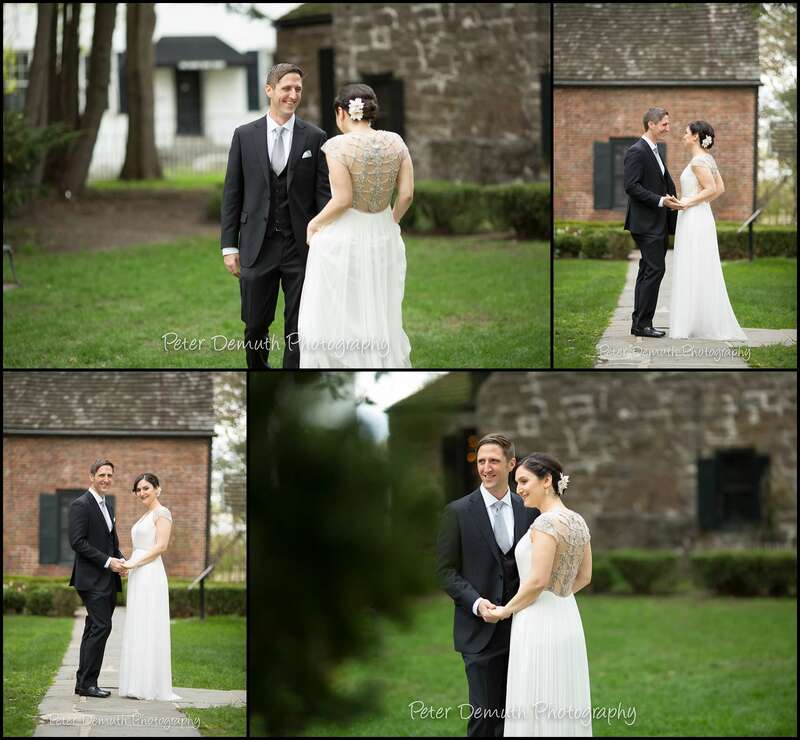 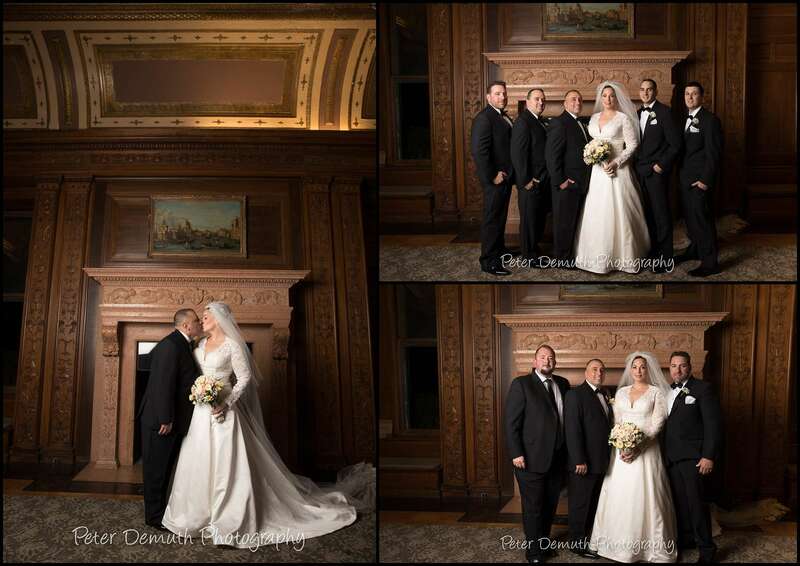 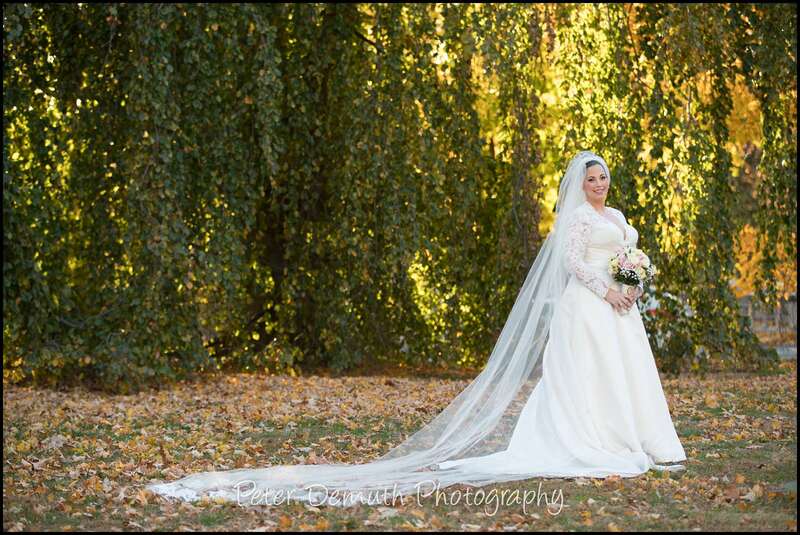 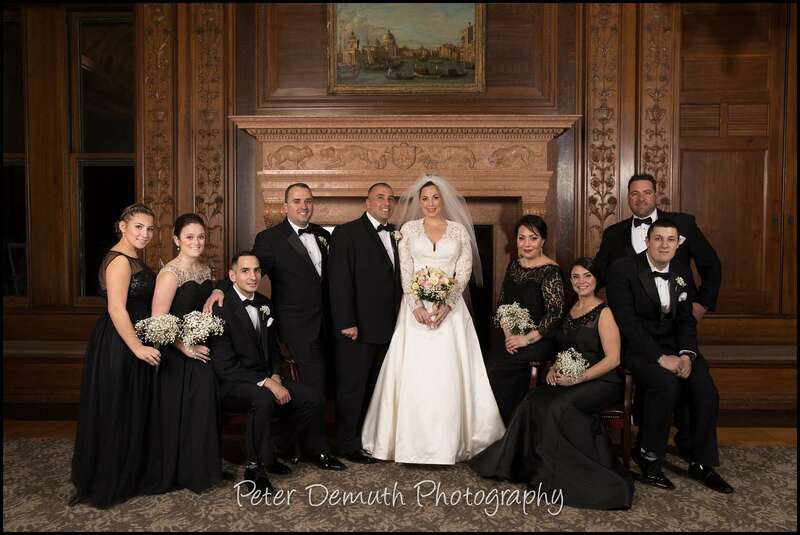 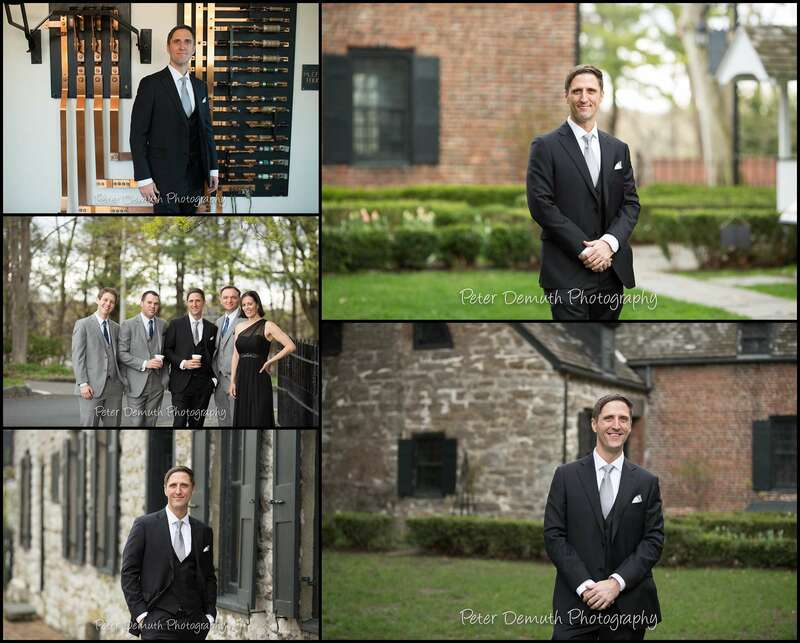 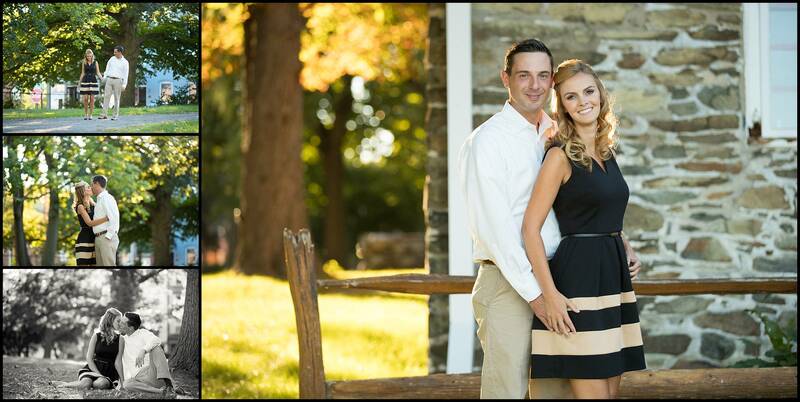 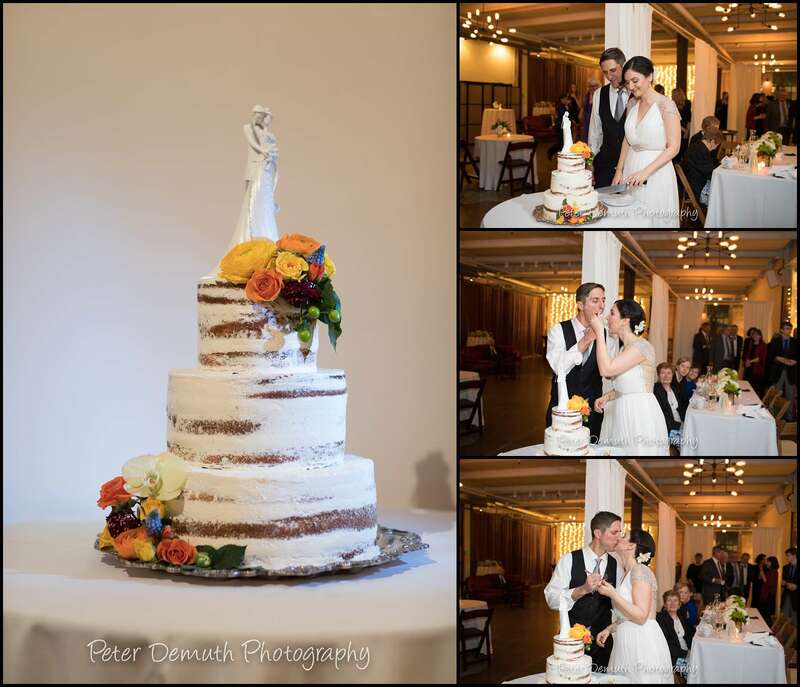 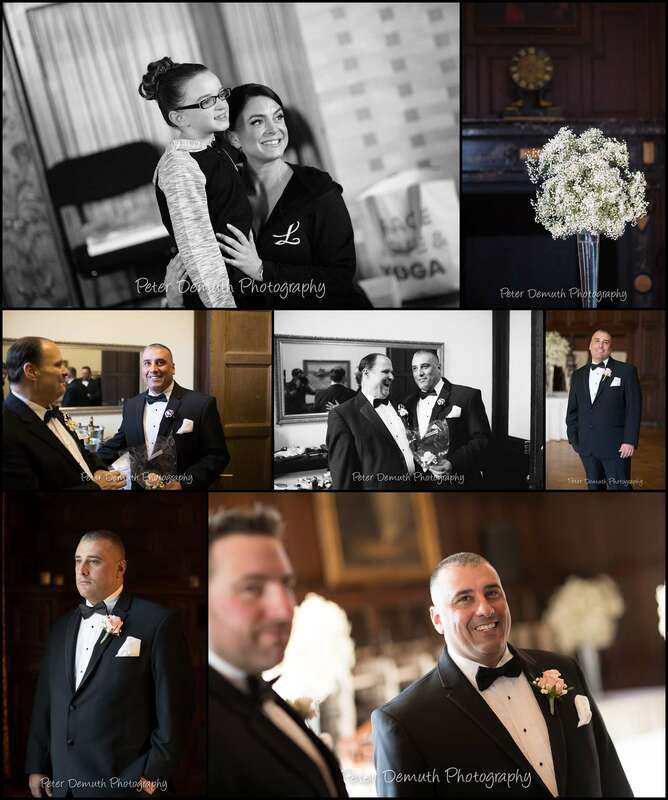 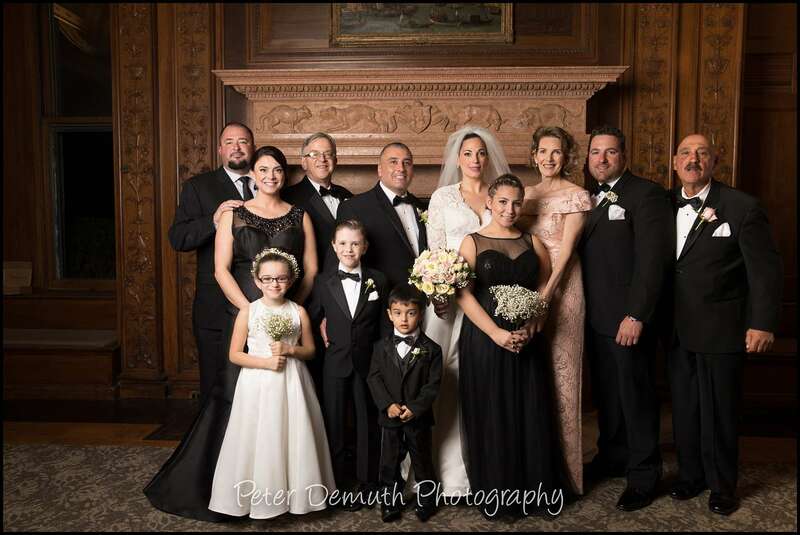 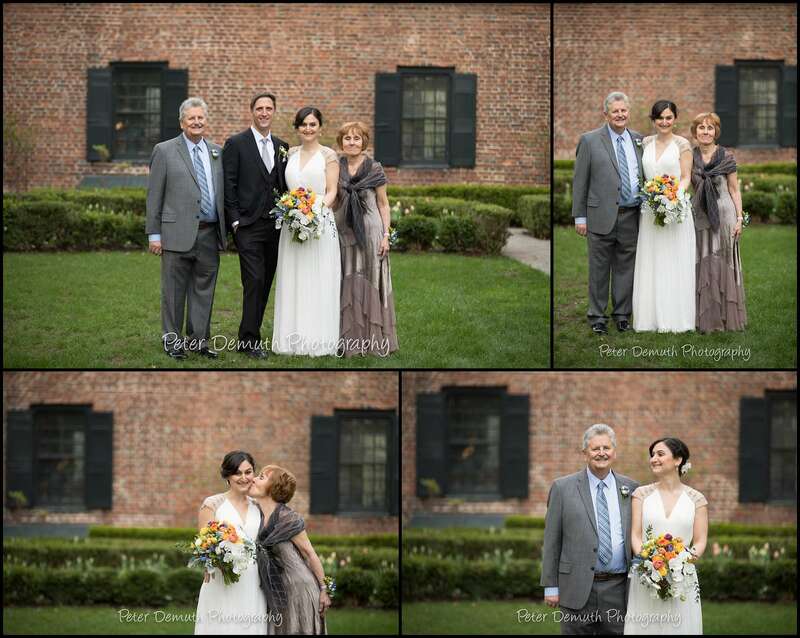 Courtney and Frank’s Reid Castle wedding took place on a beautiful late fall afternoon. 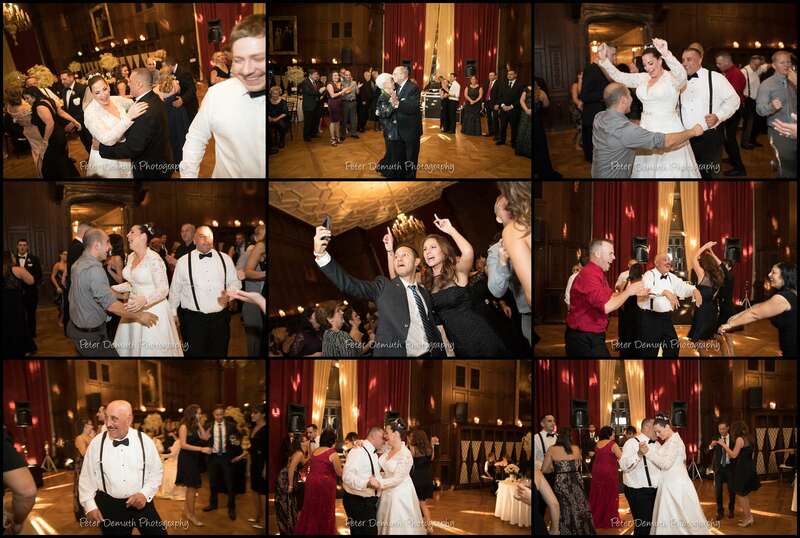 Reid Castle is an event space located on the campus of Manhattanville College in Purchase, NY. 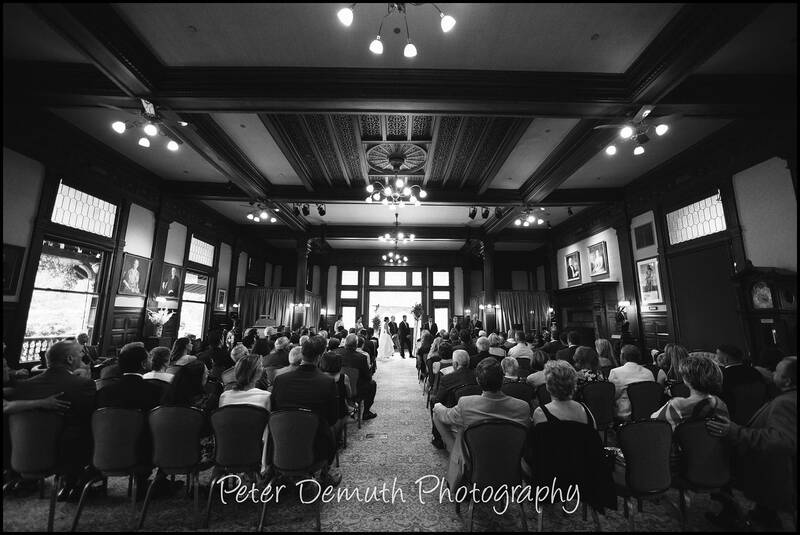 The castle is amazing inside, complete with beautiful dark wood walls, spacious high-ceilinged rooms and elegant details everywhere. 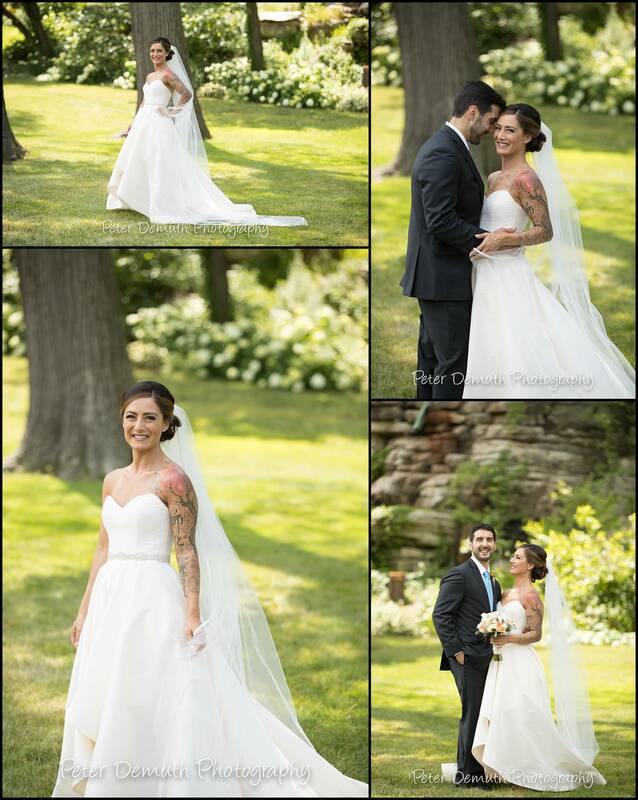 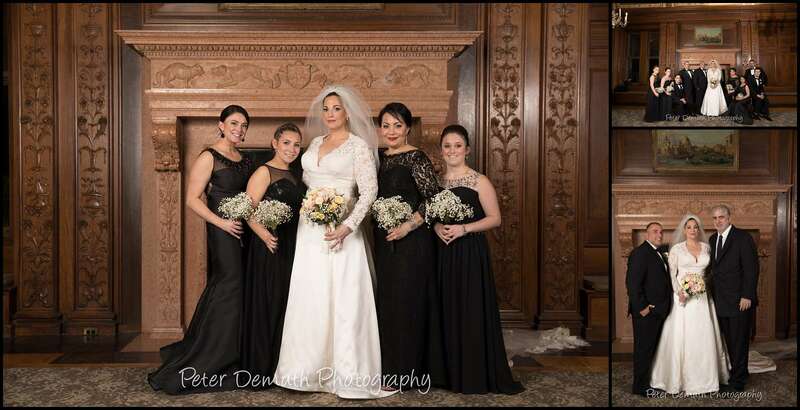 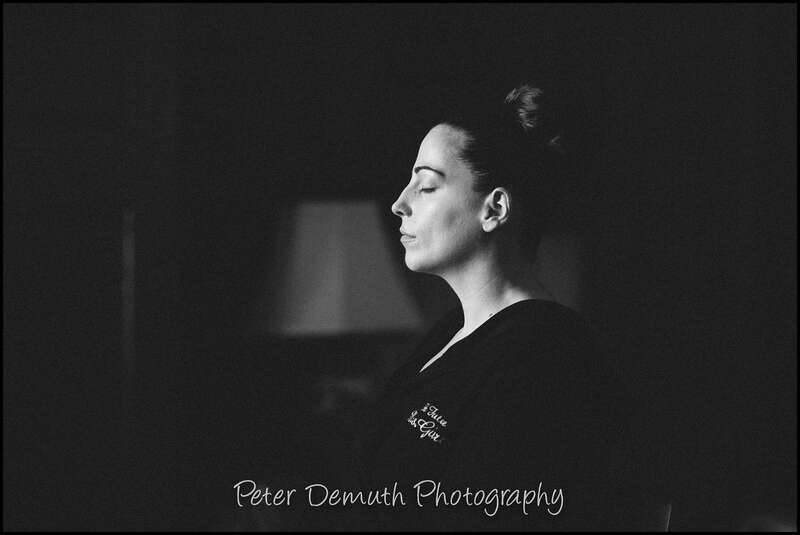 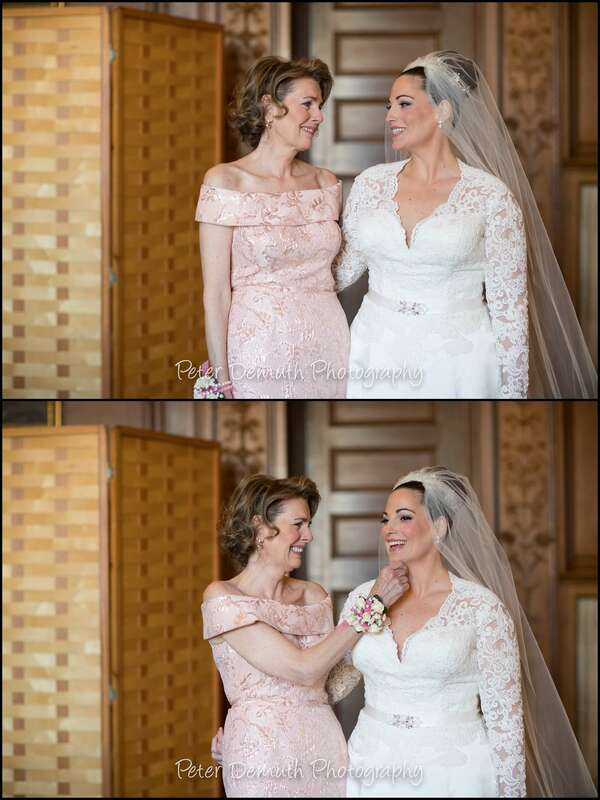 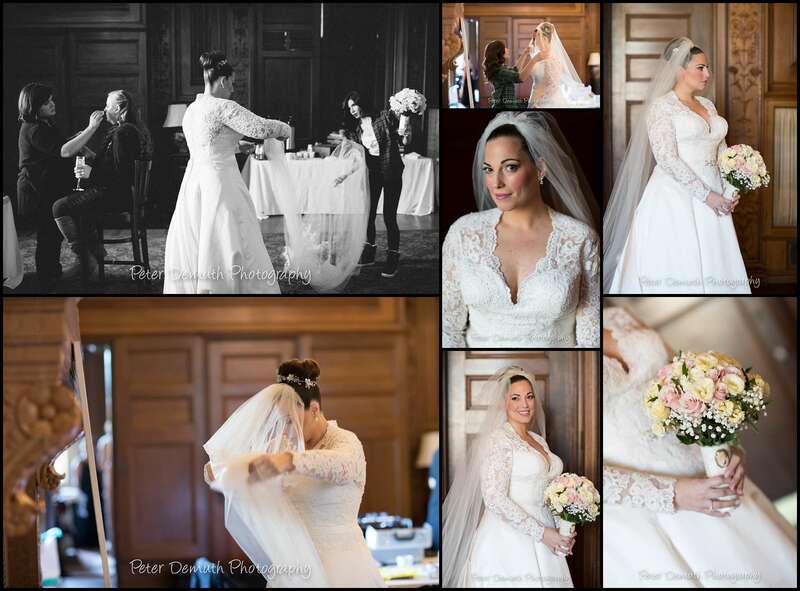 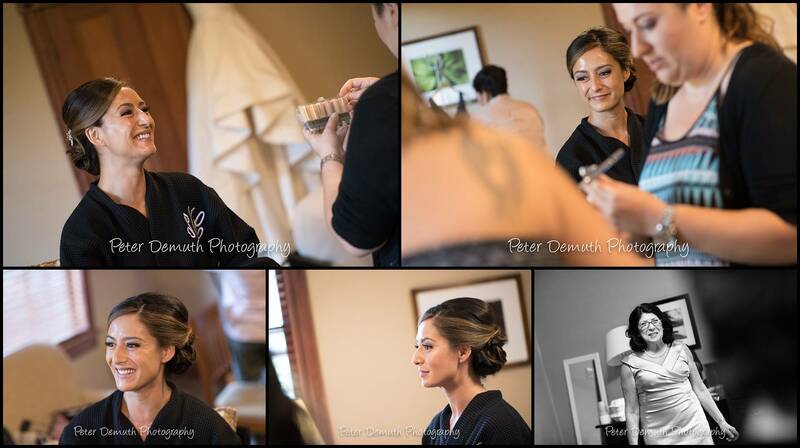 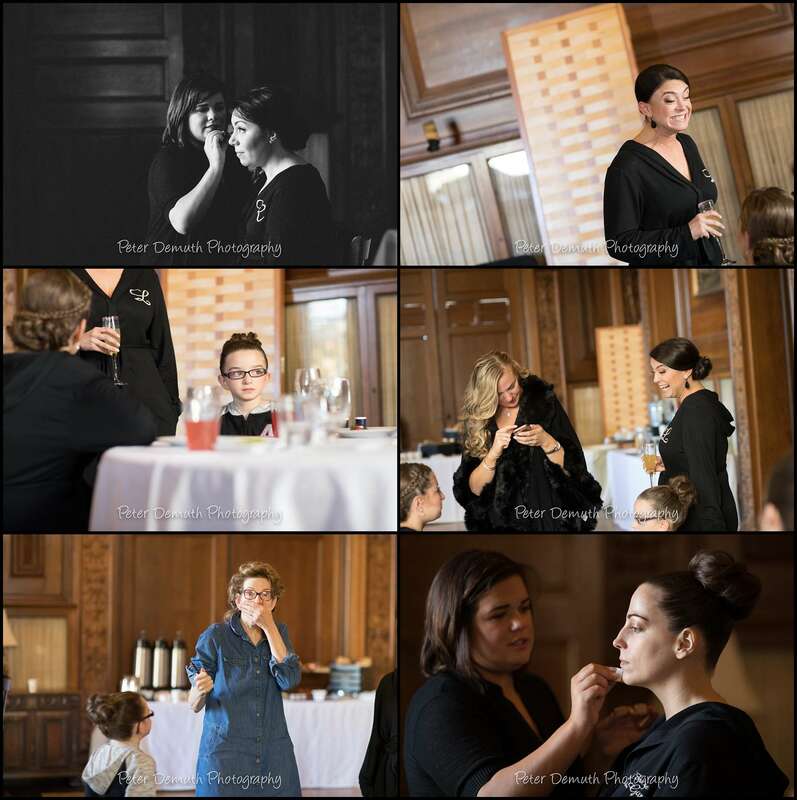 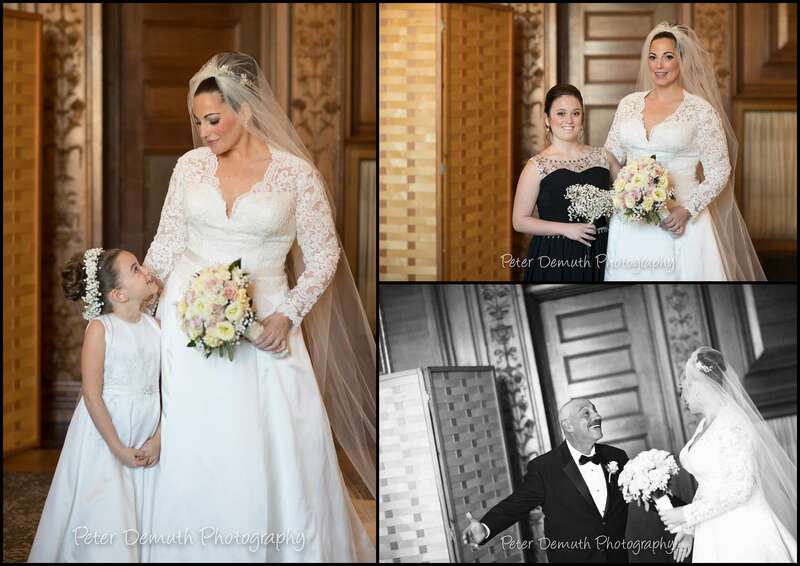 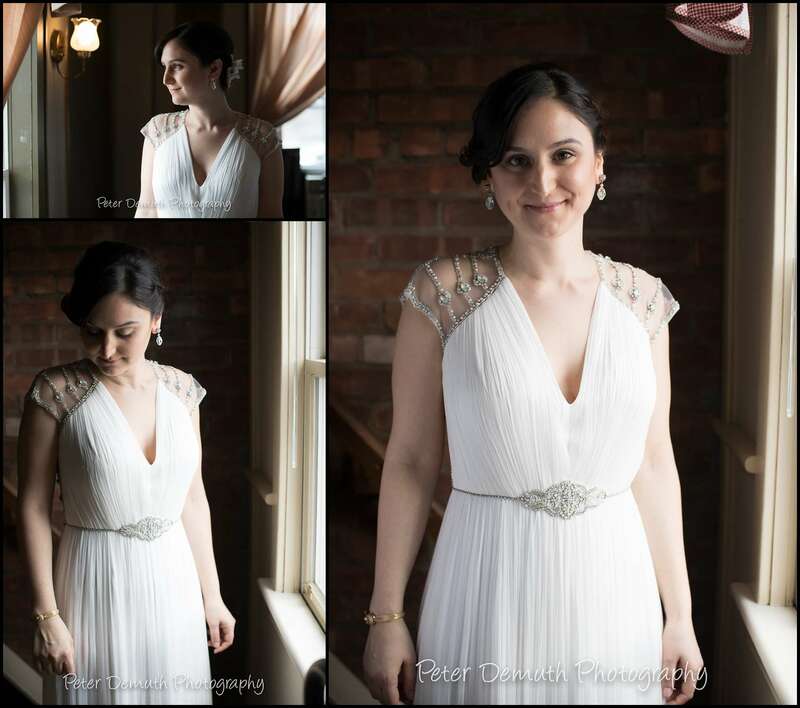 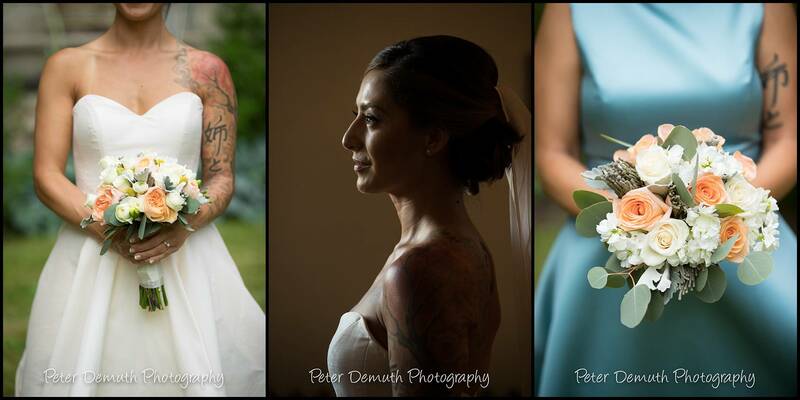 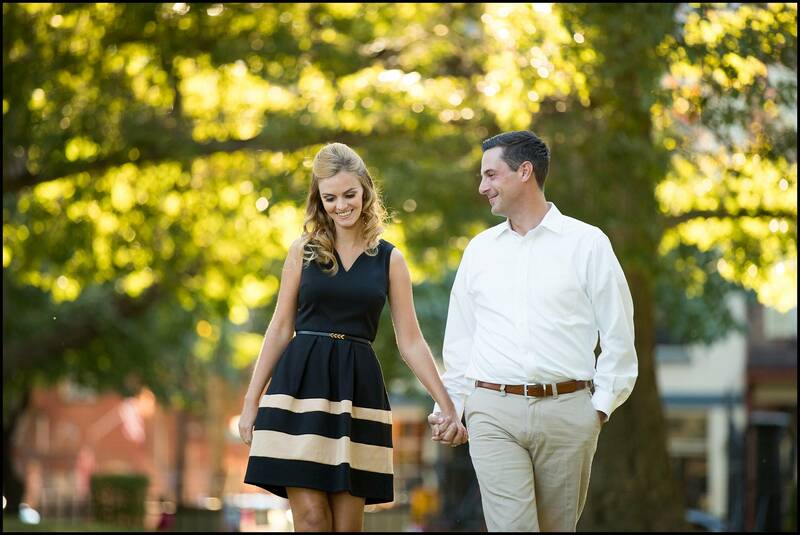 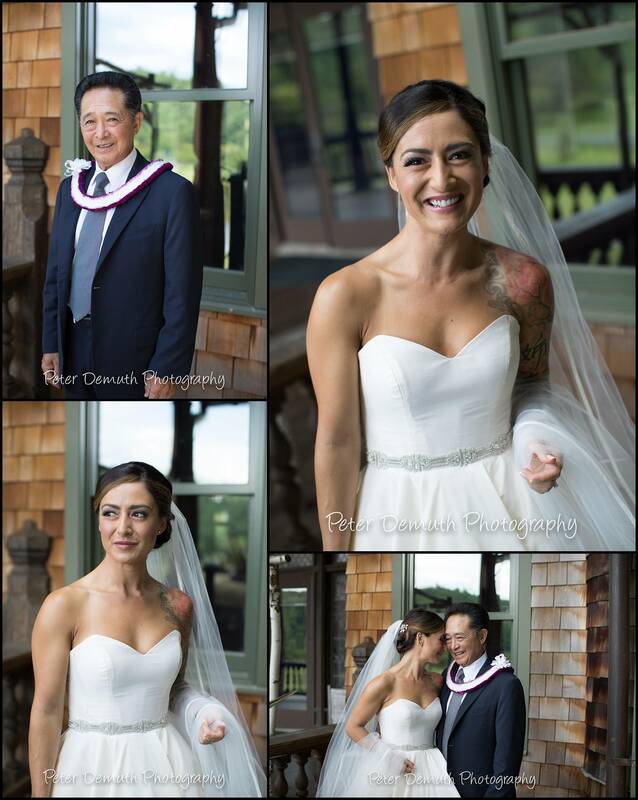 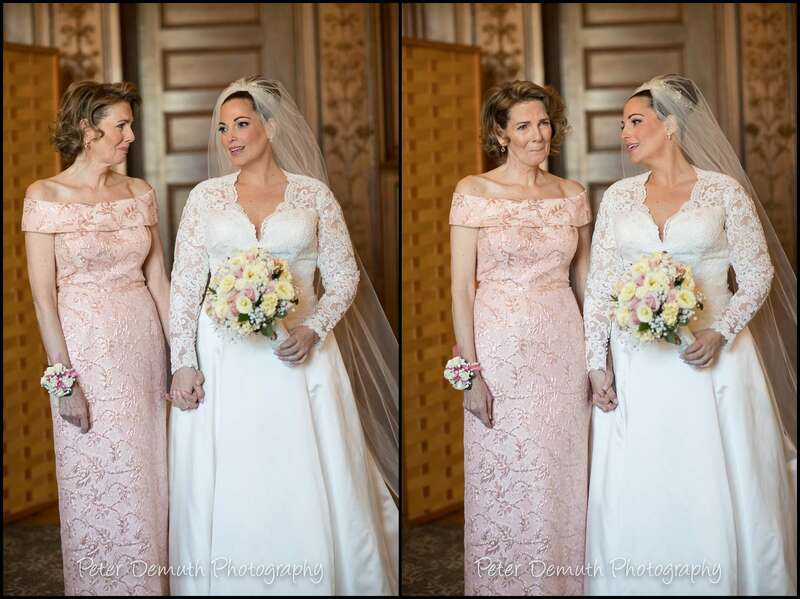 Courtney is a talented makeup and hair stylist and often works with brides at weddings. 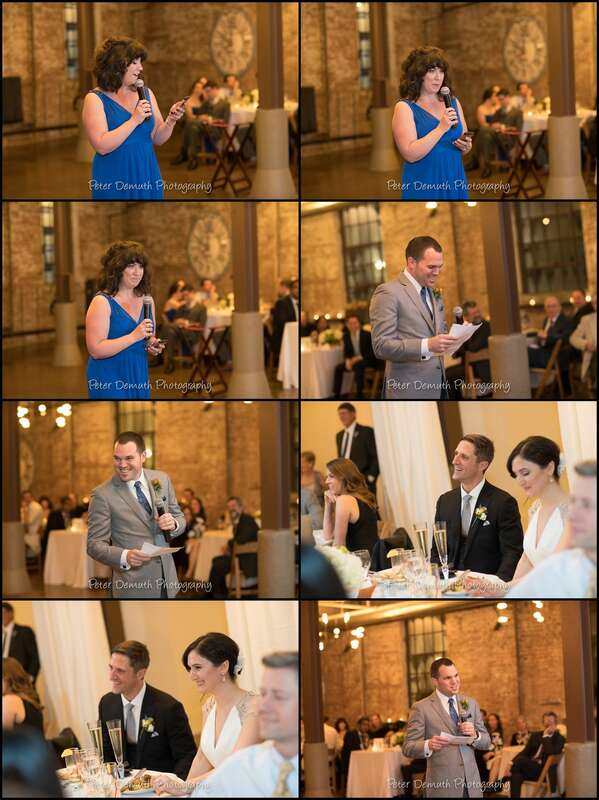 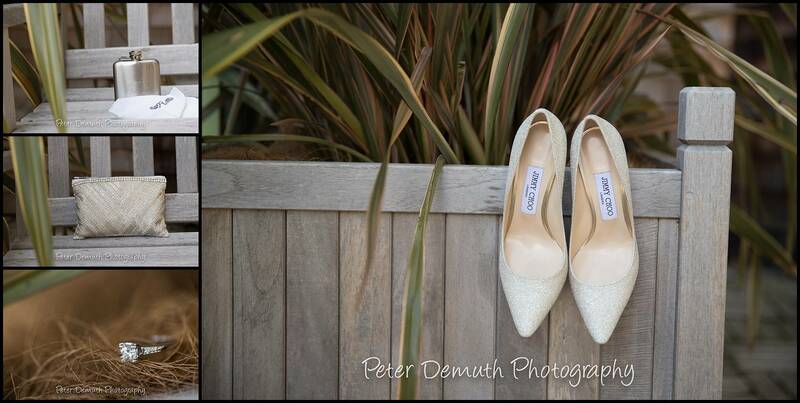 I find it’s a real compliment to be hired by someone else who works in the wedding industry! 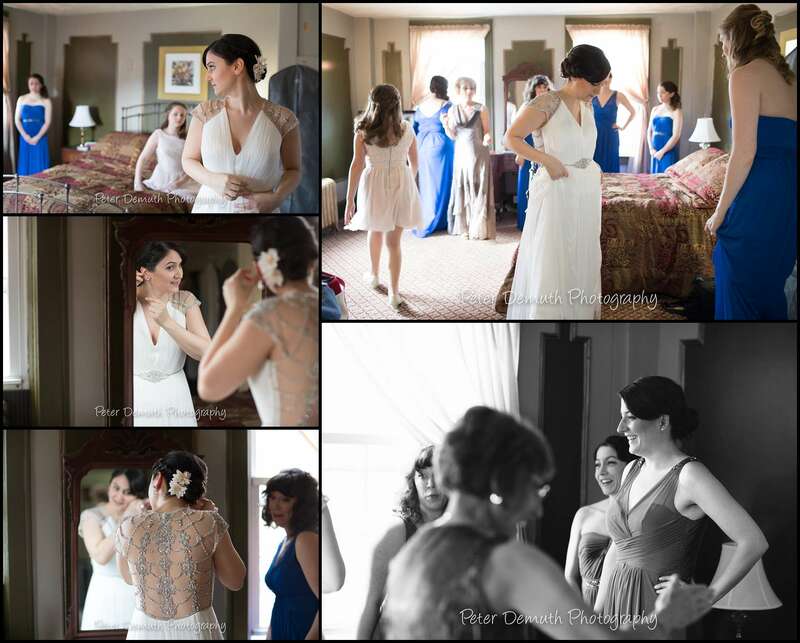 I spent some time with the ladies as they prepped down the hall from the guys. 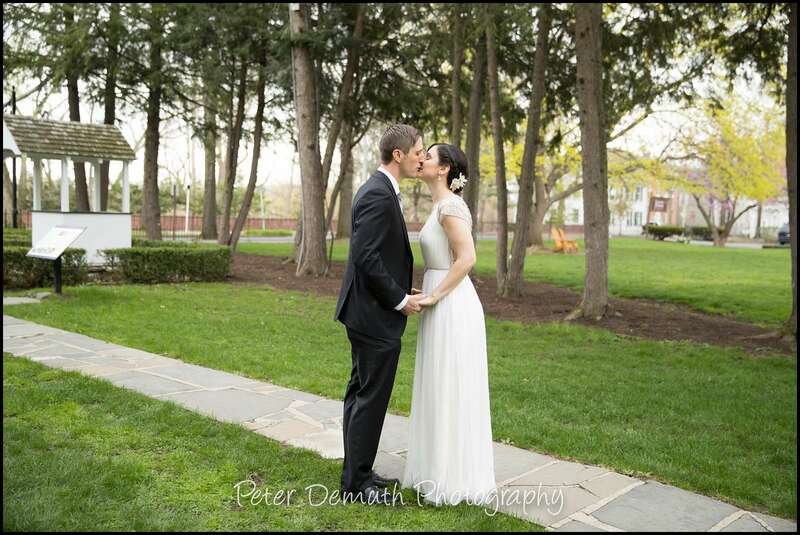 Before heading to the ceremony at the adjoining O’Byrne Chapel, I was able to utilize the late afternoon light and get some photos outside on the castle grounds. 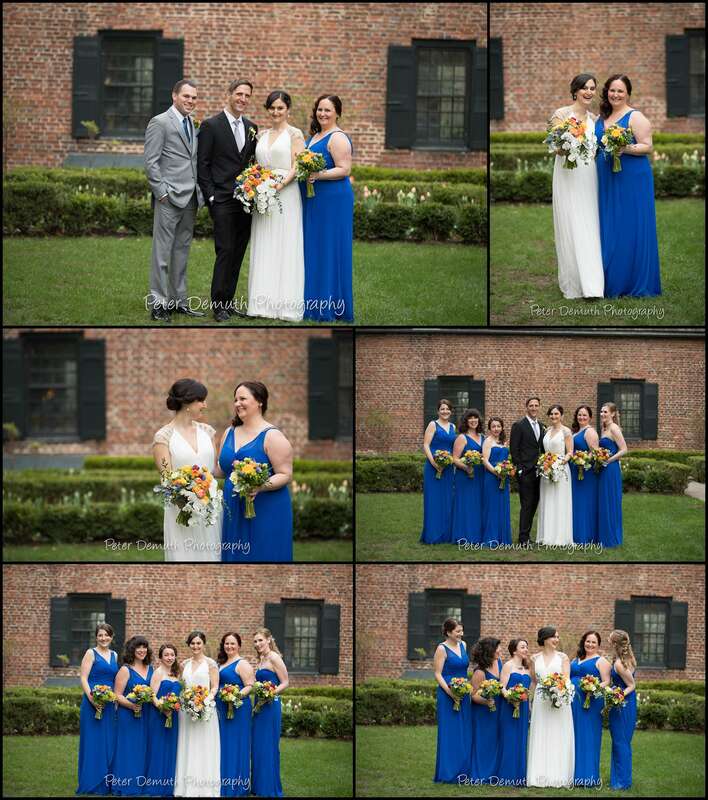 As they wished not to see each other before the ceremony, I coordinated separate time outdoors with Courtney and her bridesmaids and then later, Frank with the guys. 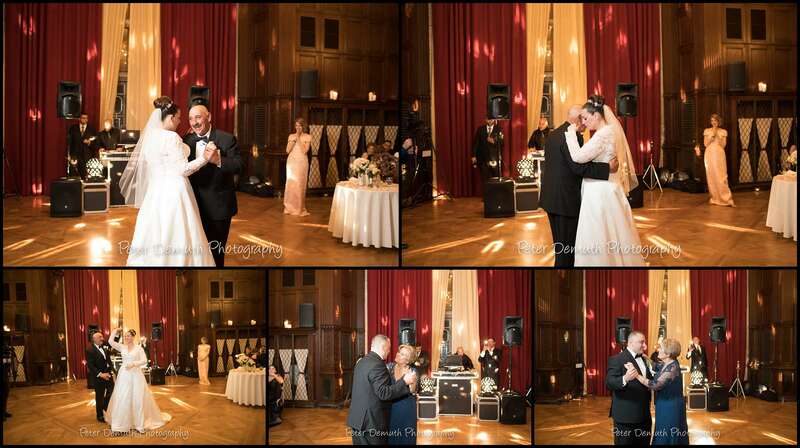 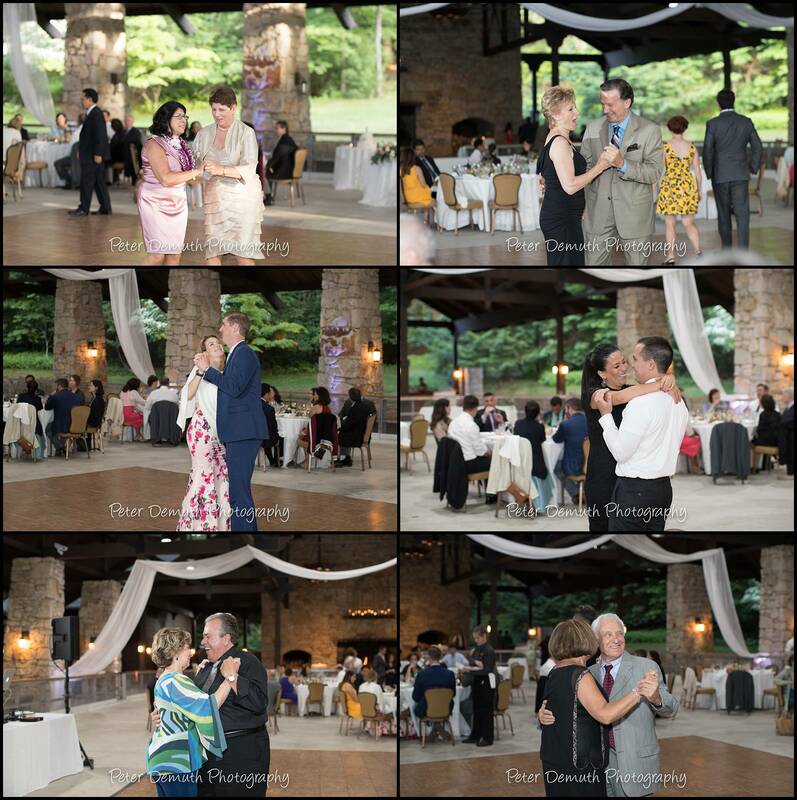 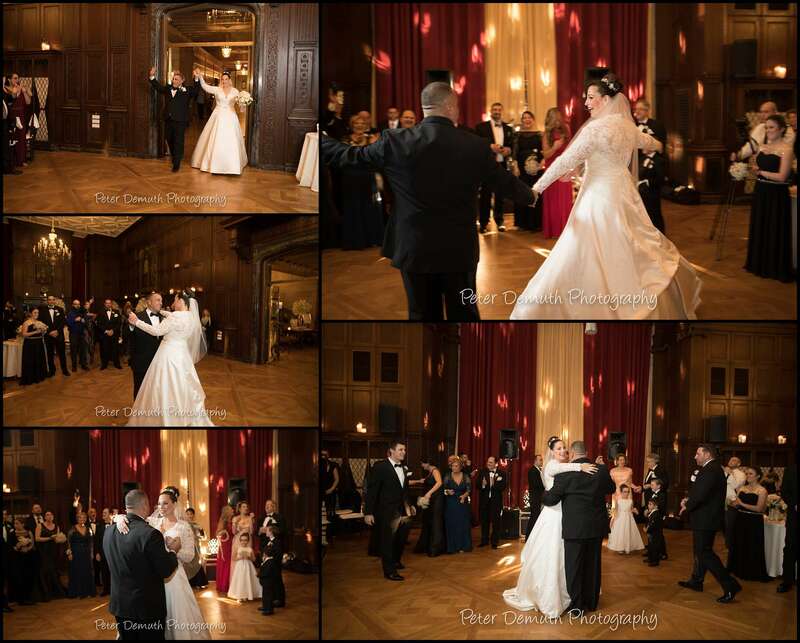 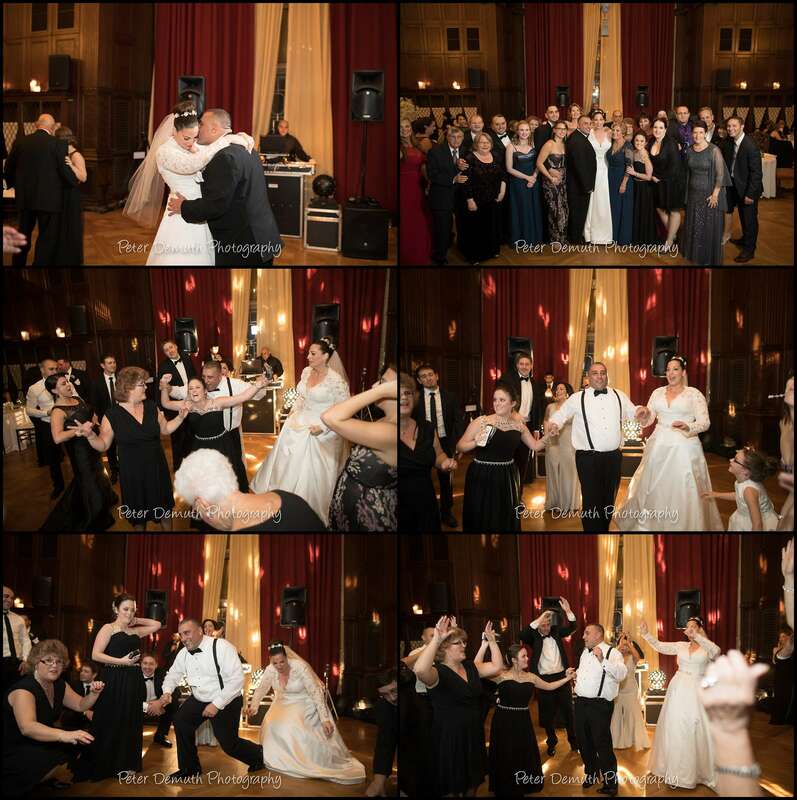 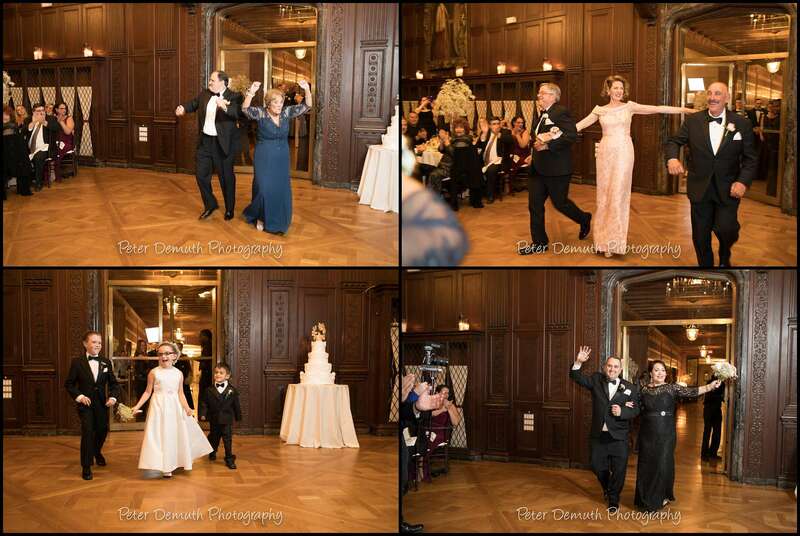 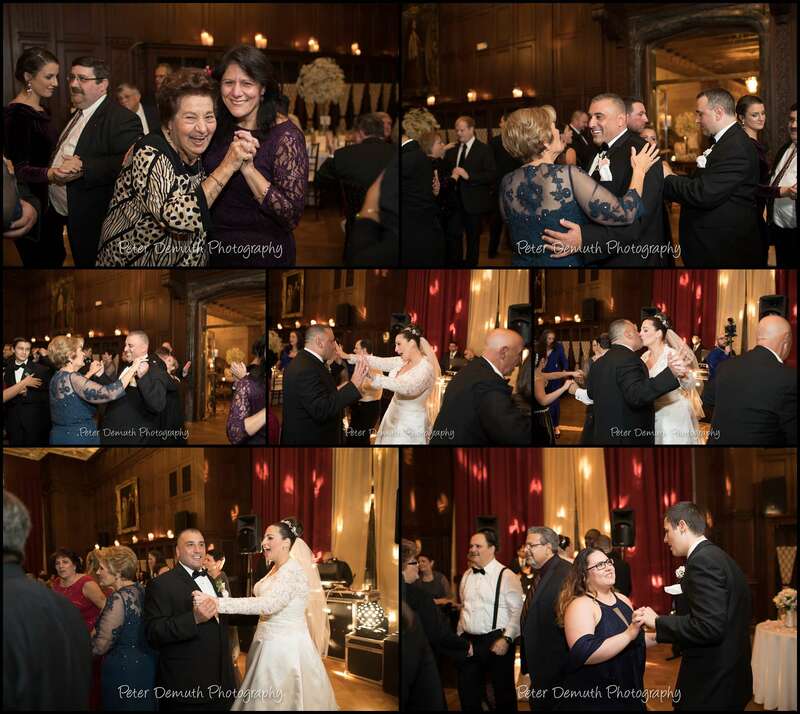 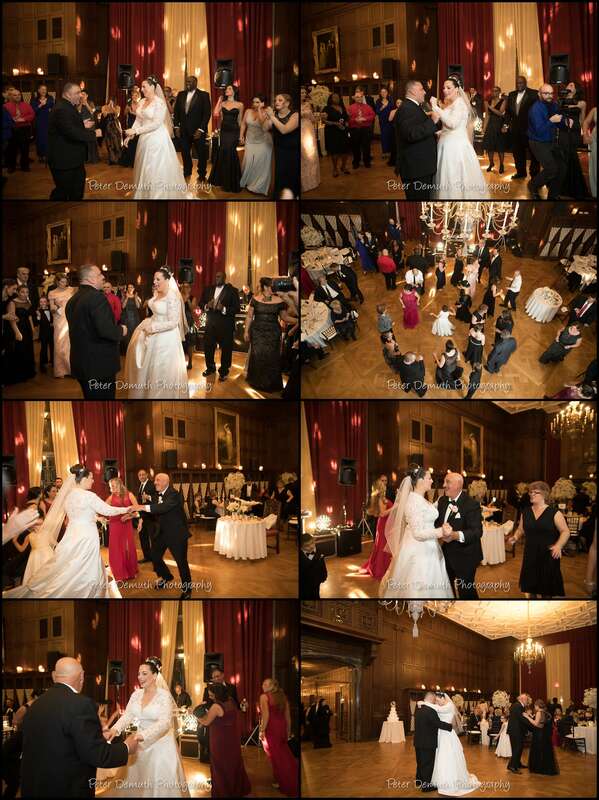 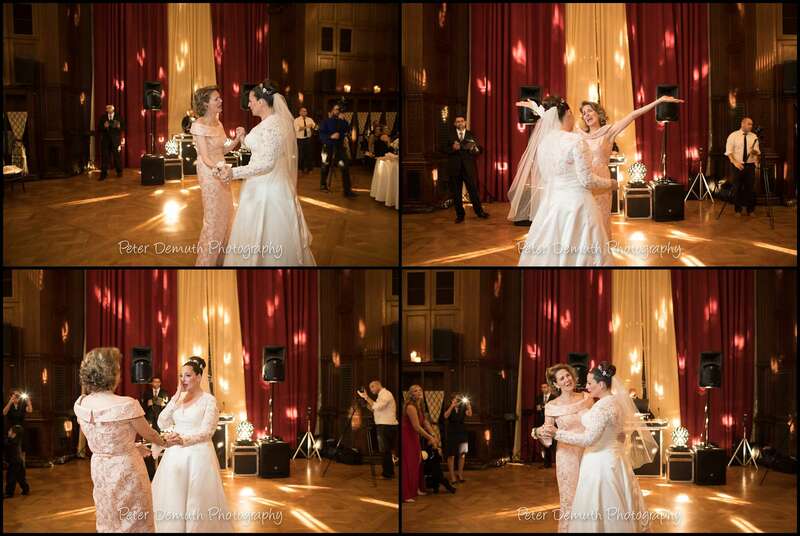 The black tie reception was held in an elegant ballroom with lots of room for dancing. 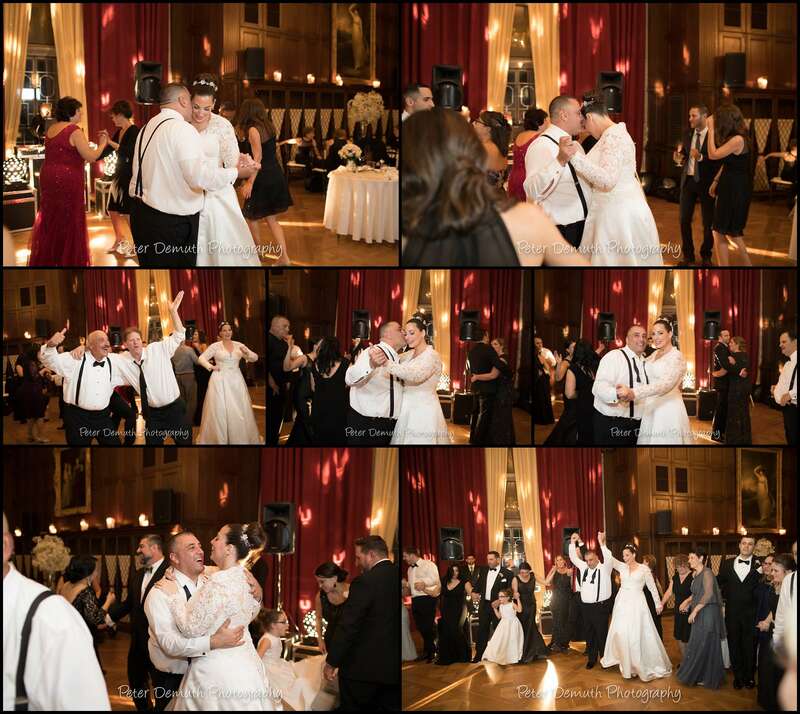 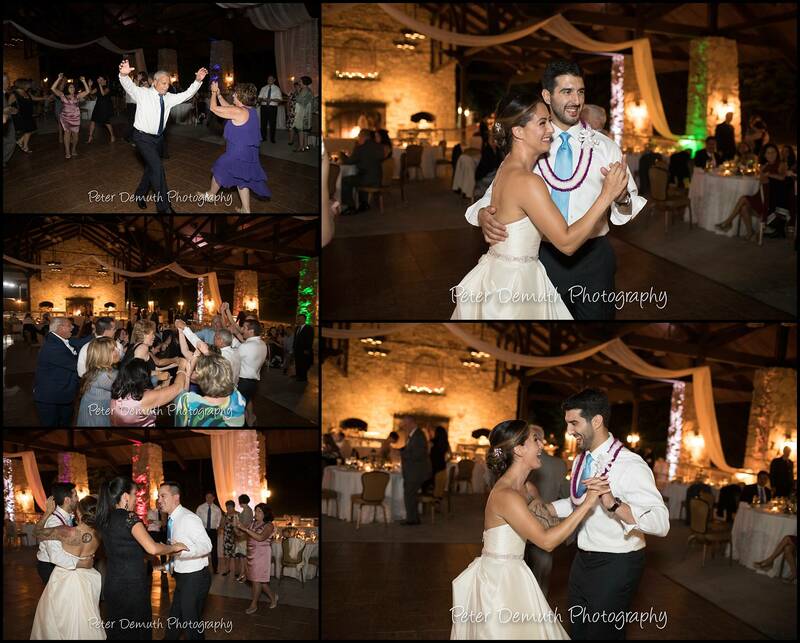 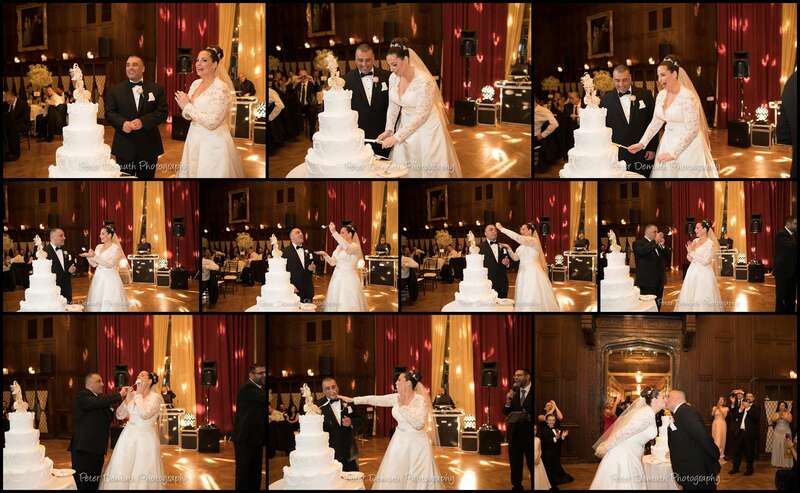 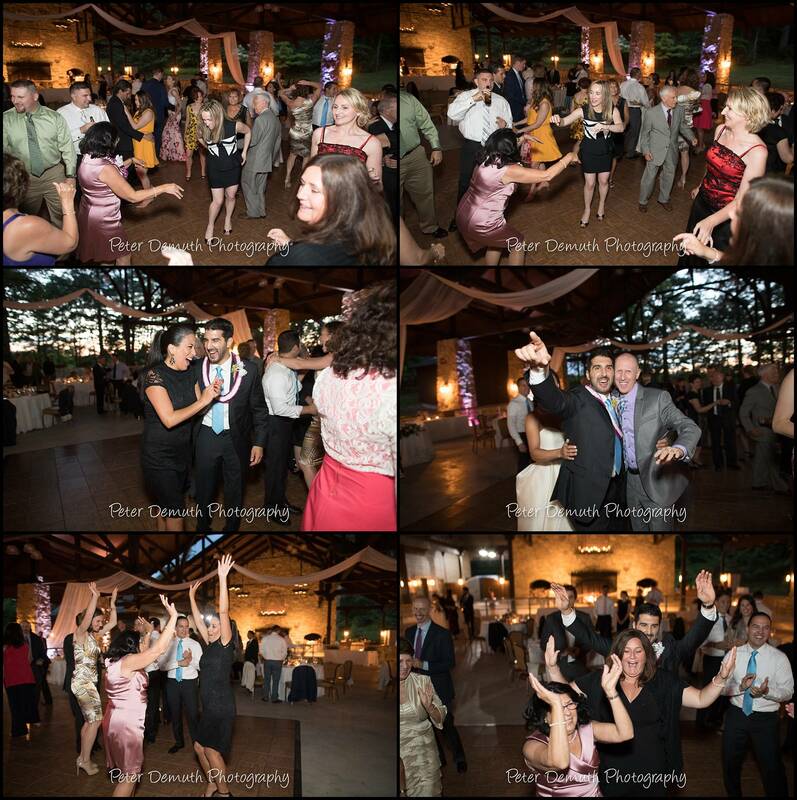 The twinkling lights, music and happy guests provided the perfect atmosphere for a fun and memorable night. 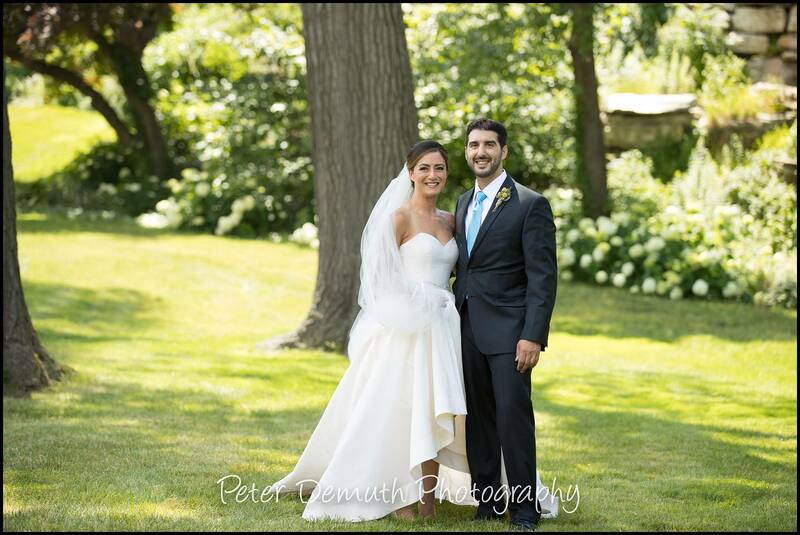 Congratulations Courtney and Frank! 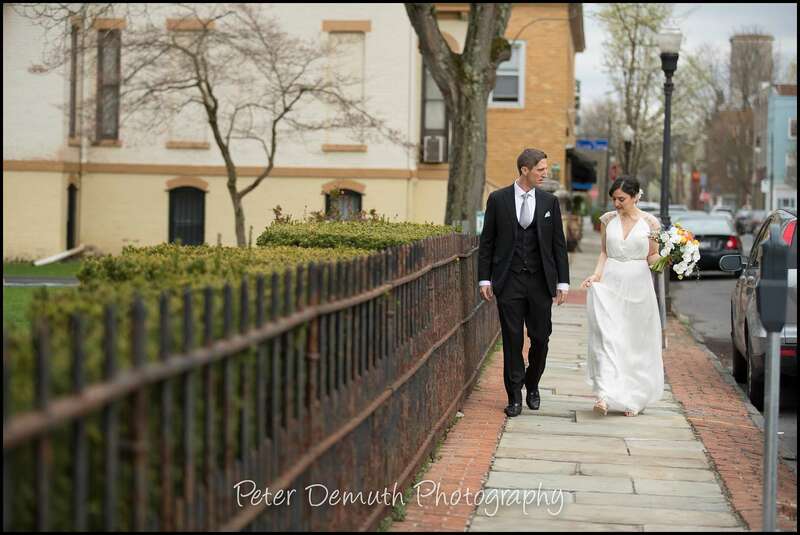 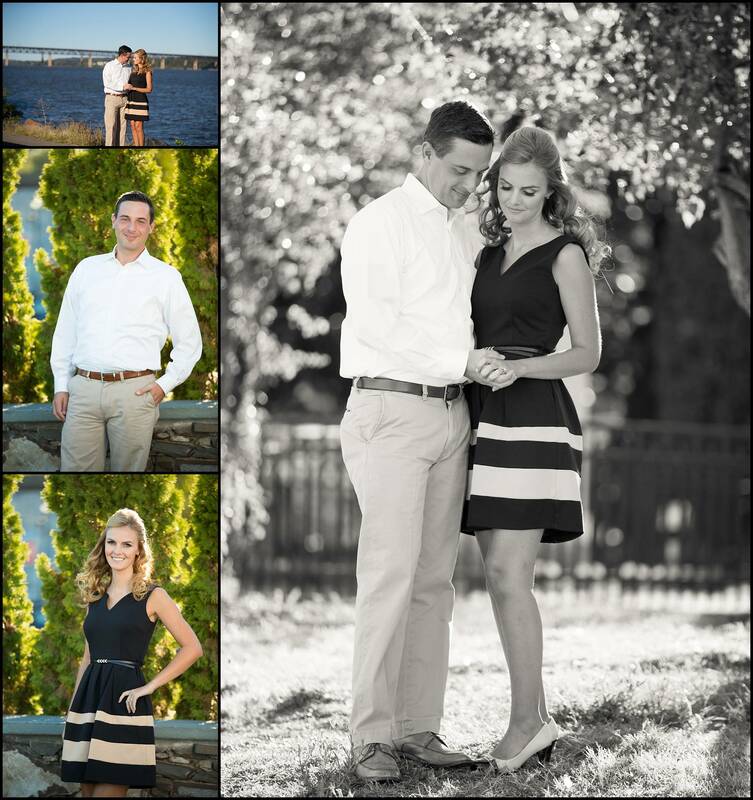 Jess, Jon, and I met in a waterfront park in Newburgh on a warm summer day. 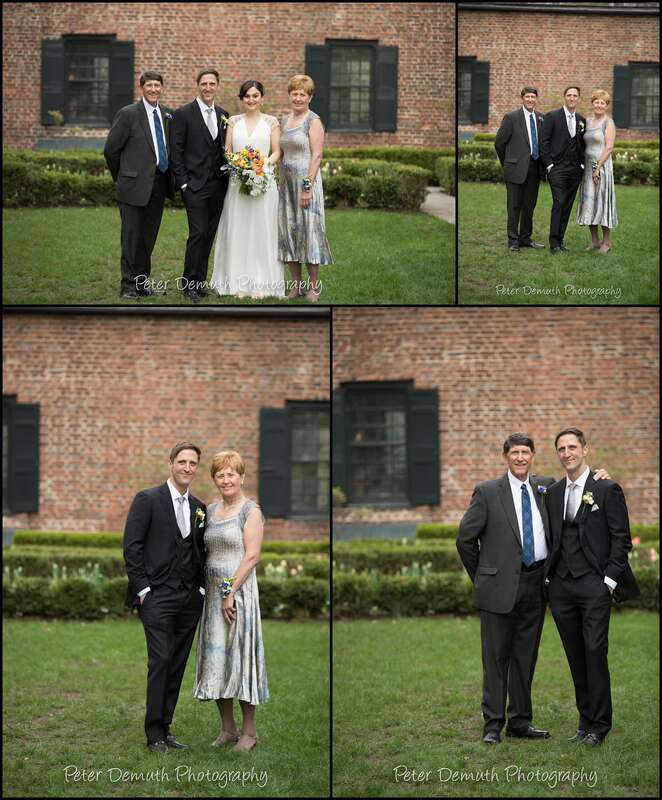 It was great chatting with them, walking around, getting to know them a bit better all while creating some beautiful photographs. 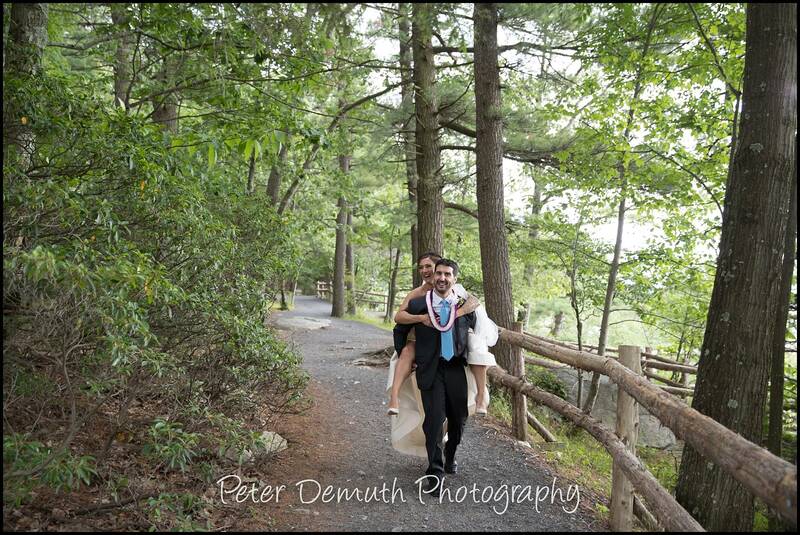 After walking around the park for a bit we decided to head to a nearby historical site for some more fun. 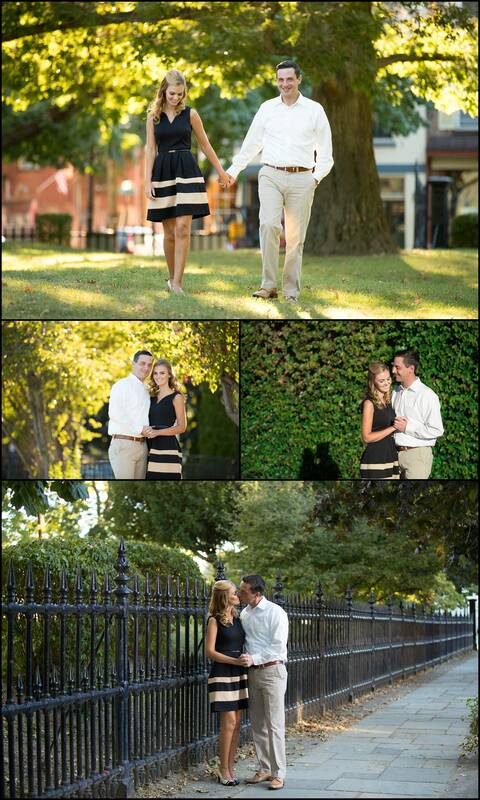 I always love spending some quality time with my clients and that held especially true for these two lovely humans.